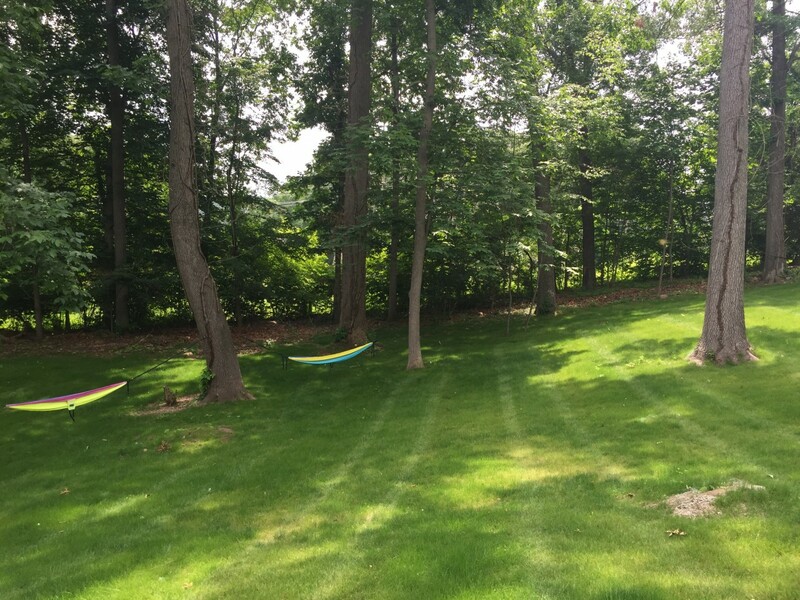 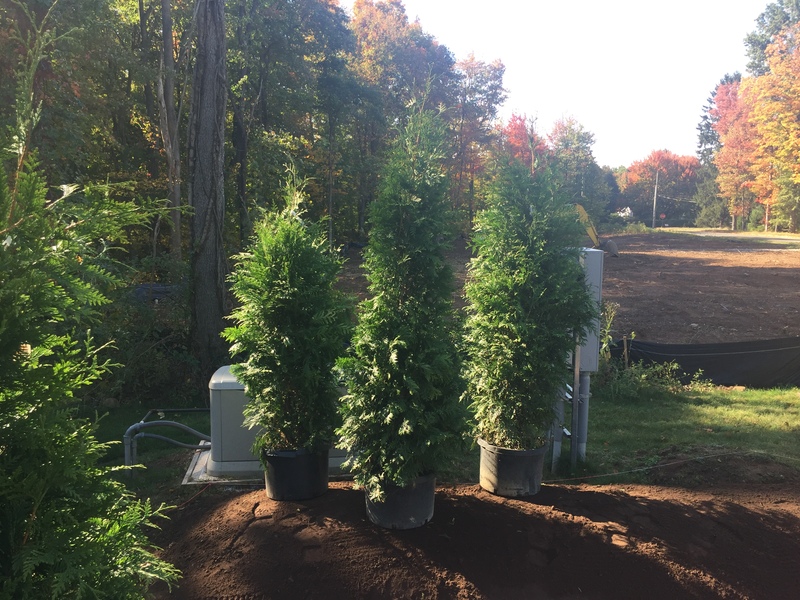 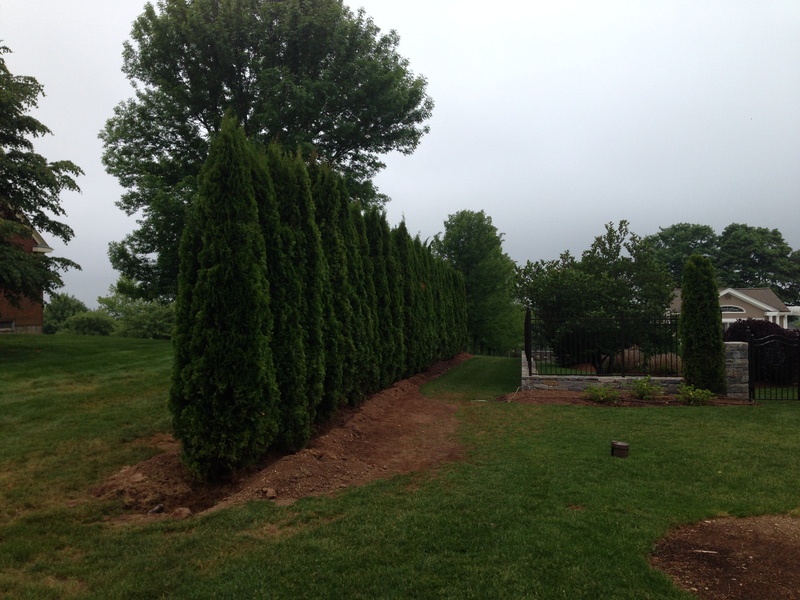 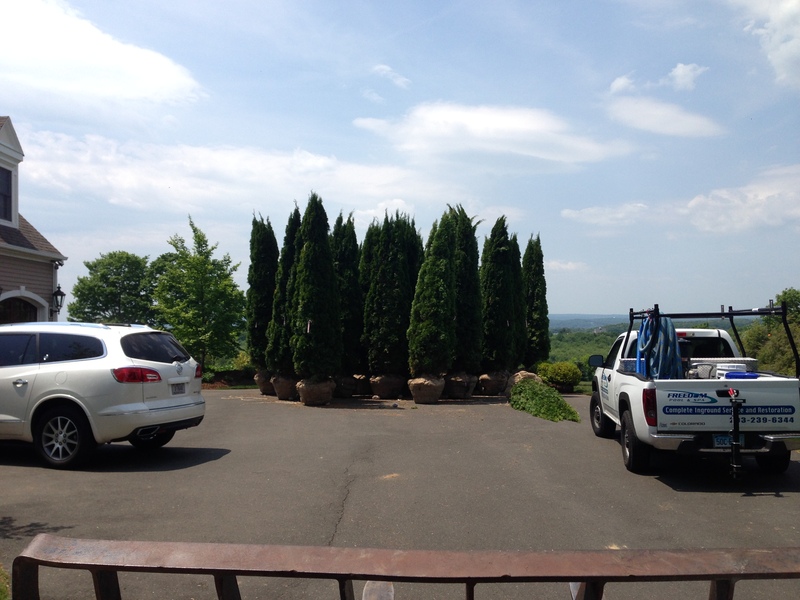 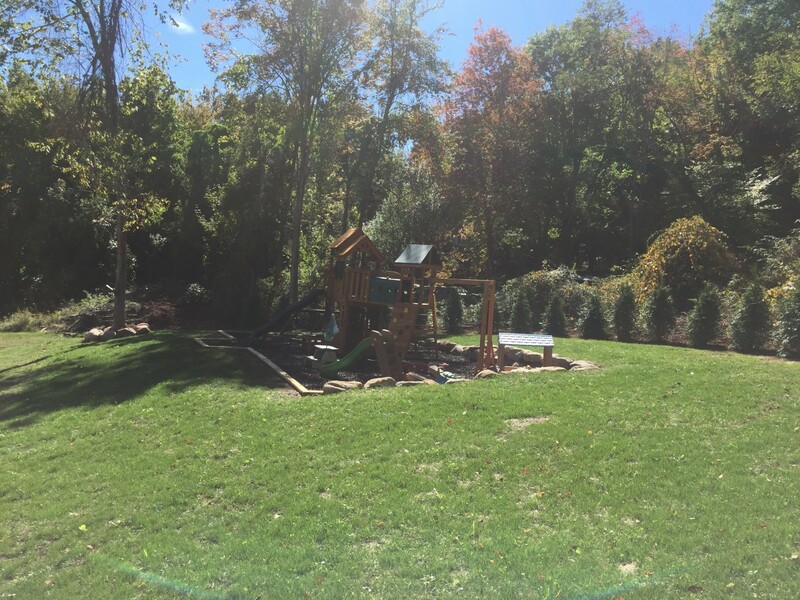 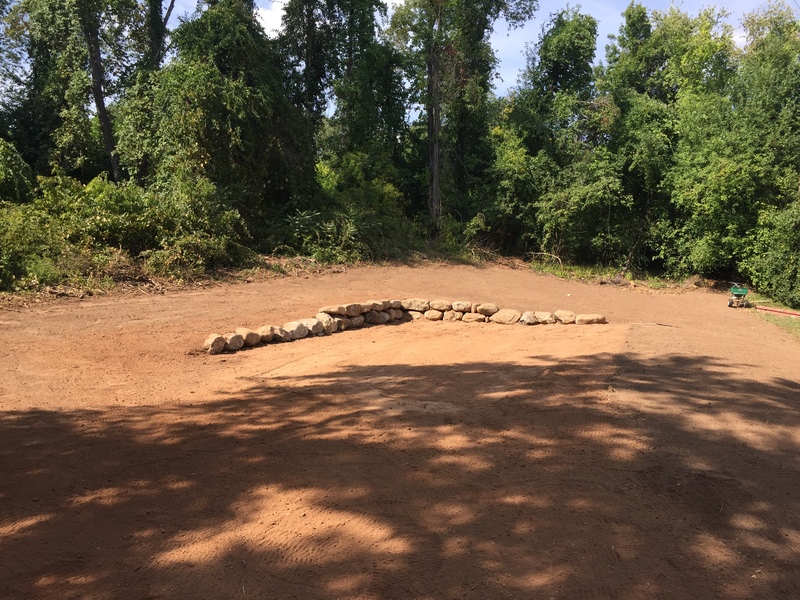 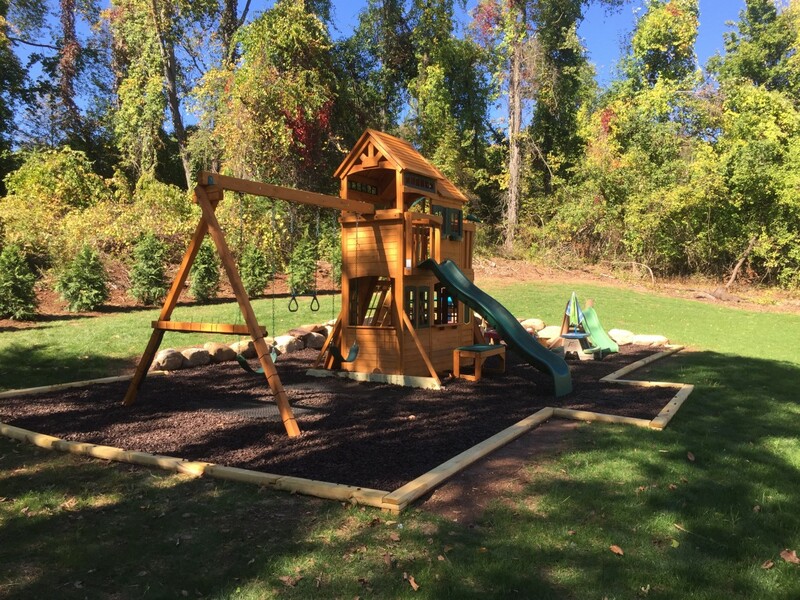 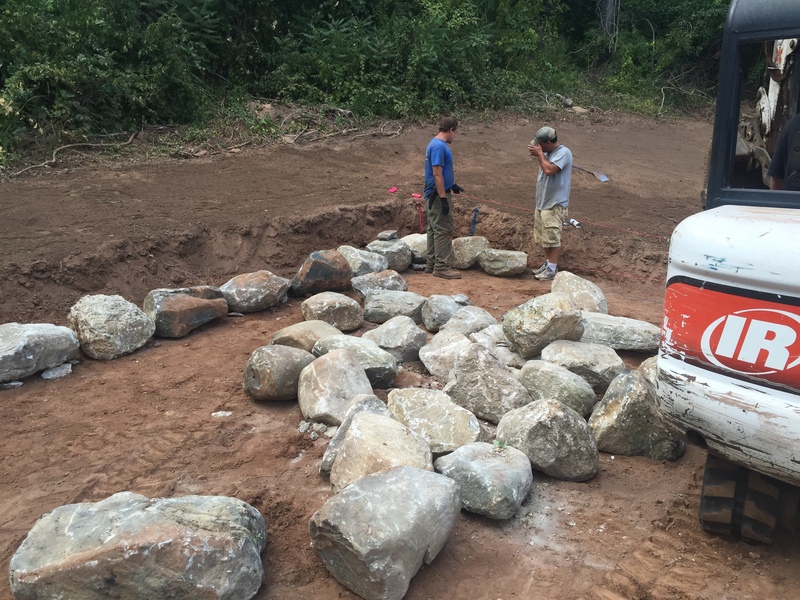 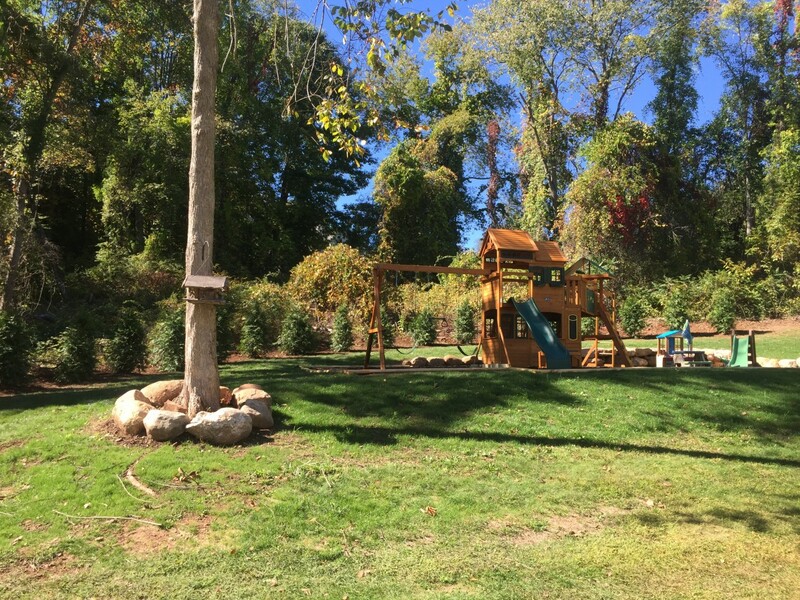 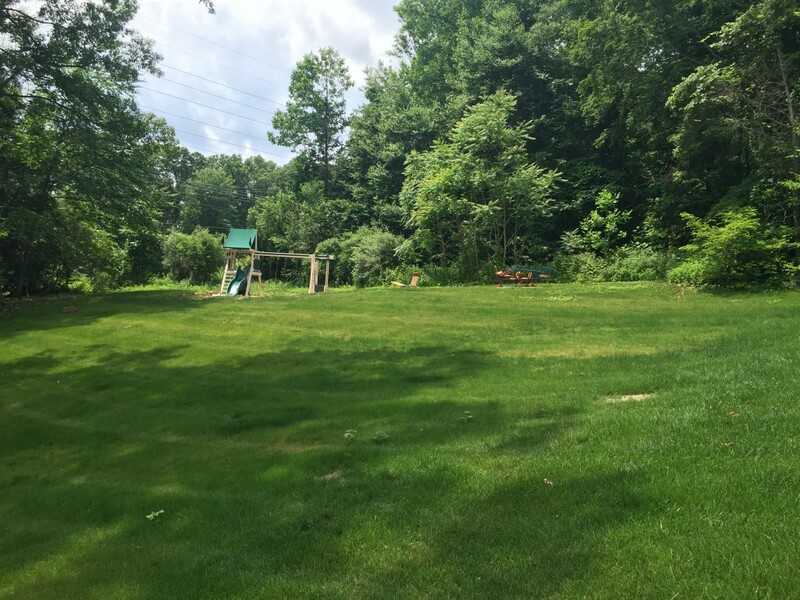 Cleared out brush on top of hill, raked and graded terrain, leveled out area for playscape, constructed boulder wall to retain hill, installed fresh topsoil and seed, and planted green giant arborvitae hedge row for privacy. 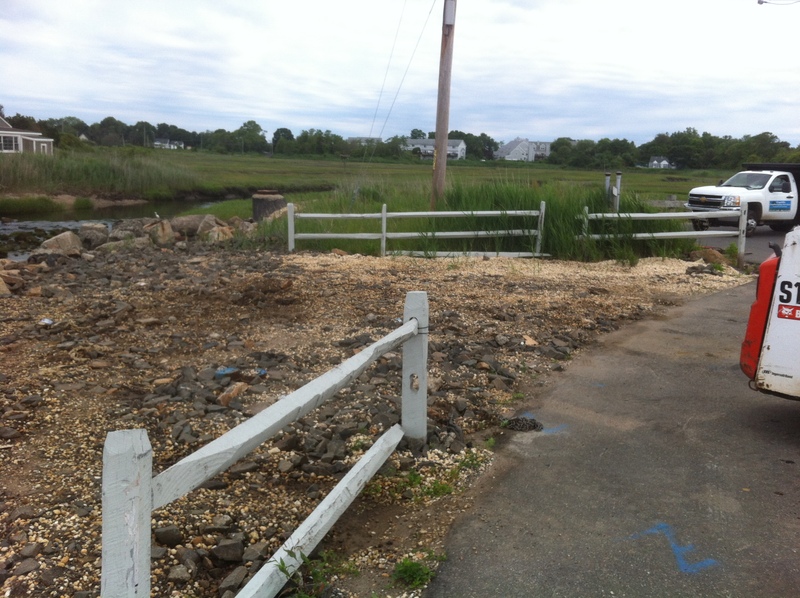 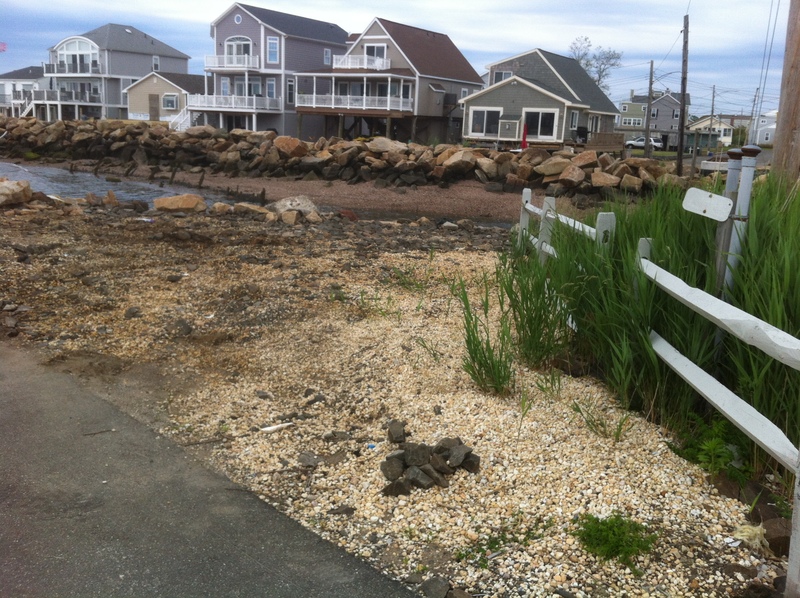 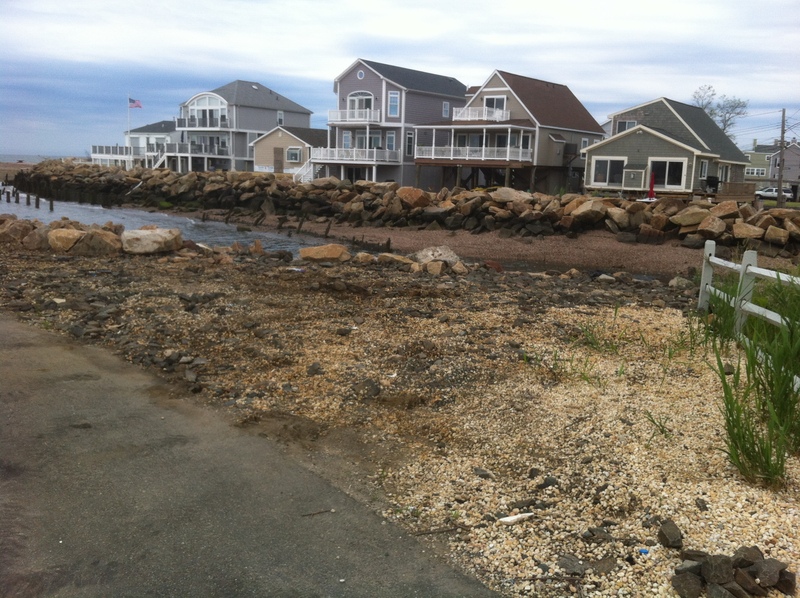 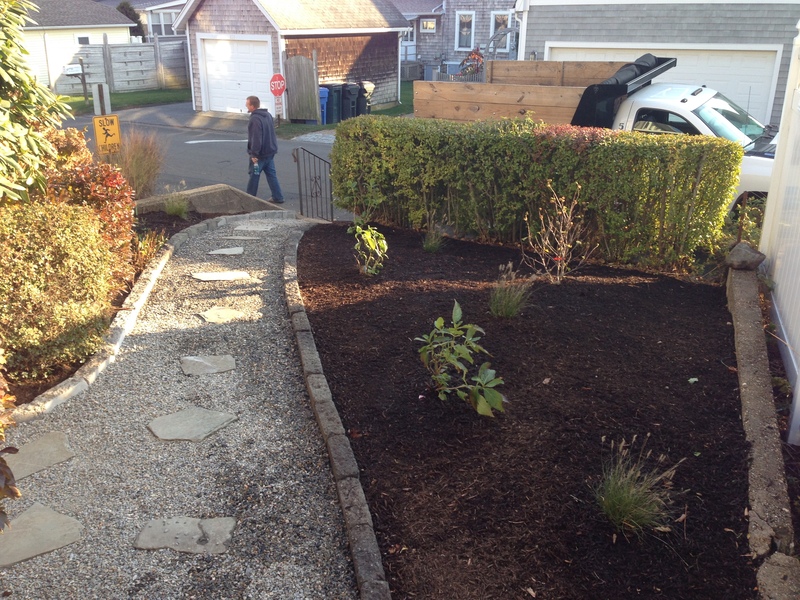 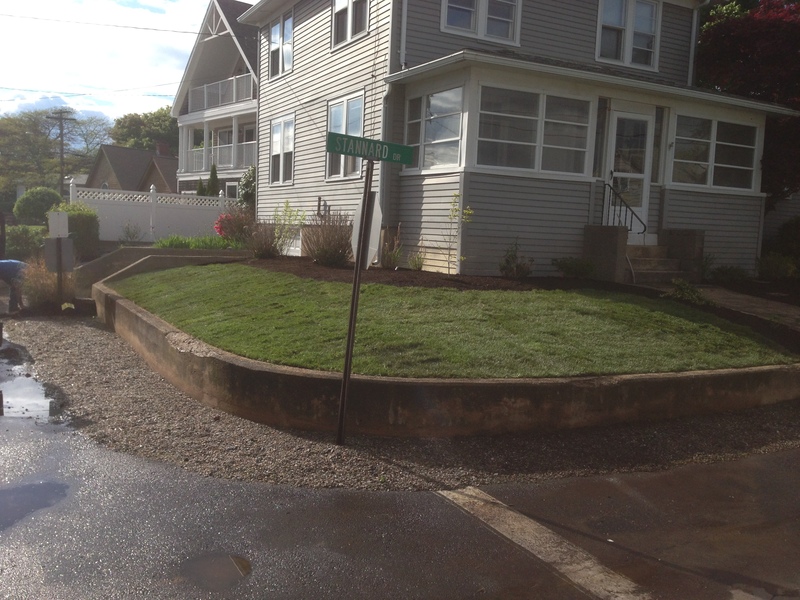 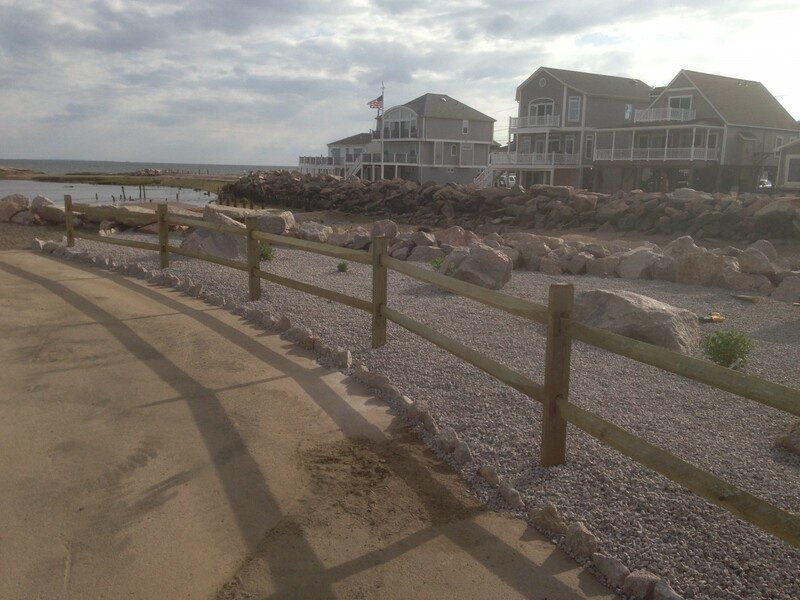 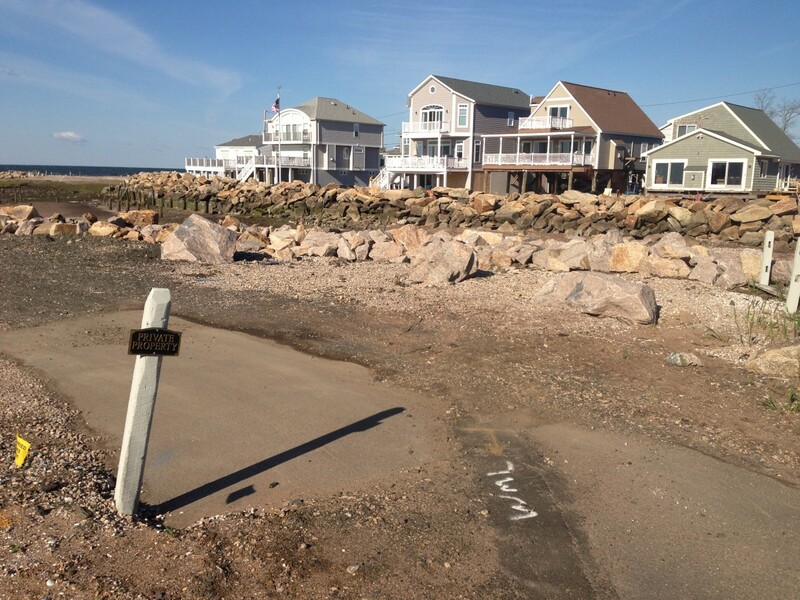 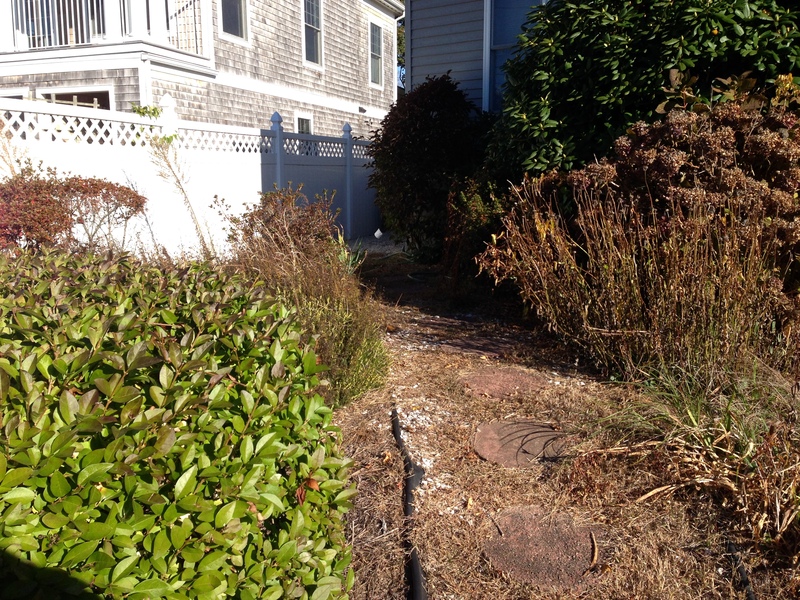 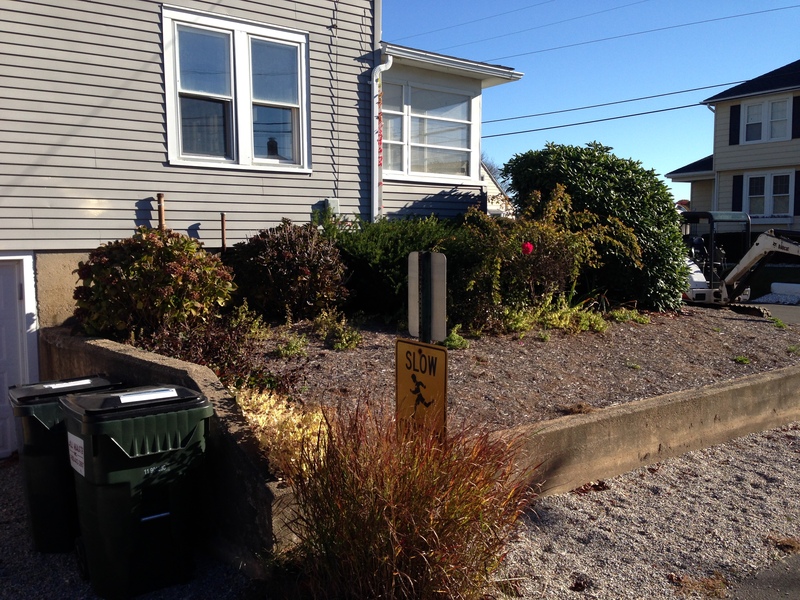 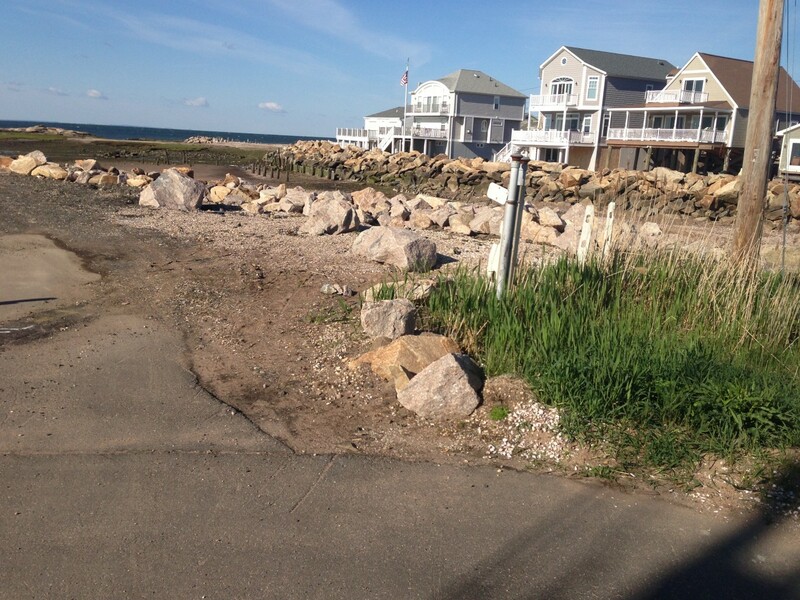 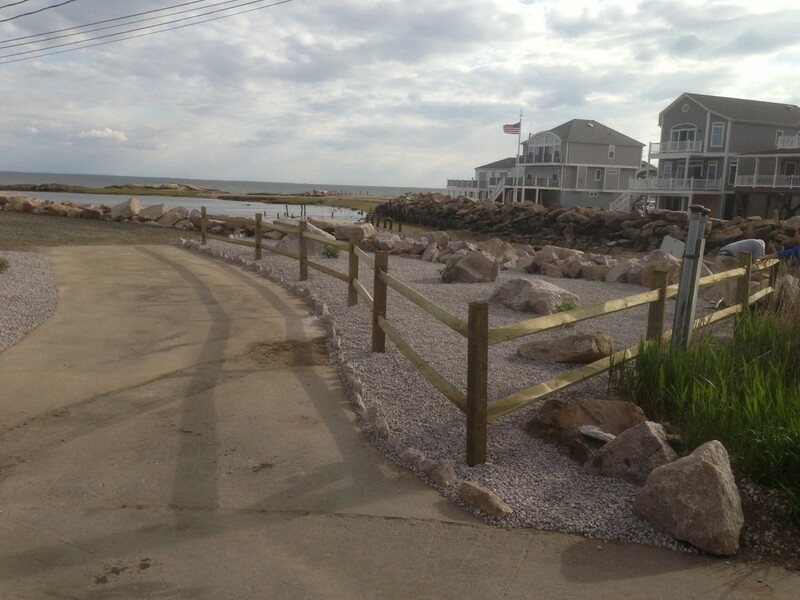 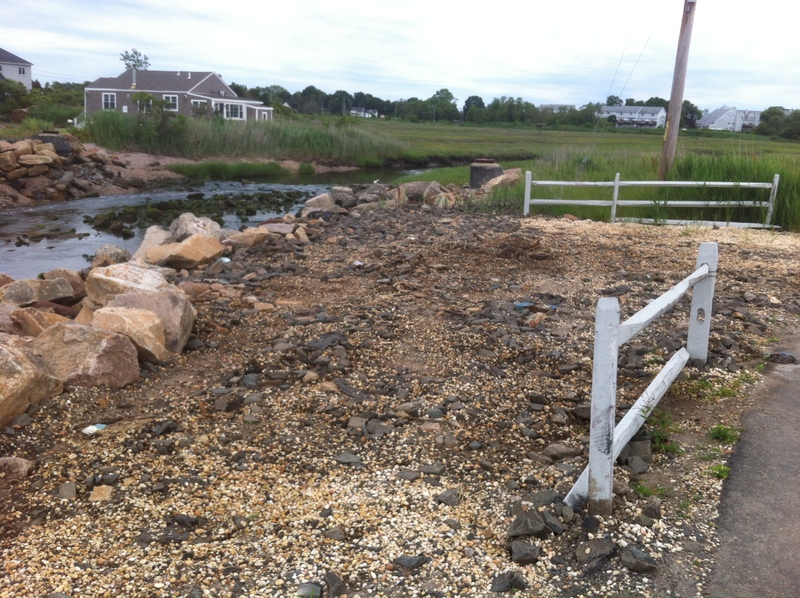 Cosey Beach Ave – Relandscaped after hurricane damage, Installed decorative stone and split rail fence. 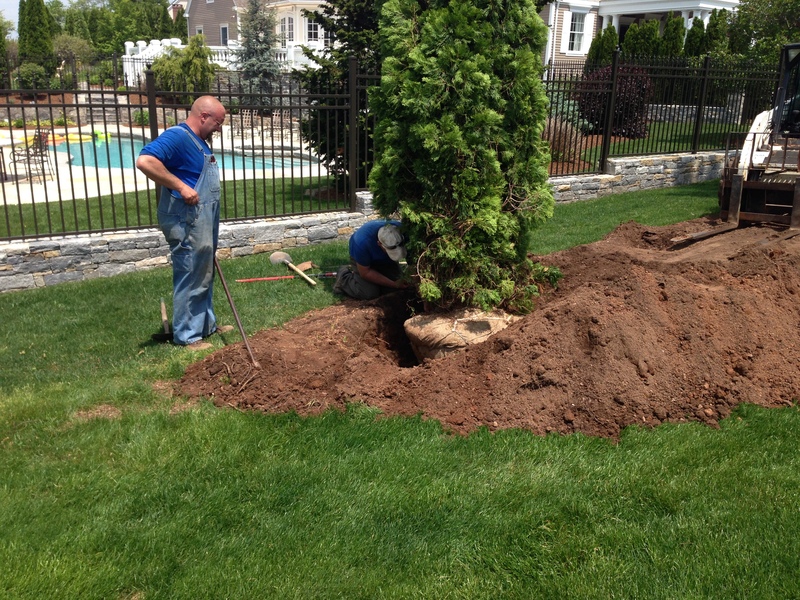 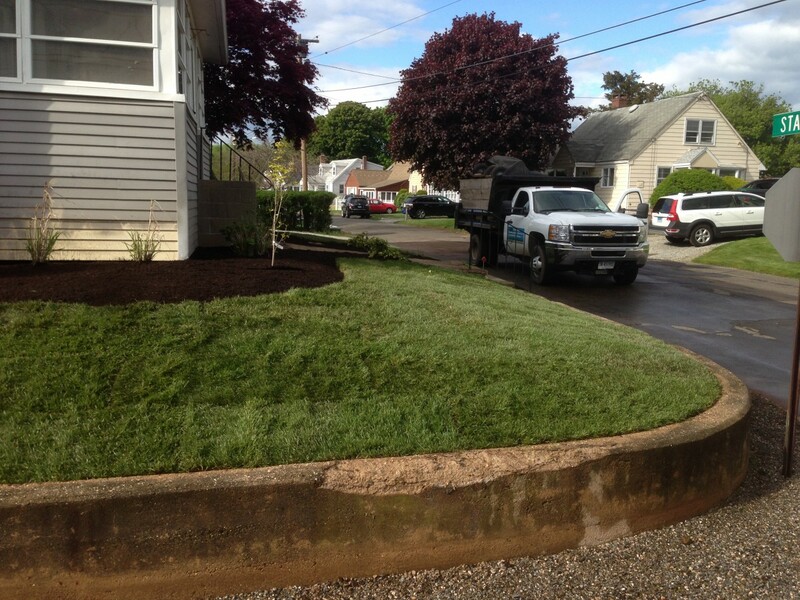 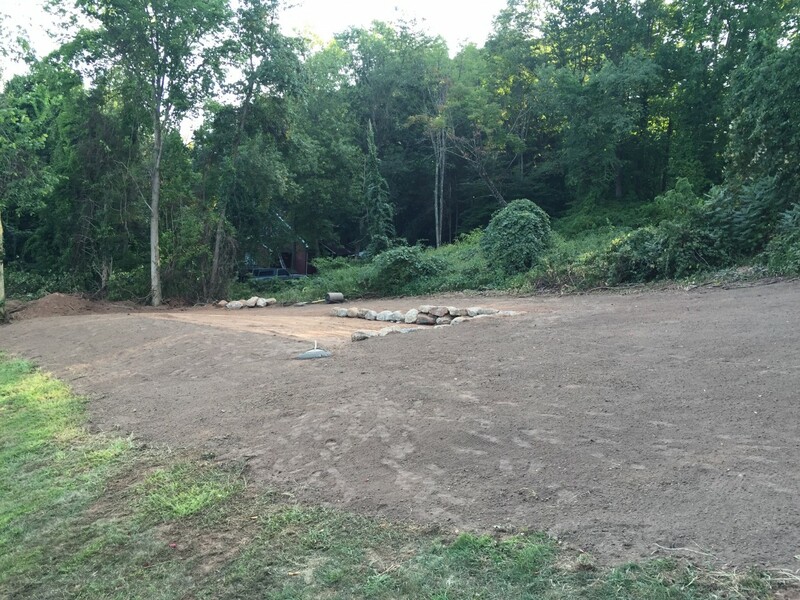 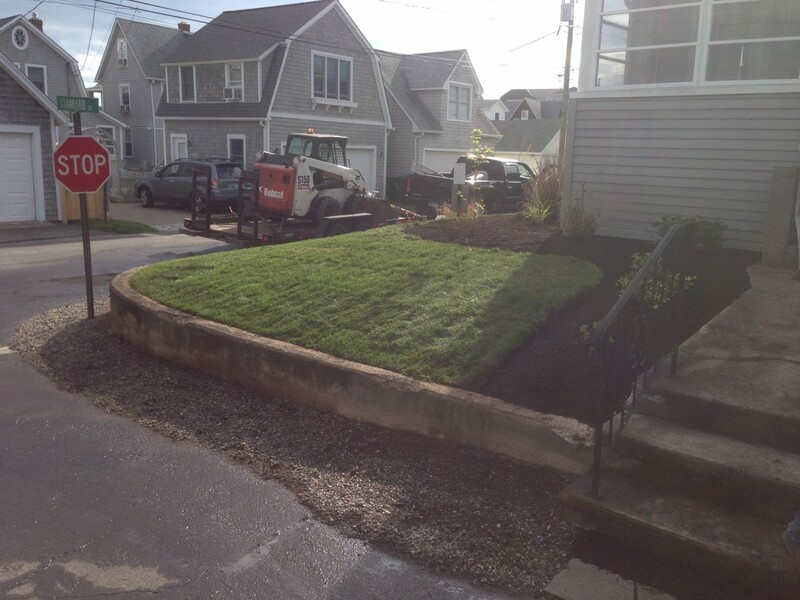 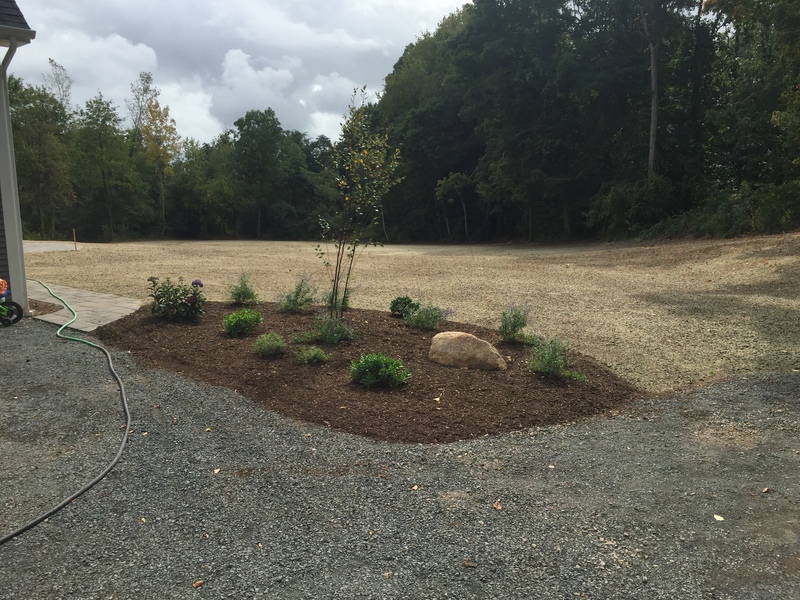 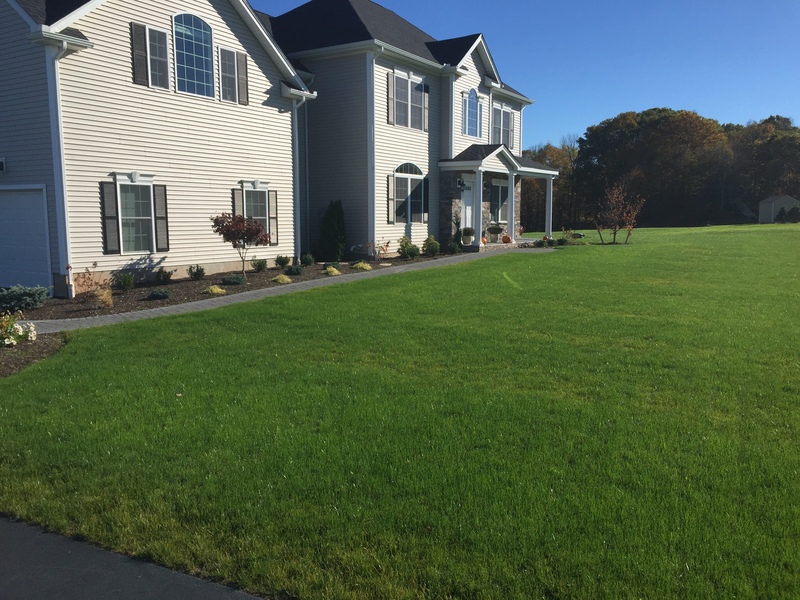 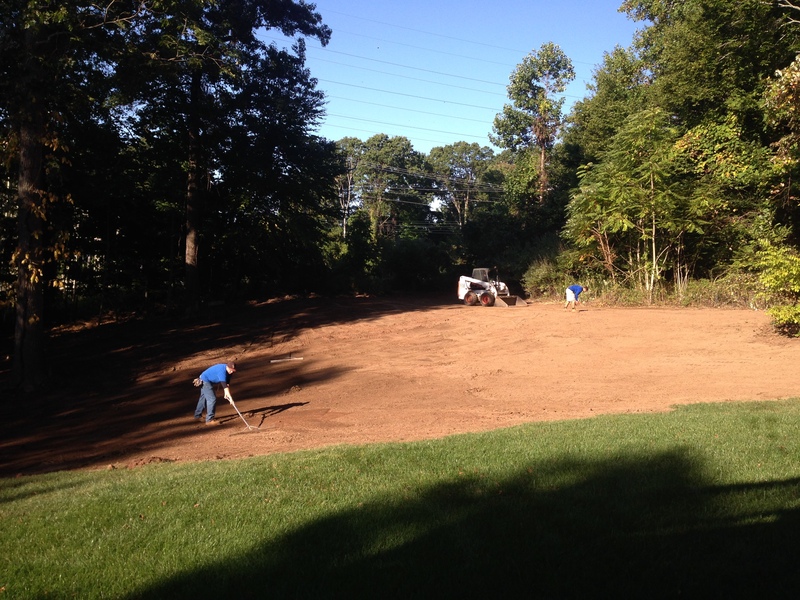 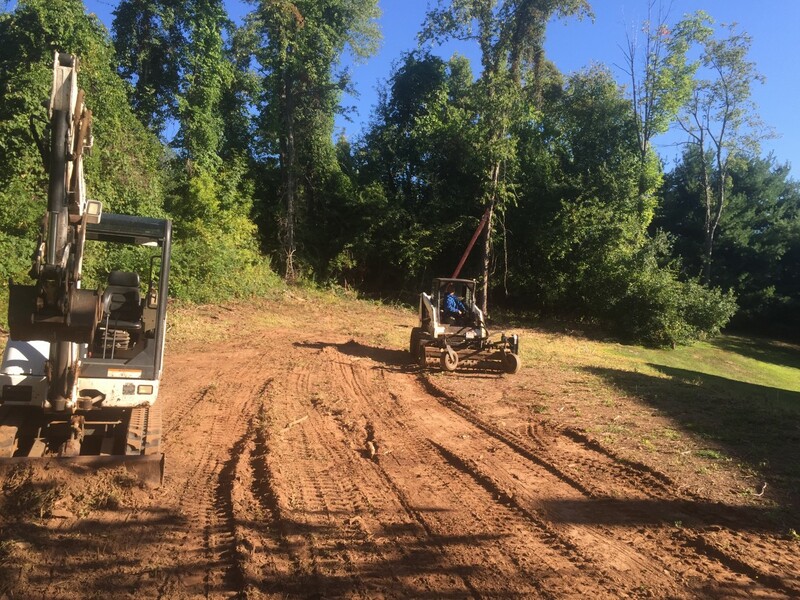 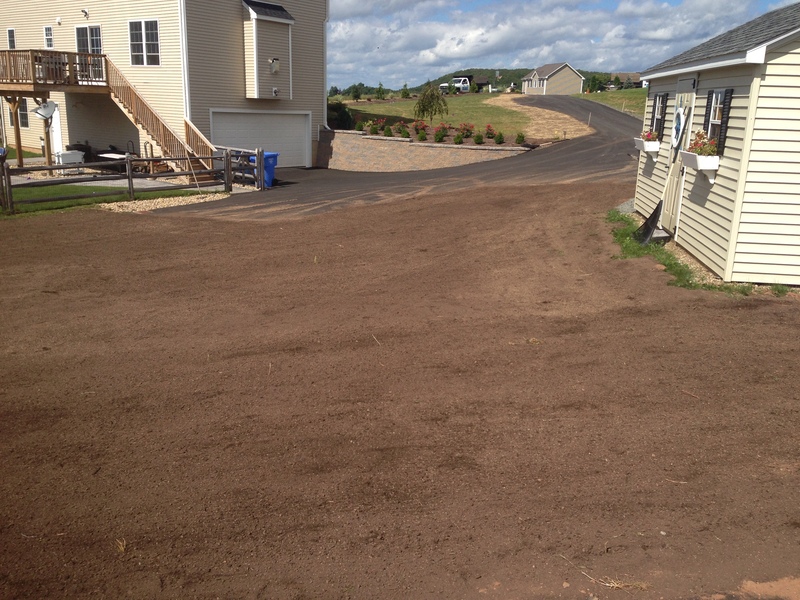 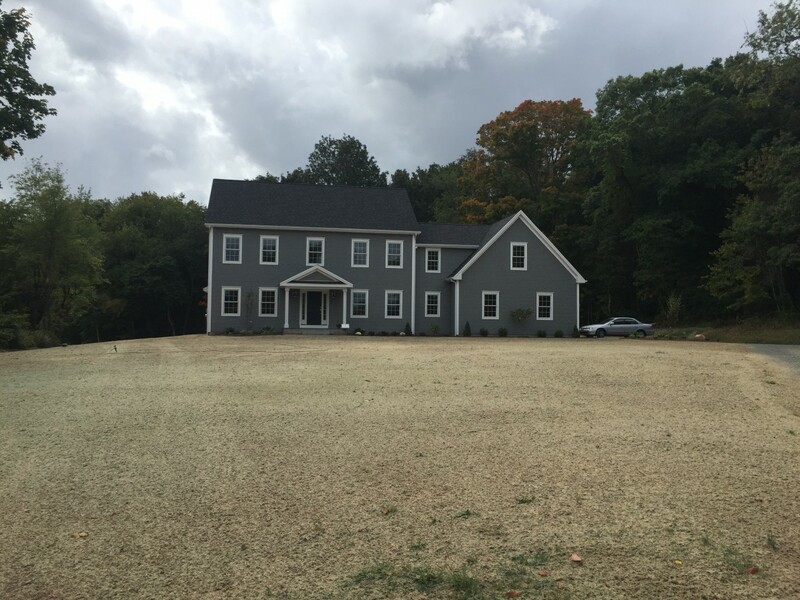 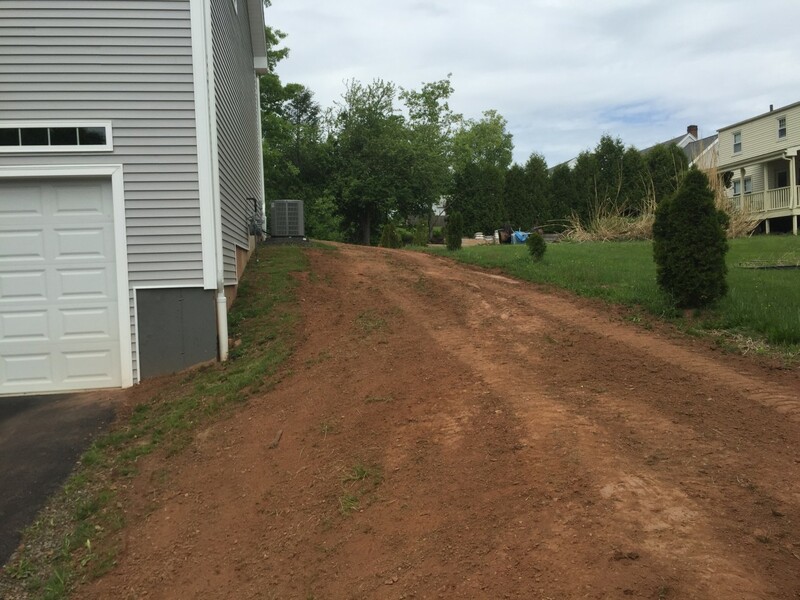 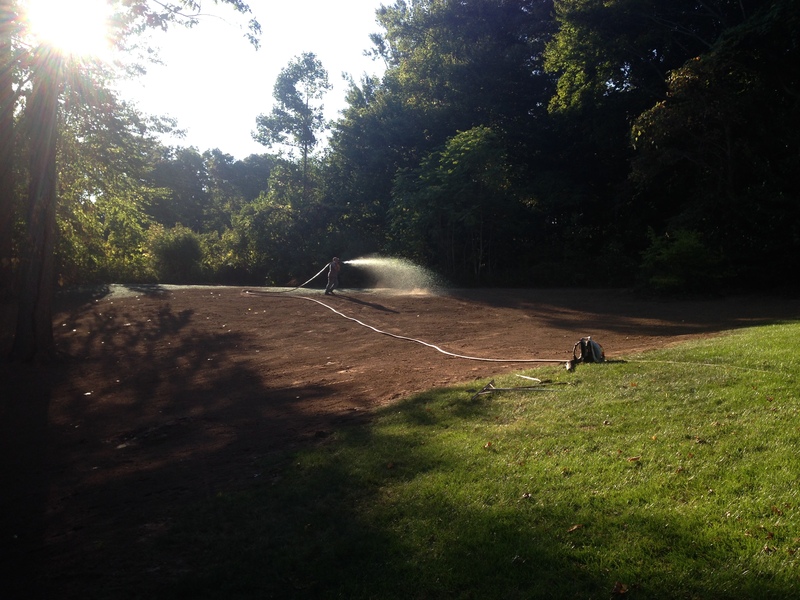 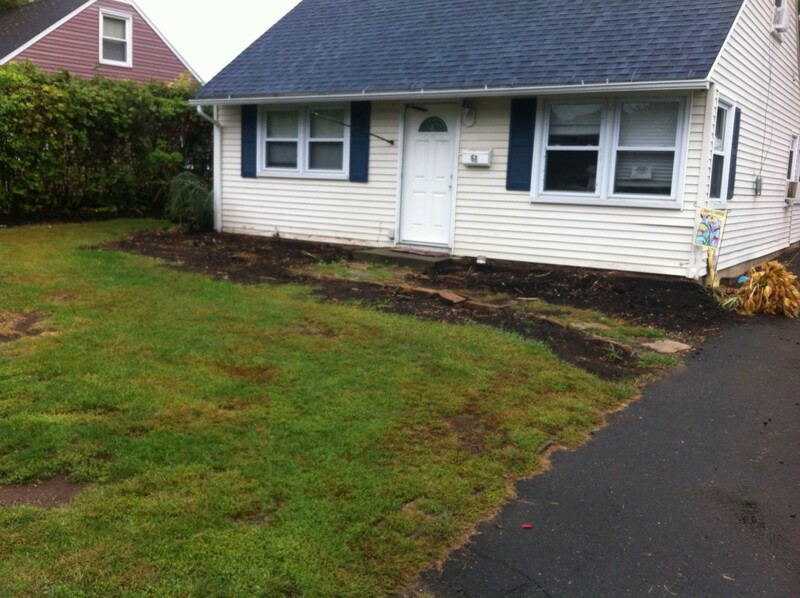 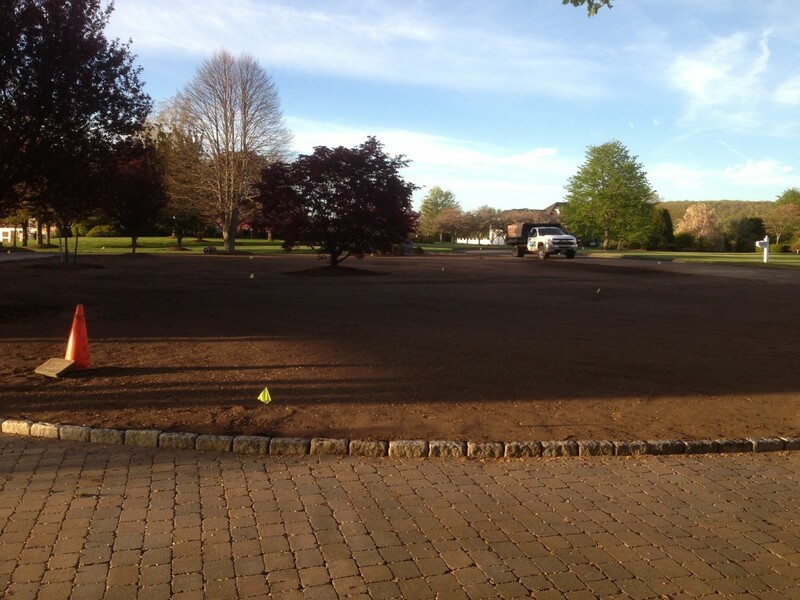 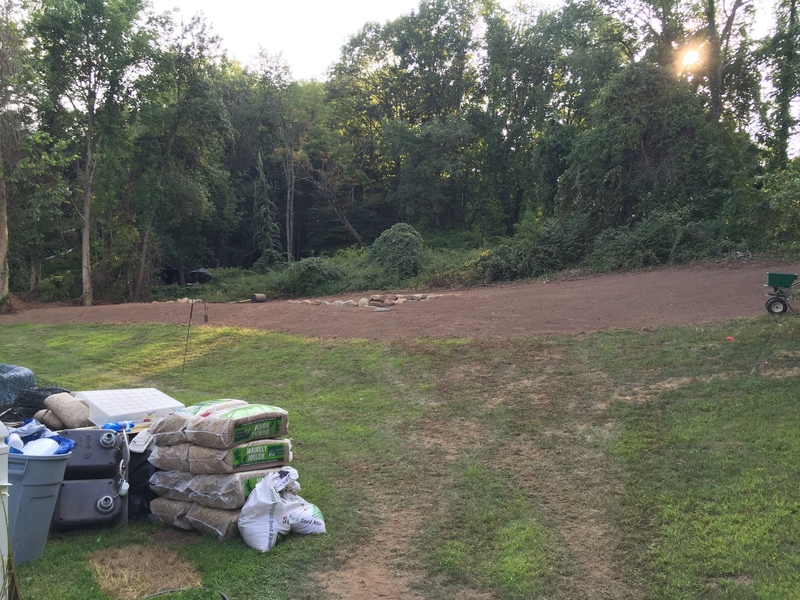 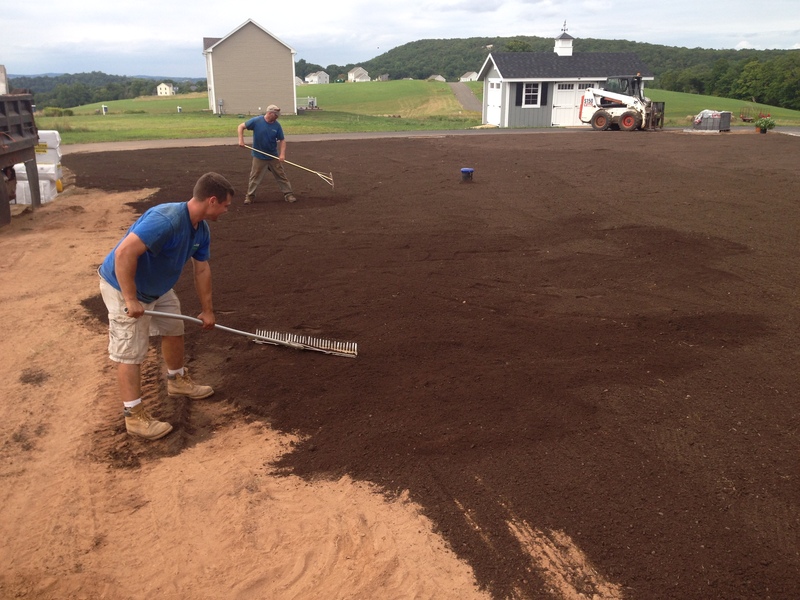 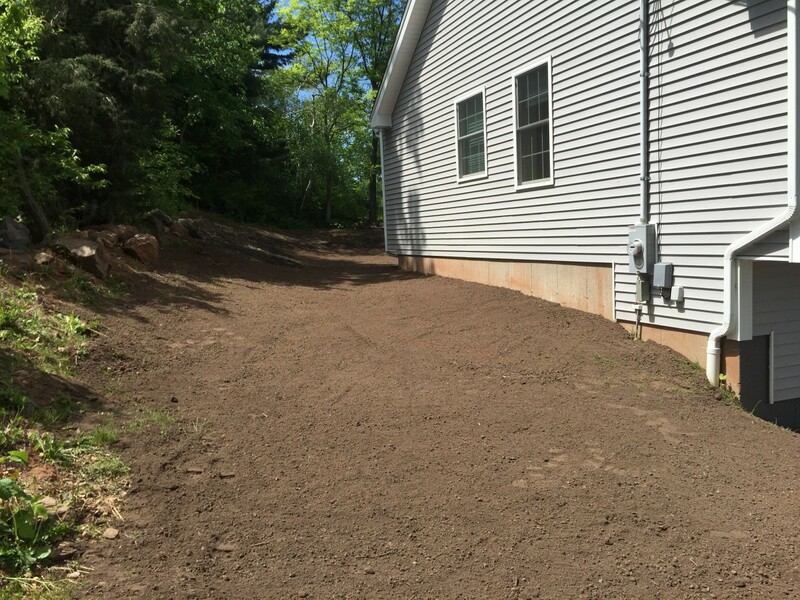 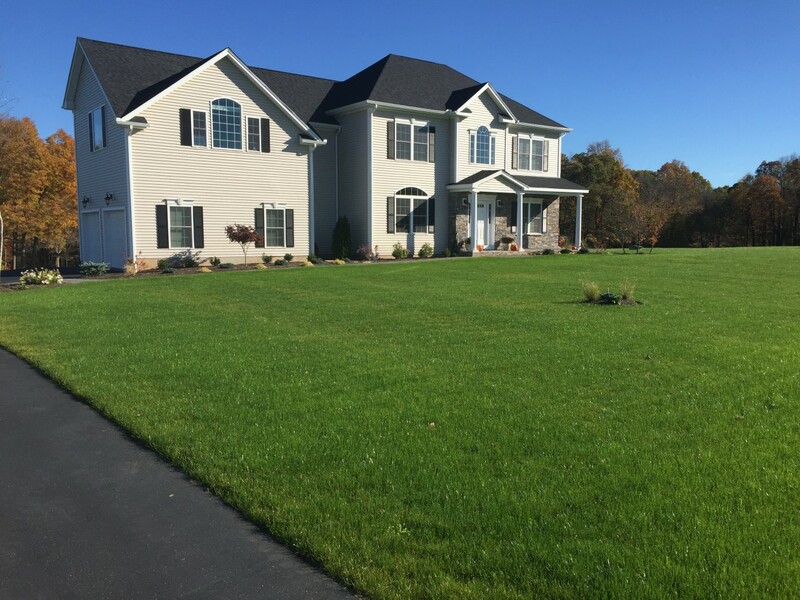 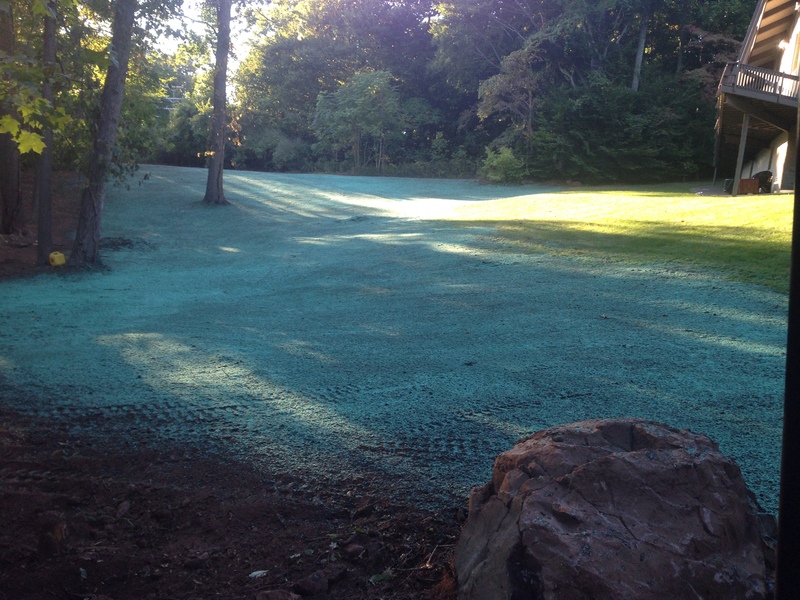 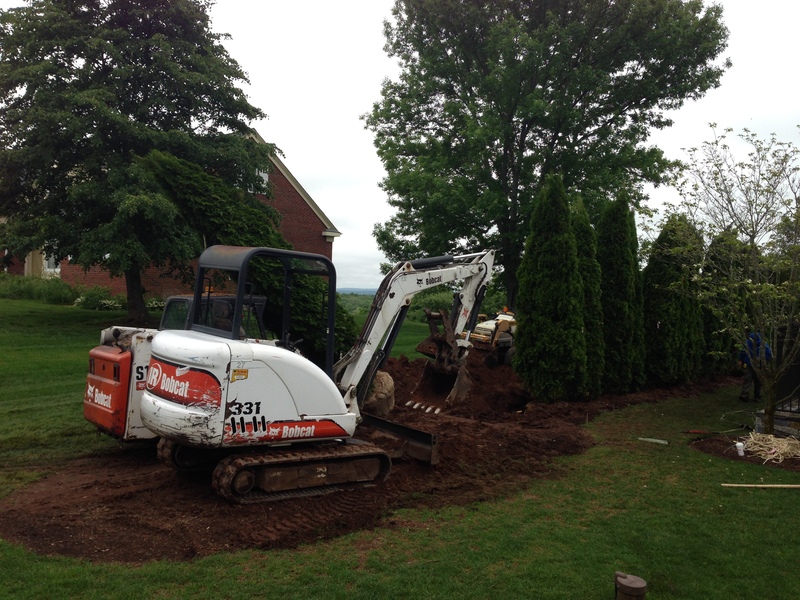 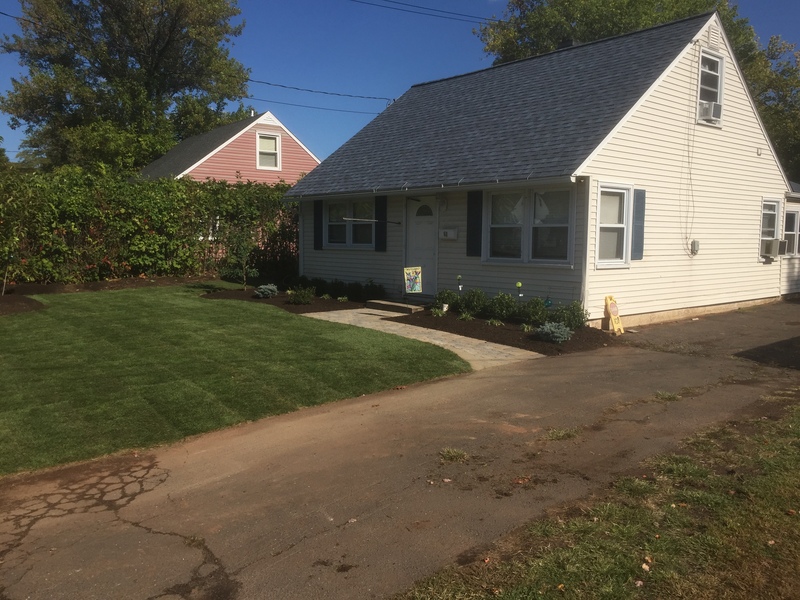 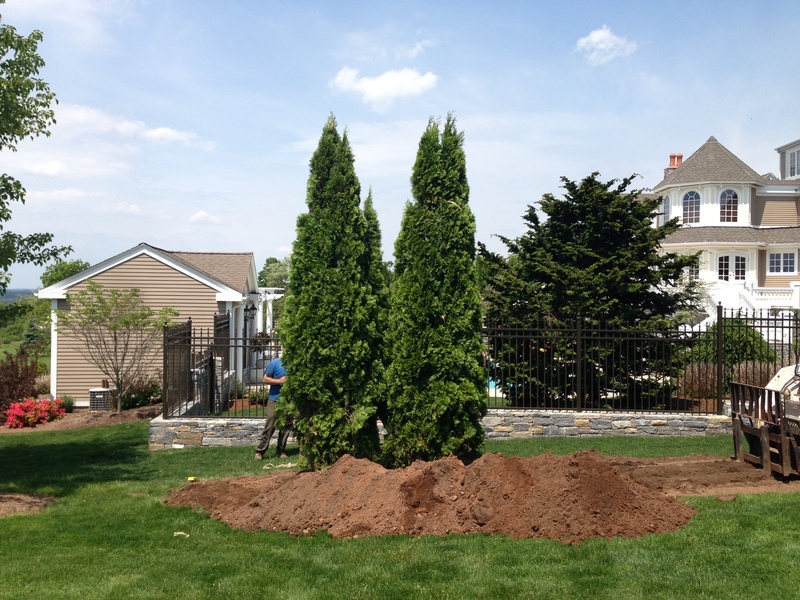 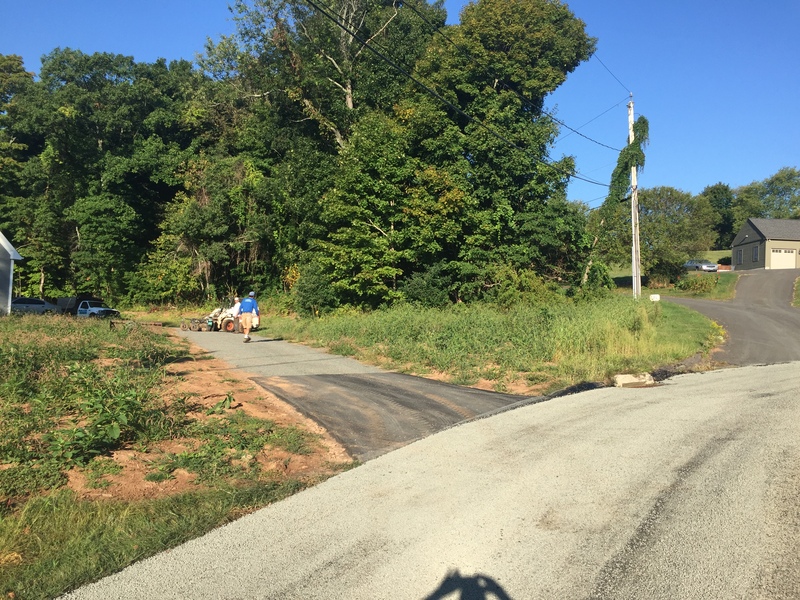 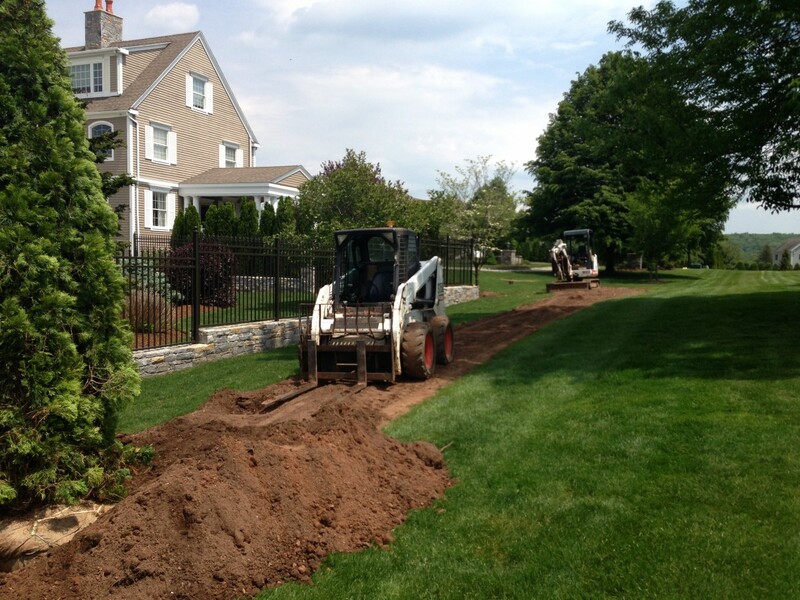 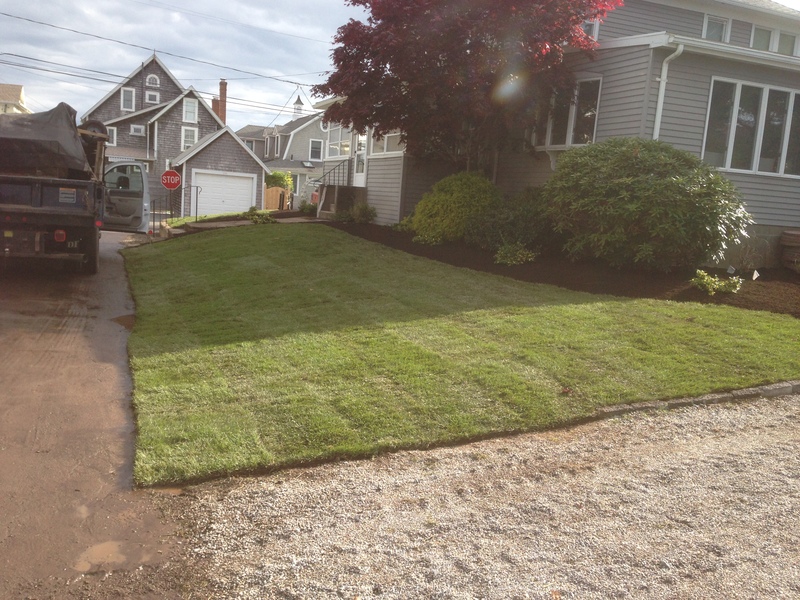 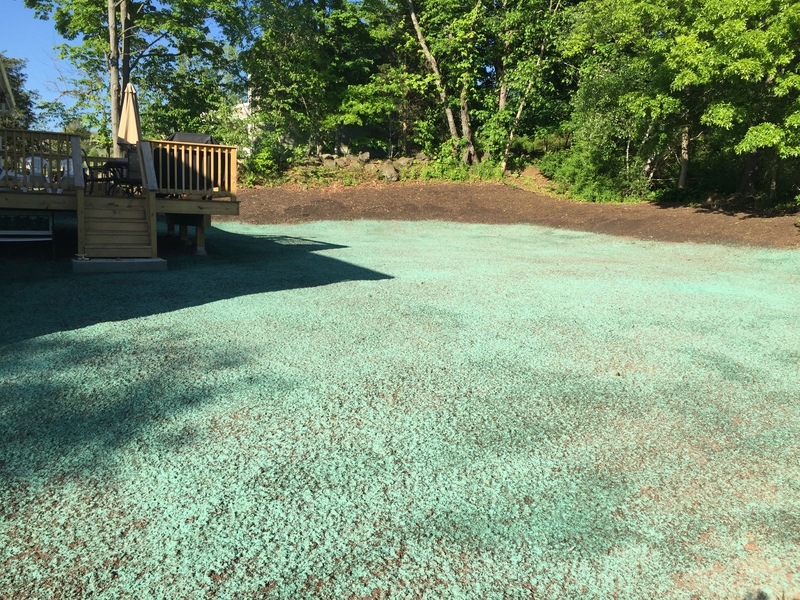 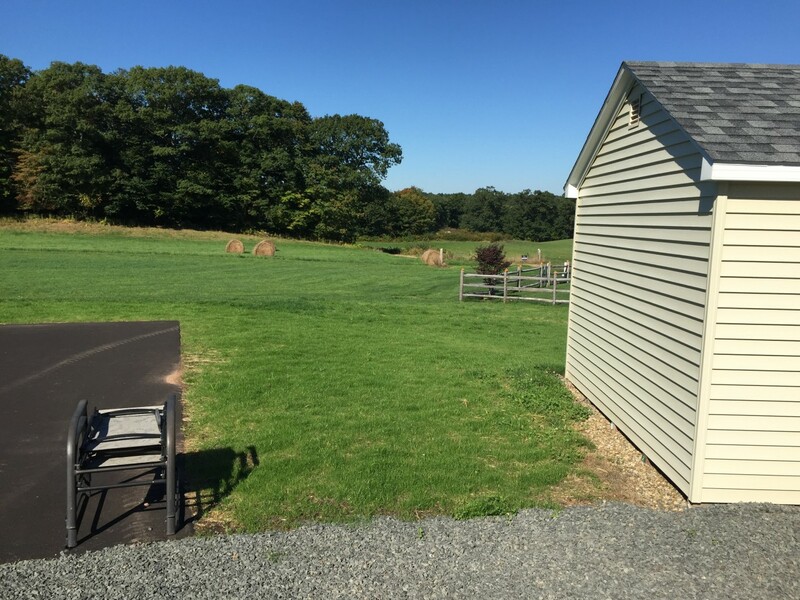 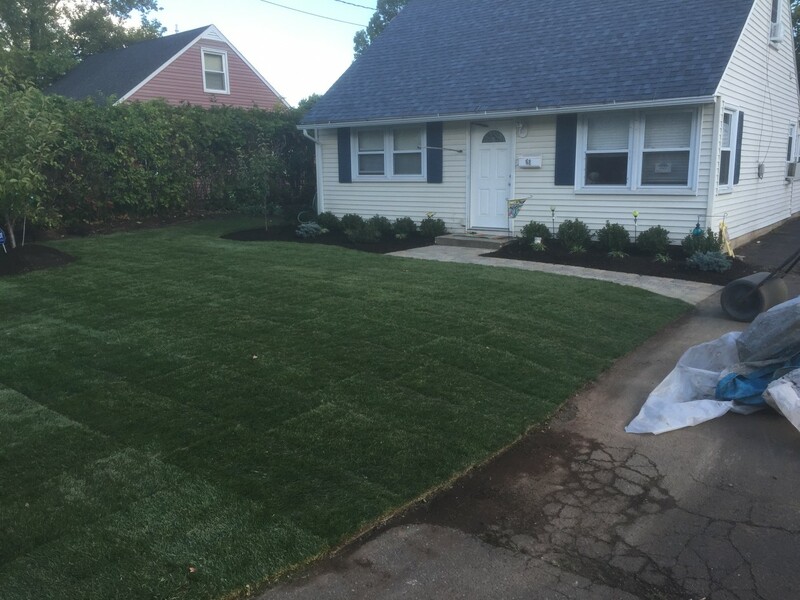 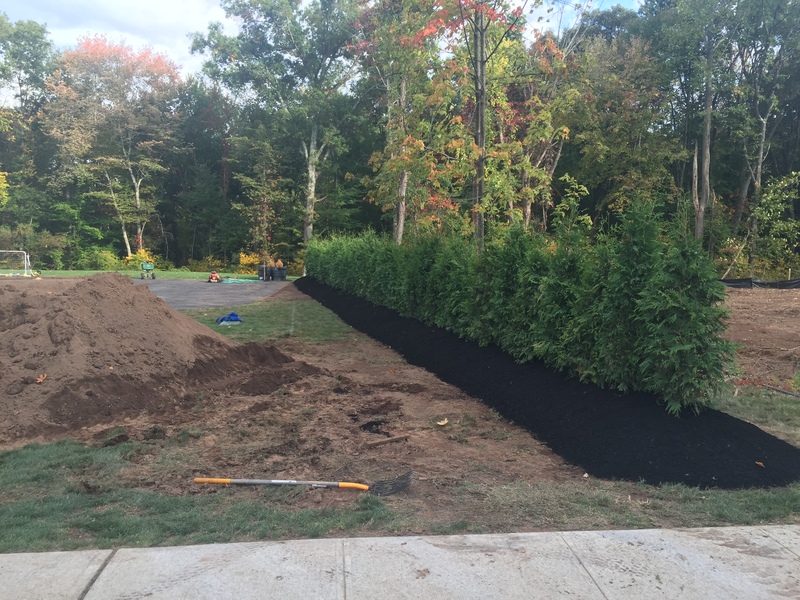 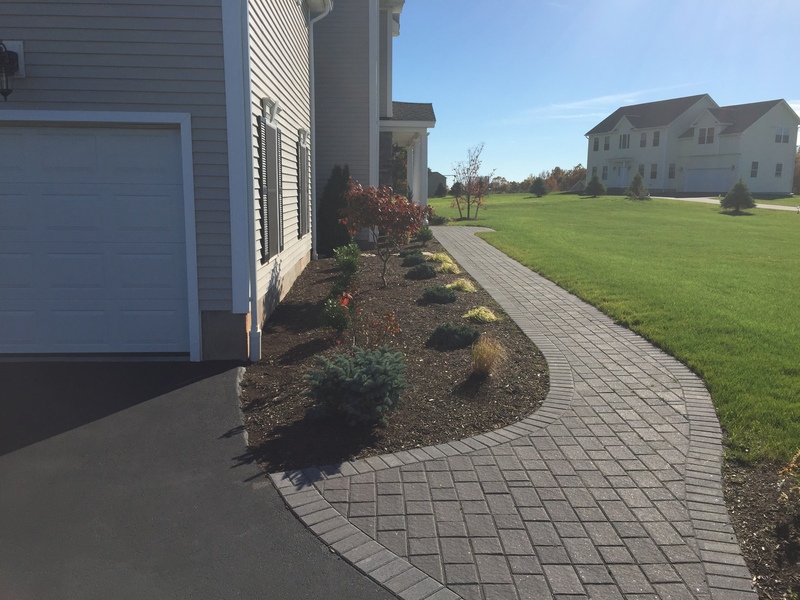 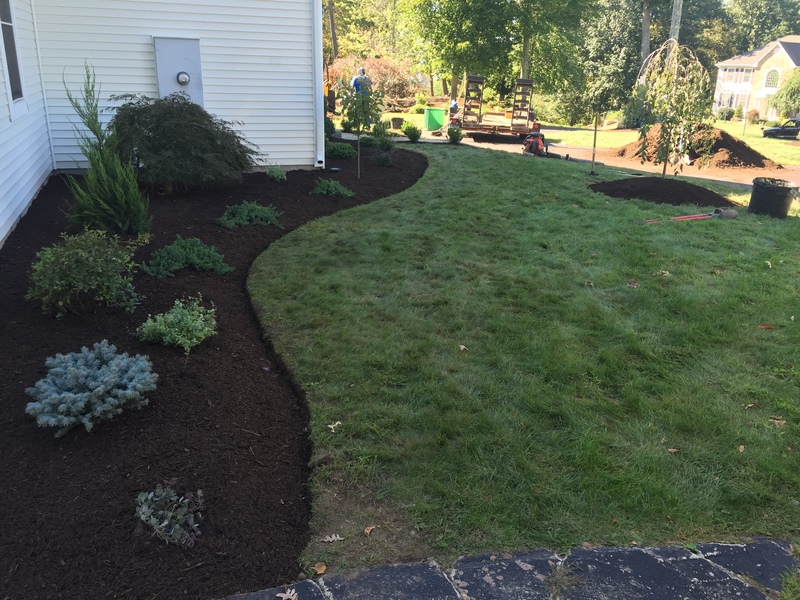 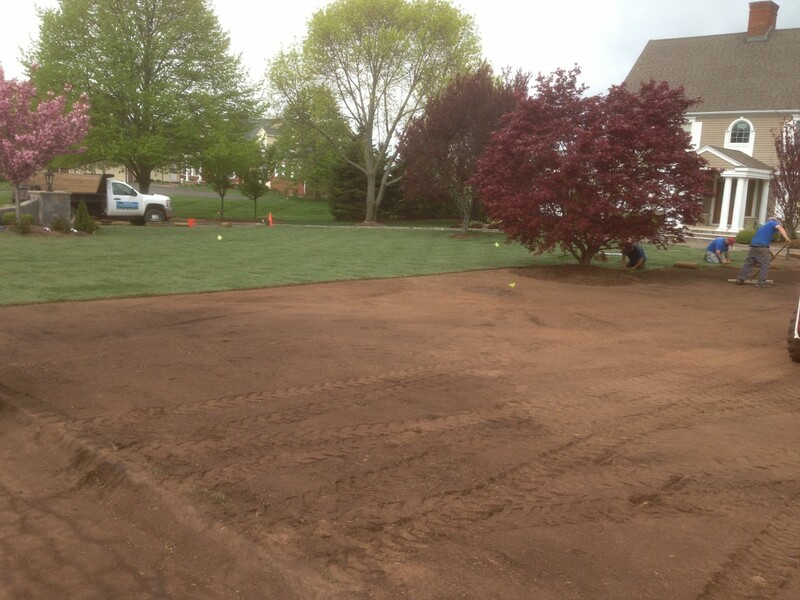 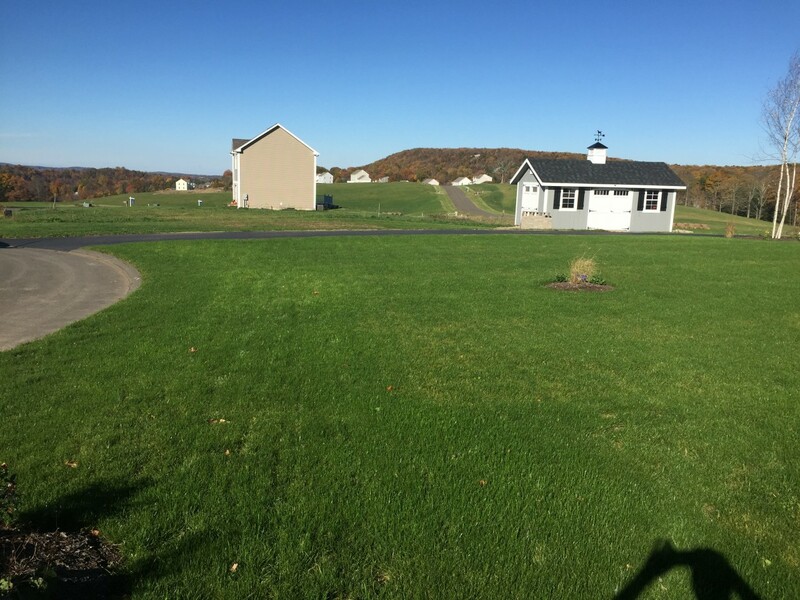 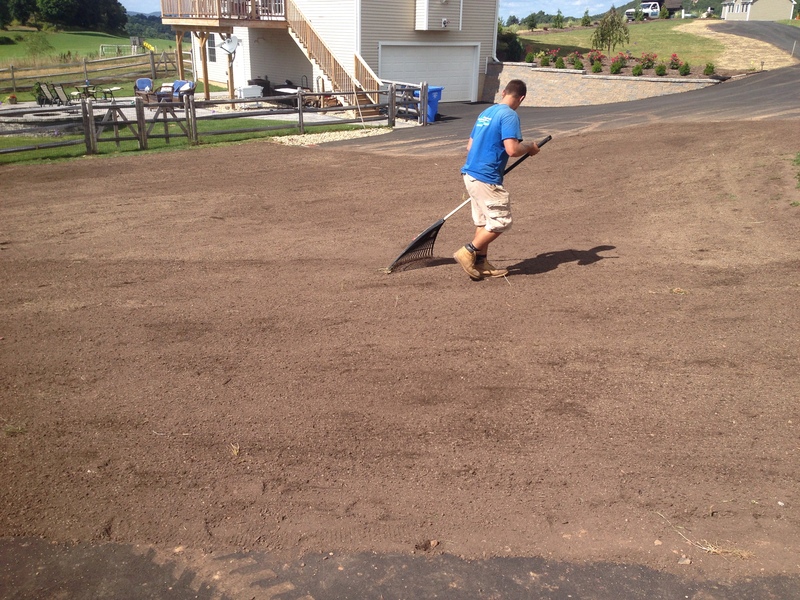 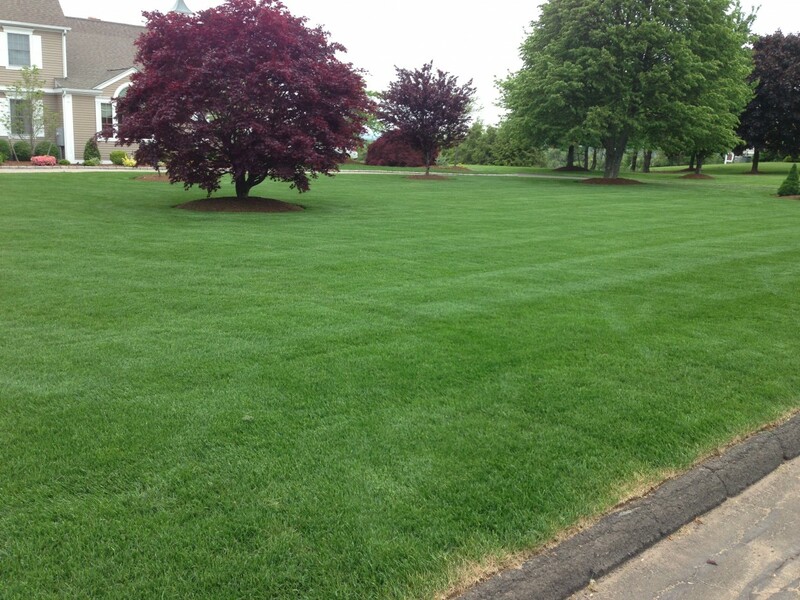 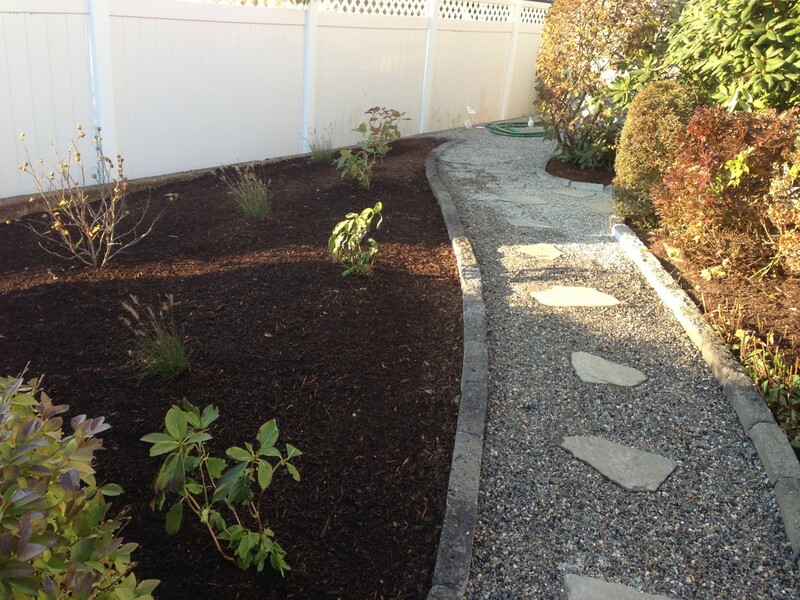 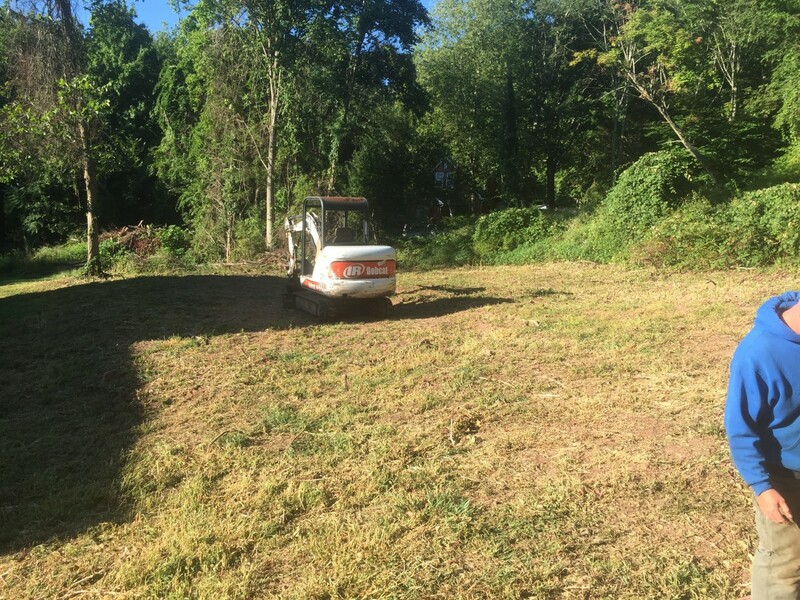 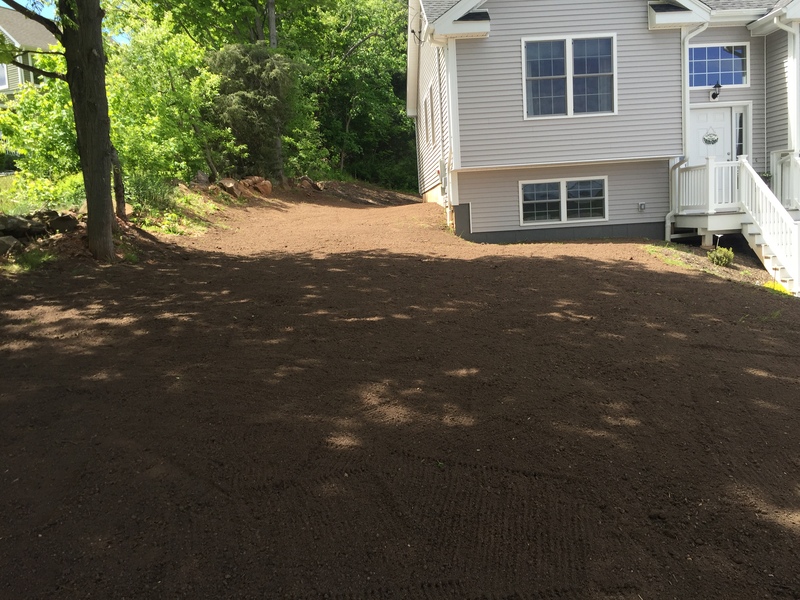 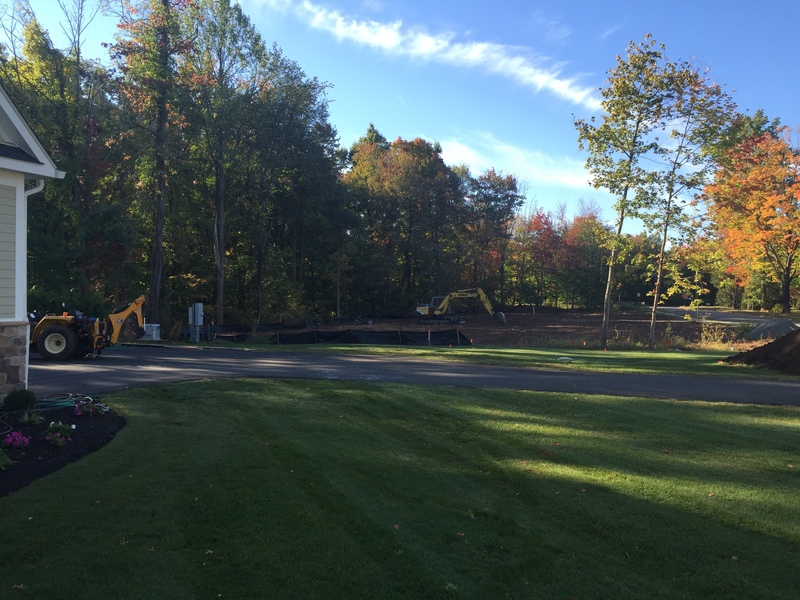 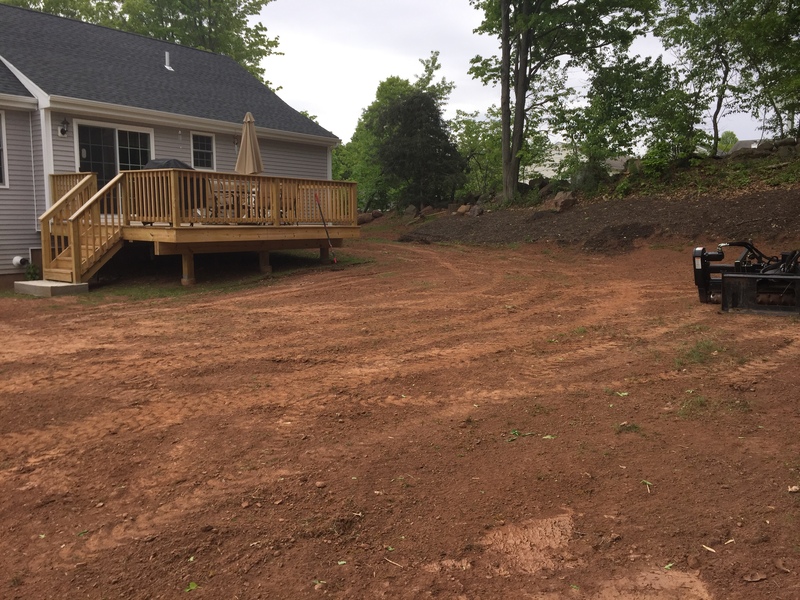 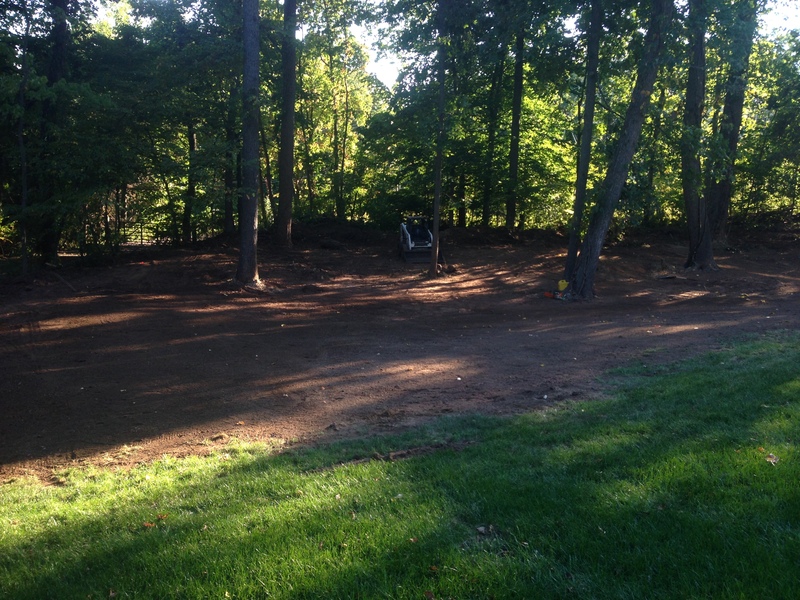 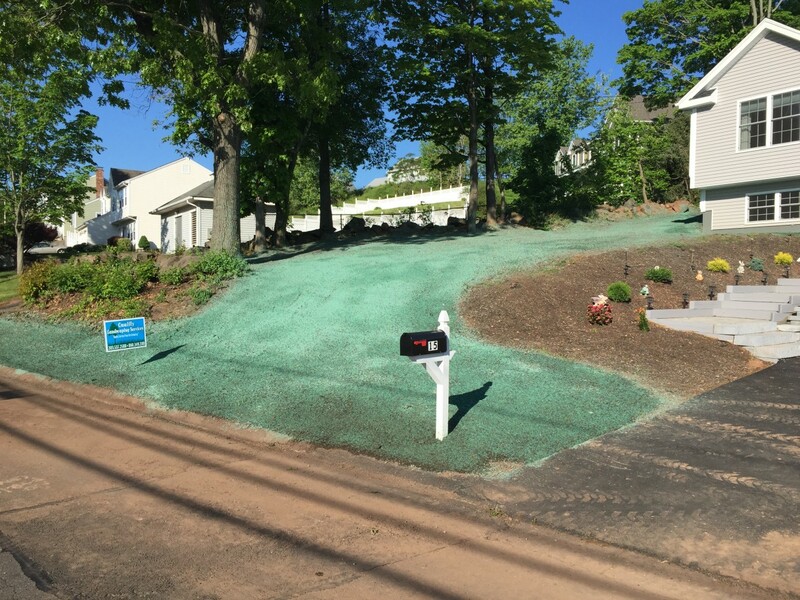 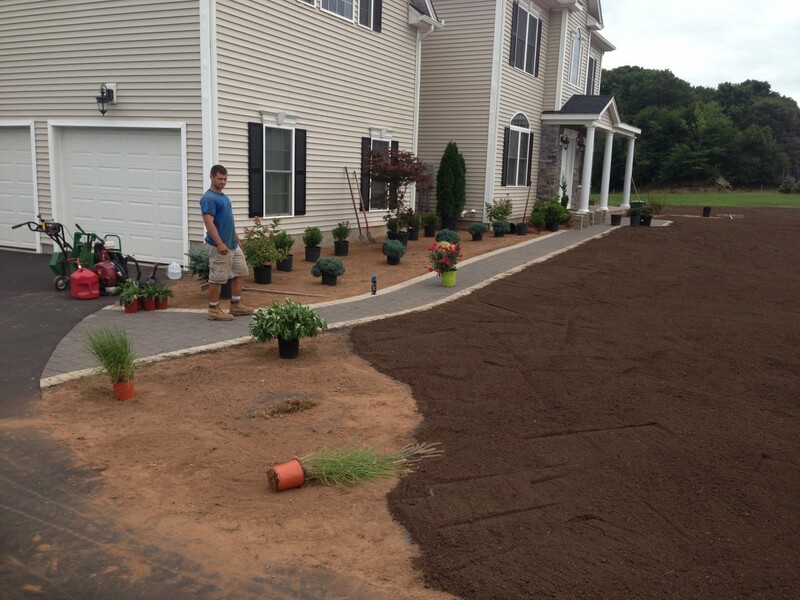 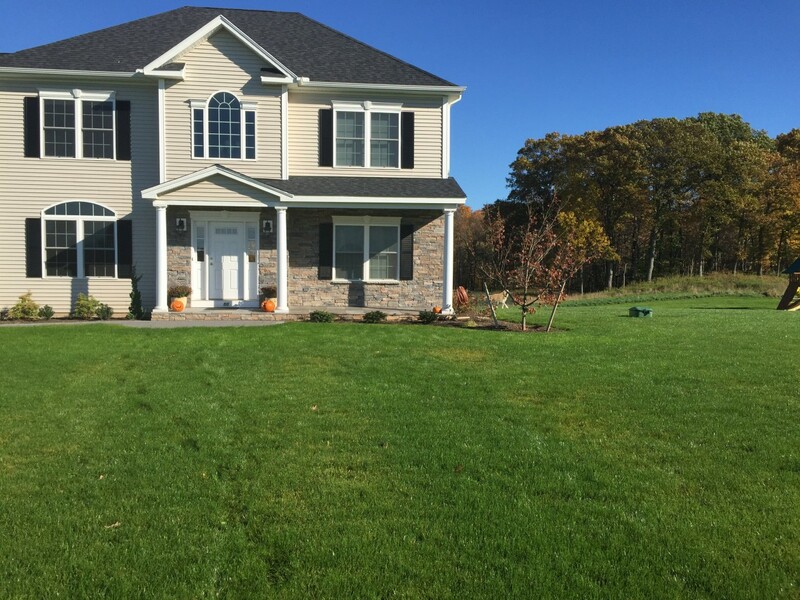 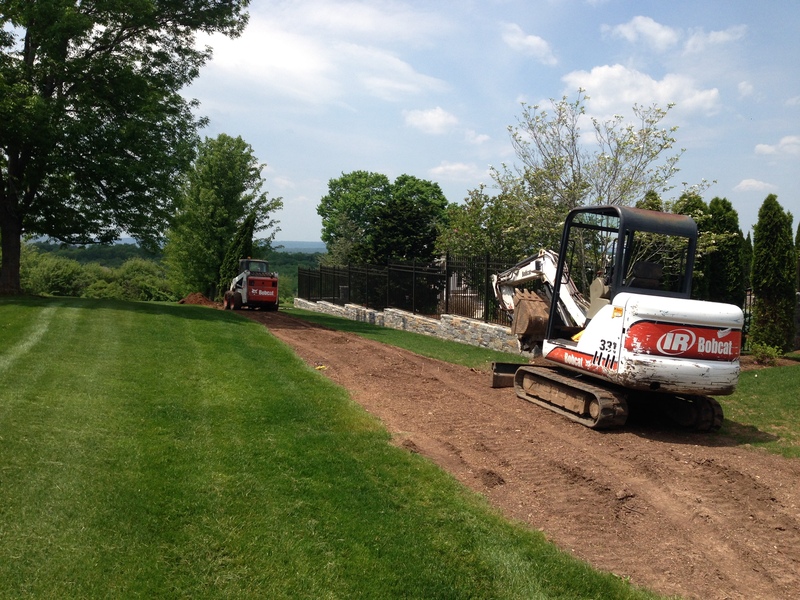 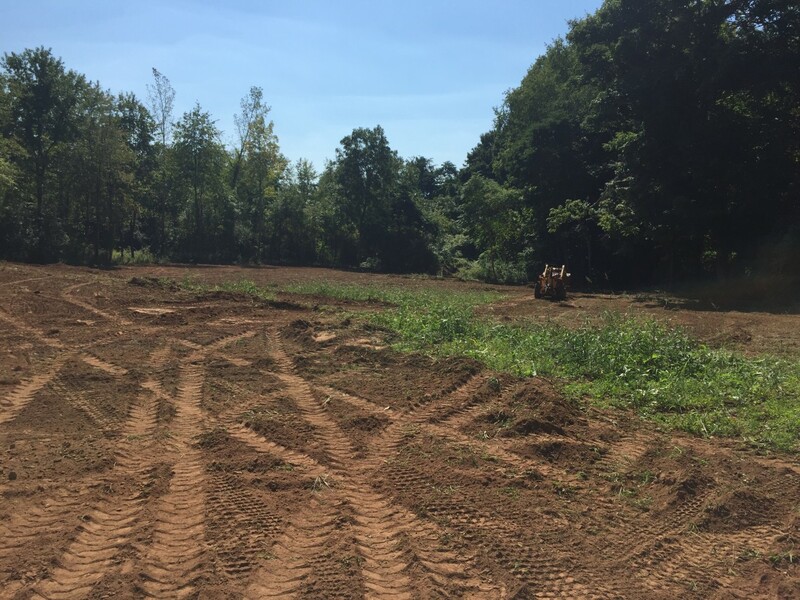 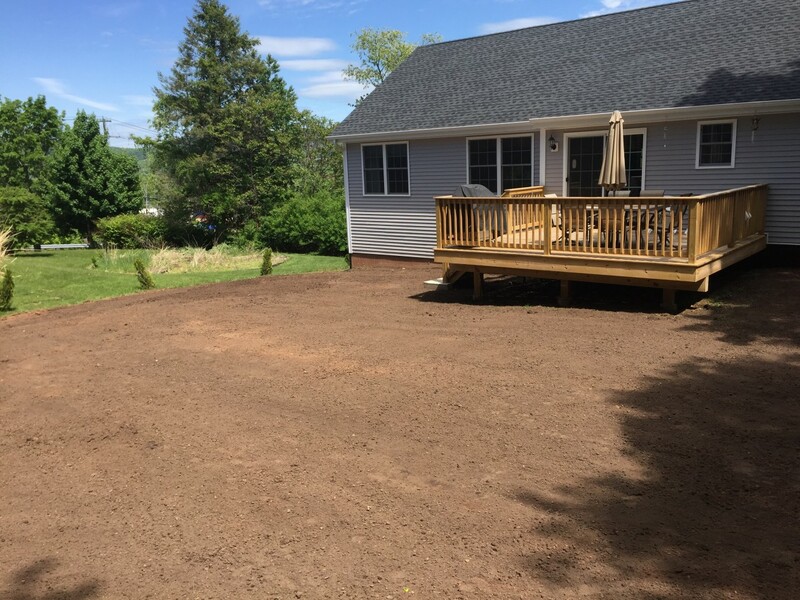 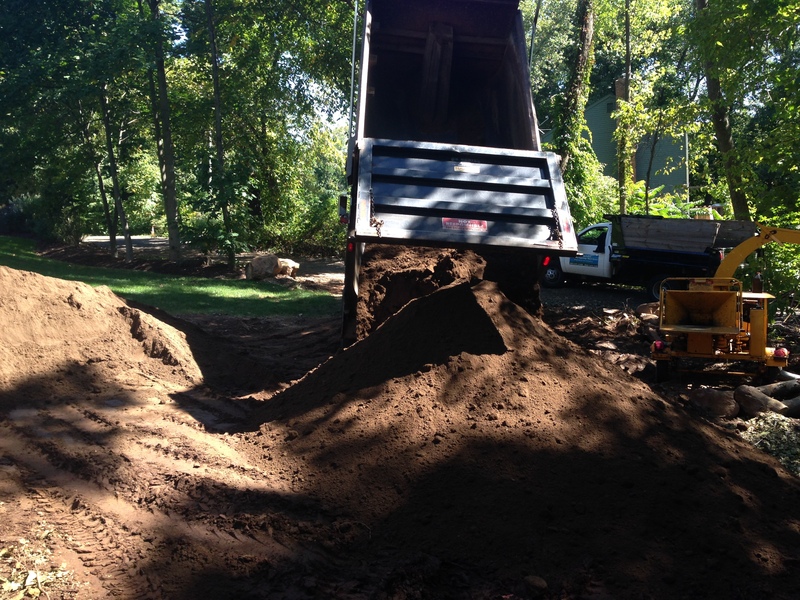 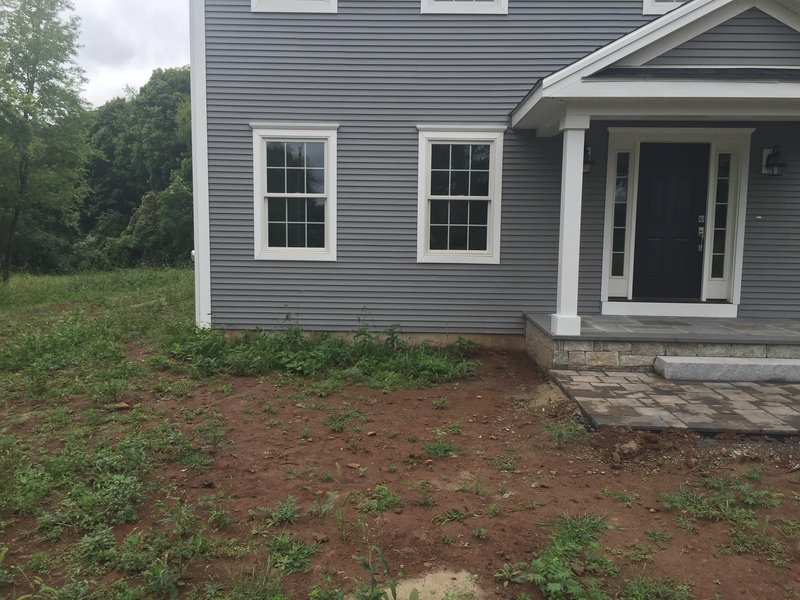 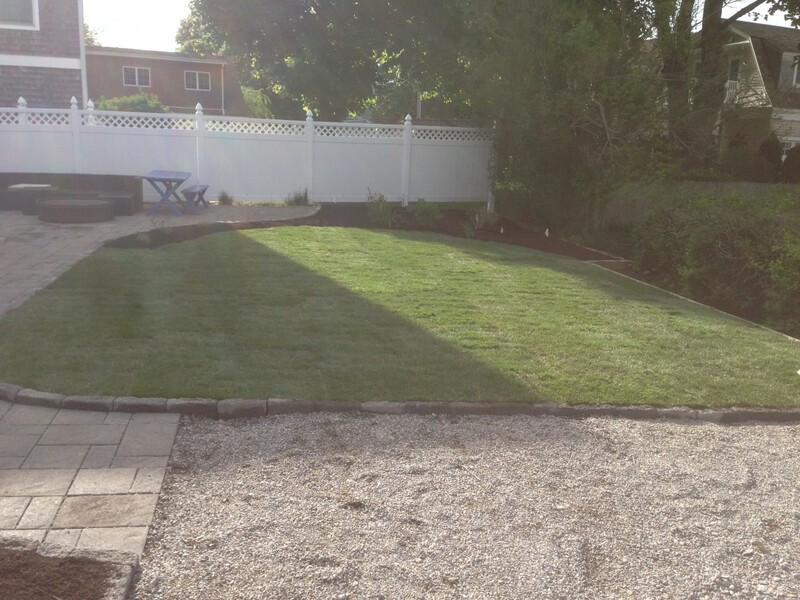 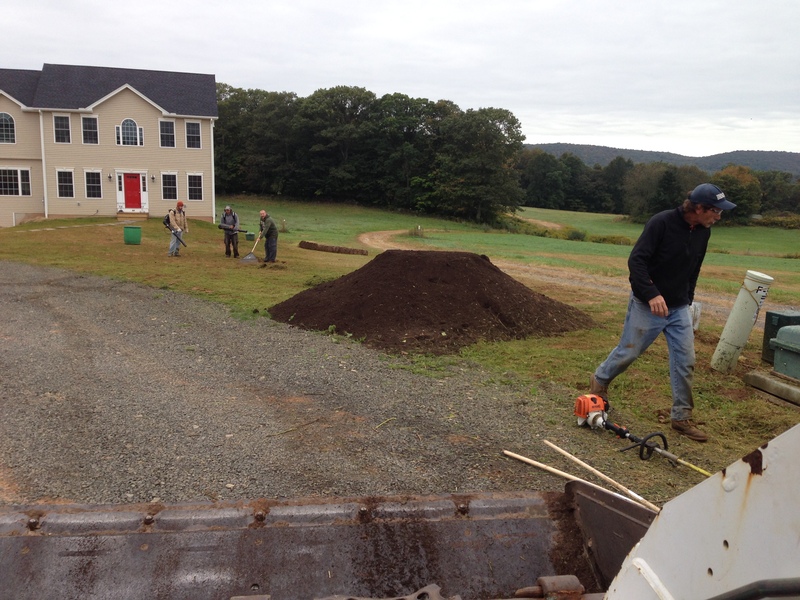 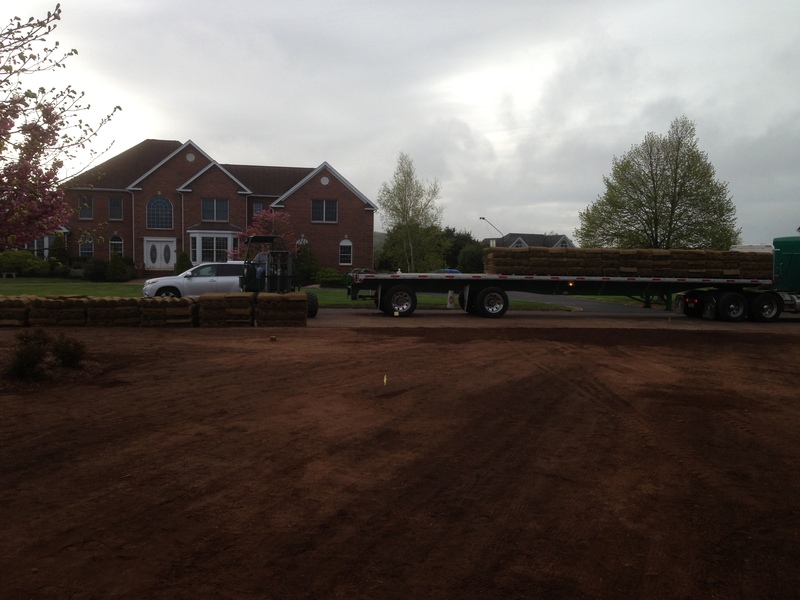 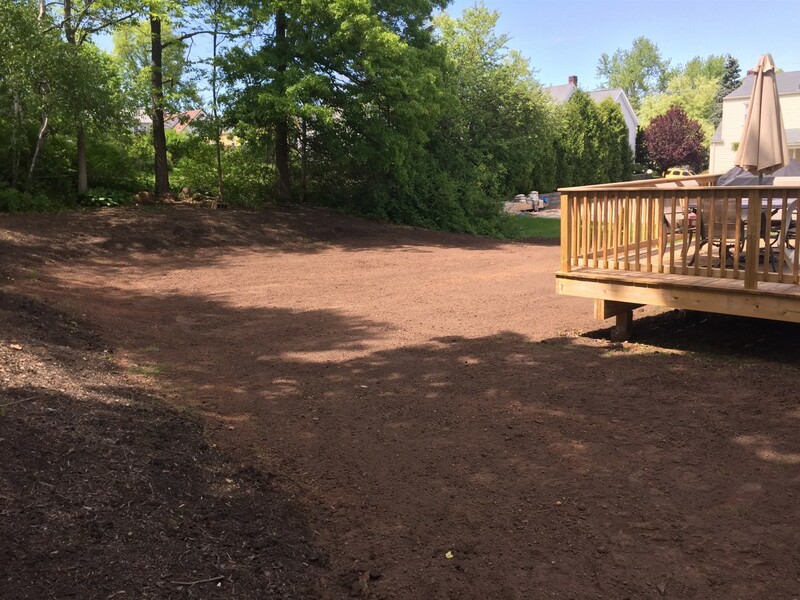 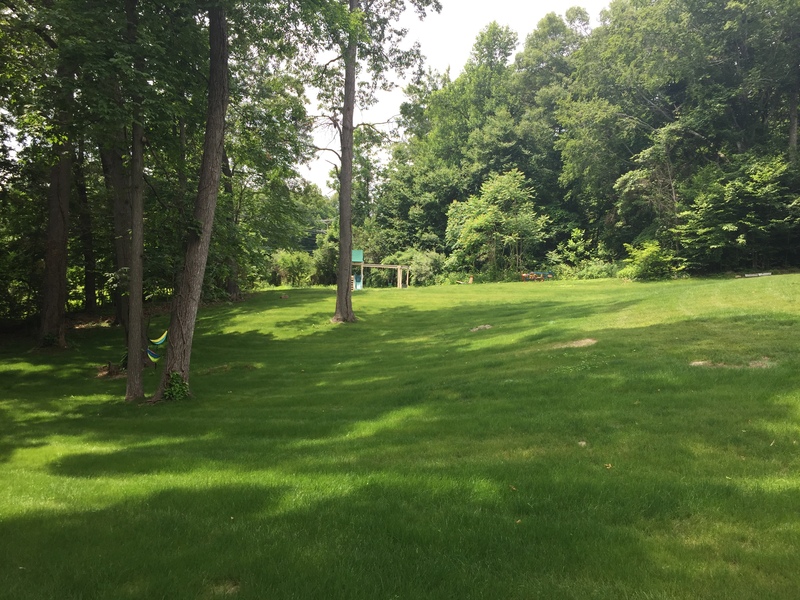 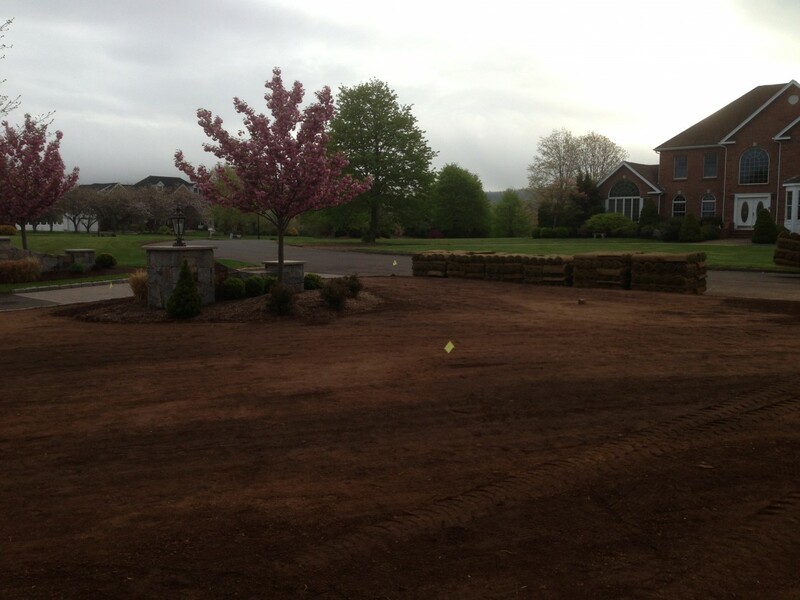 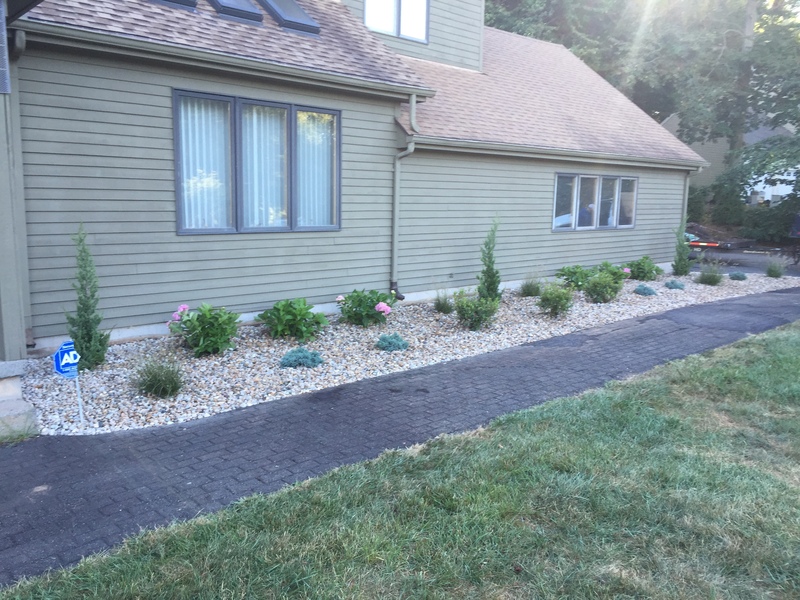 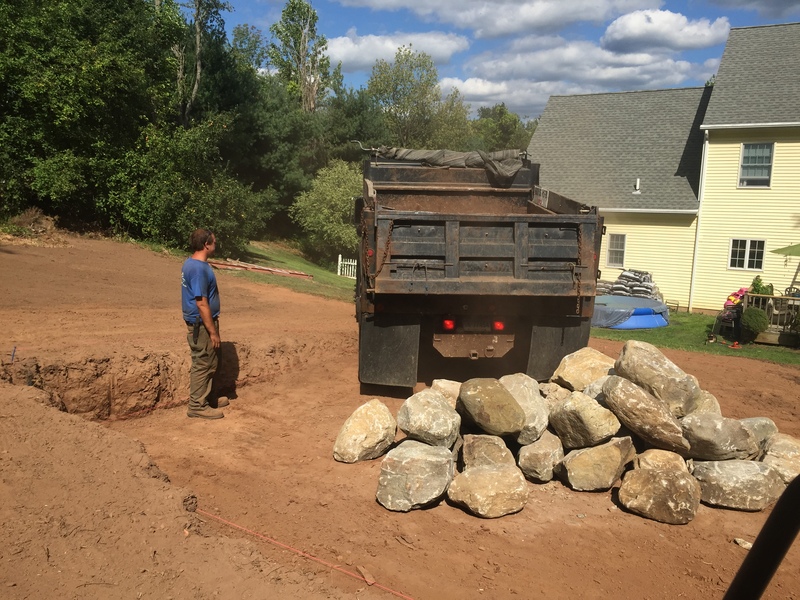 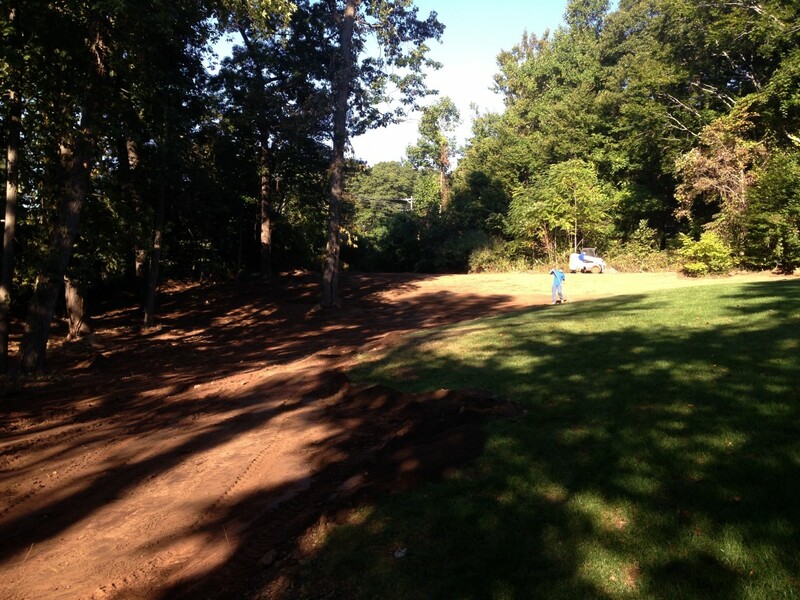 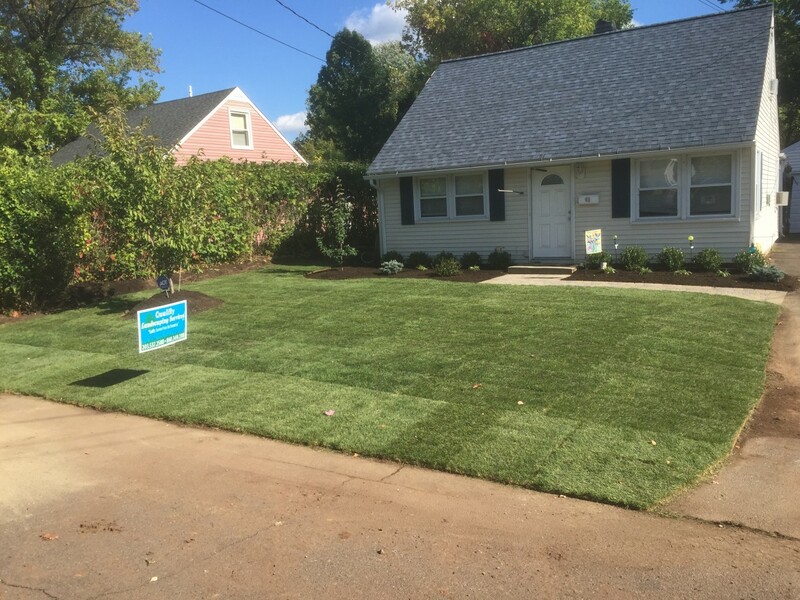 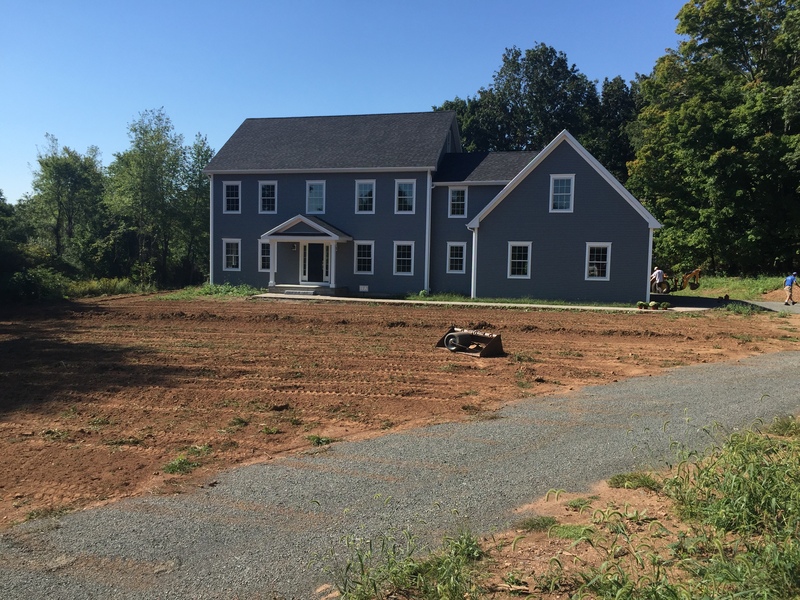 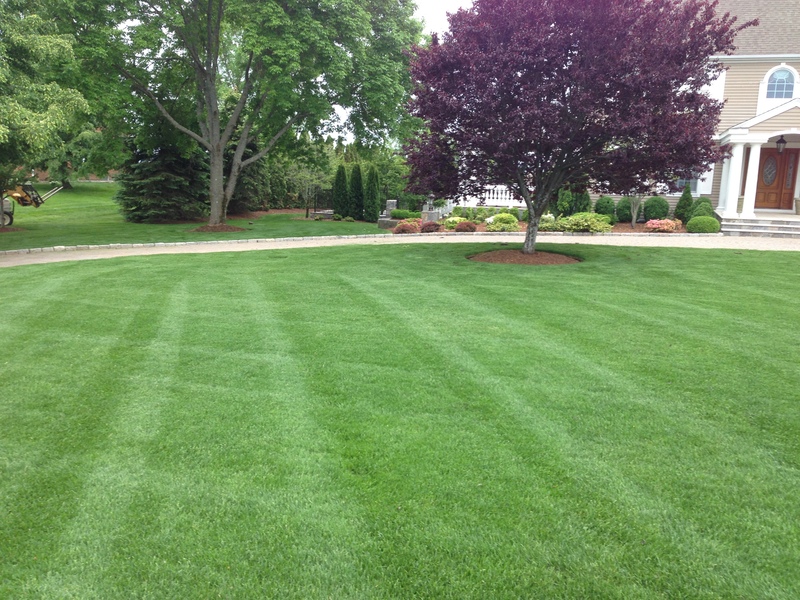 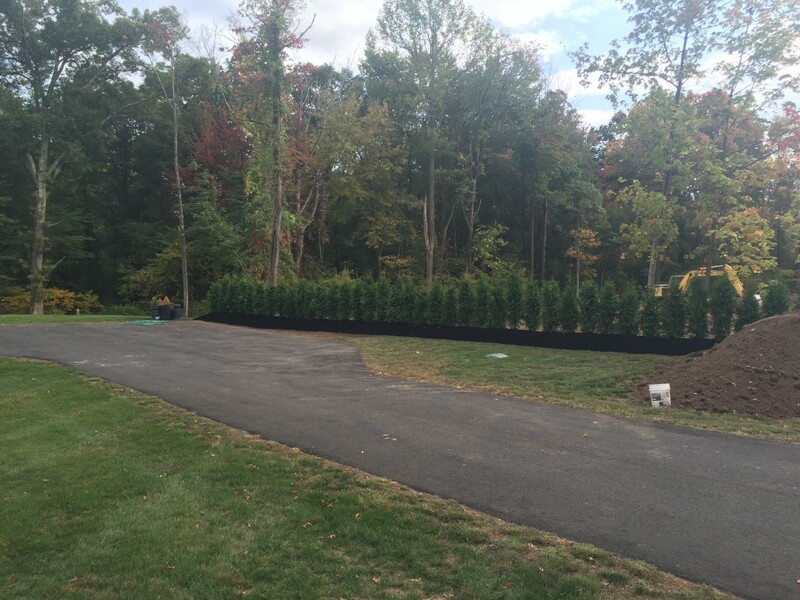 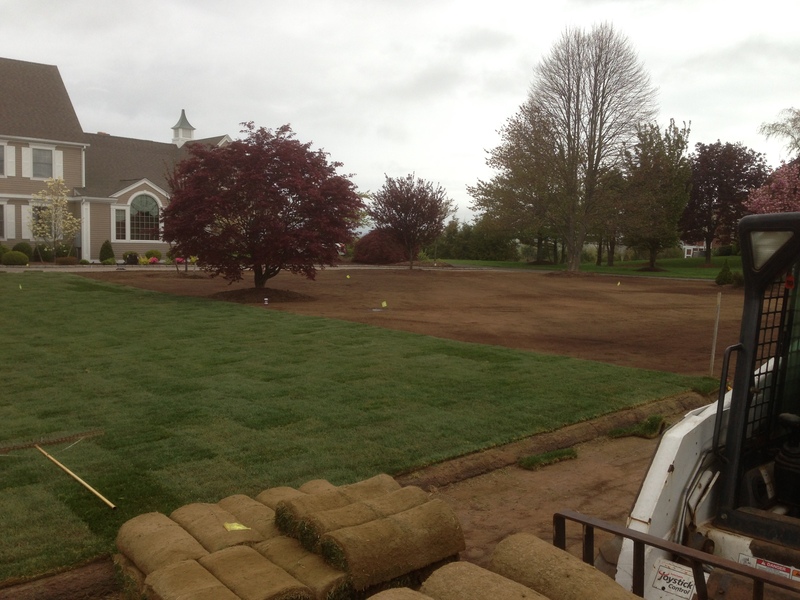 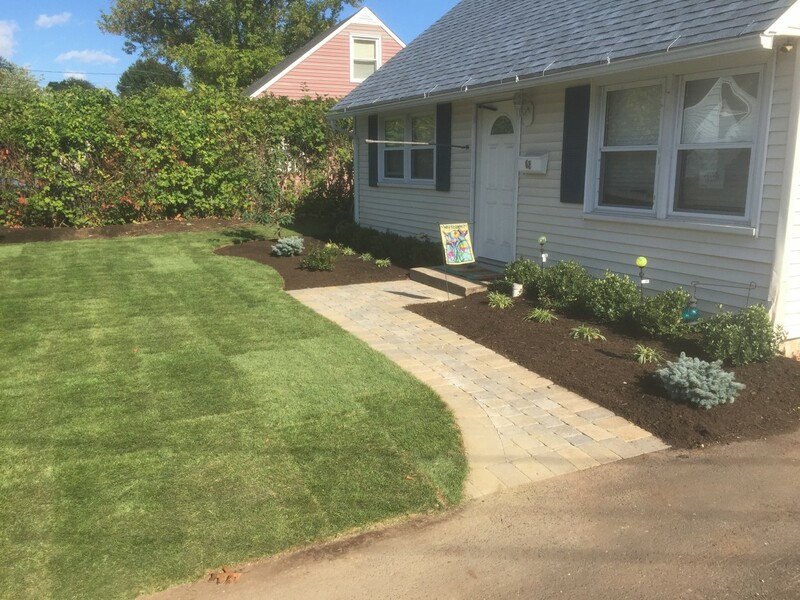 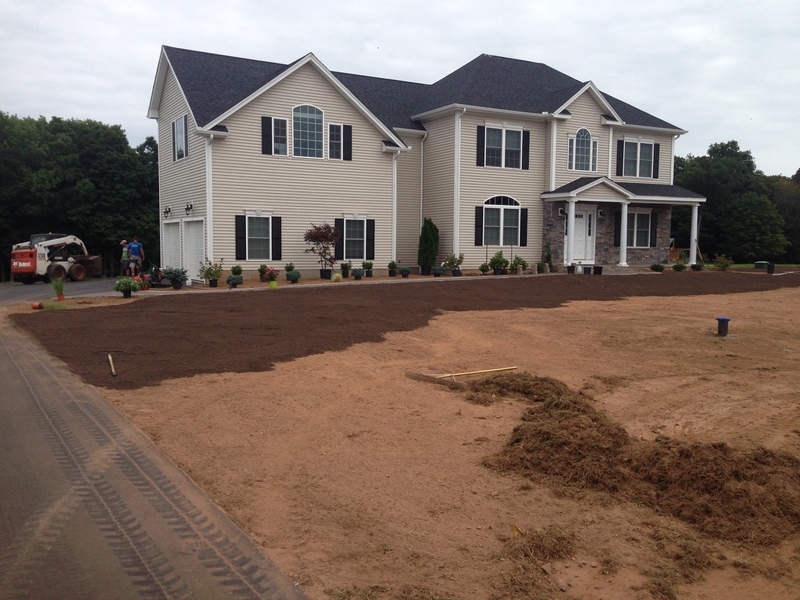 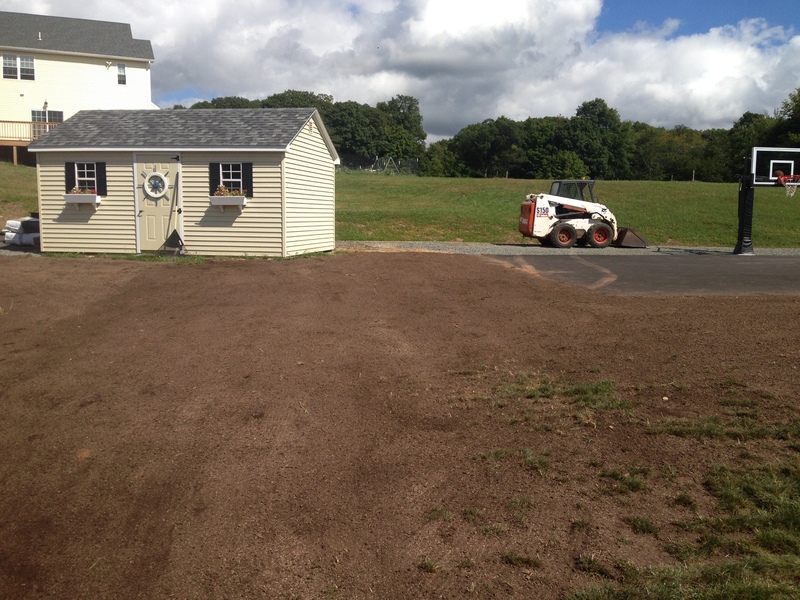 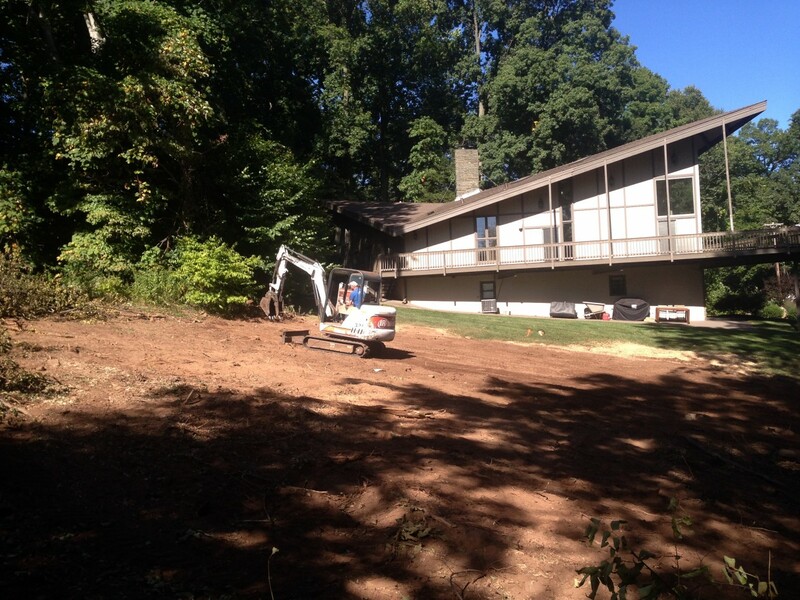 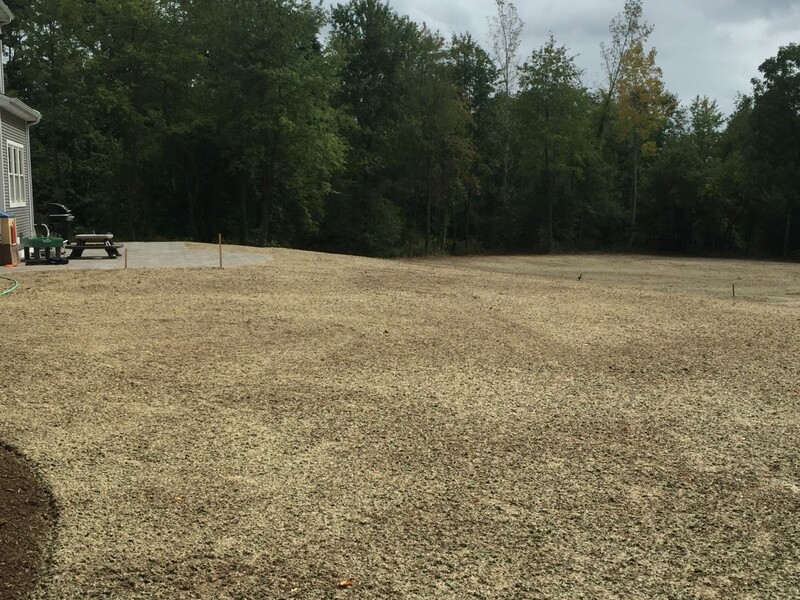 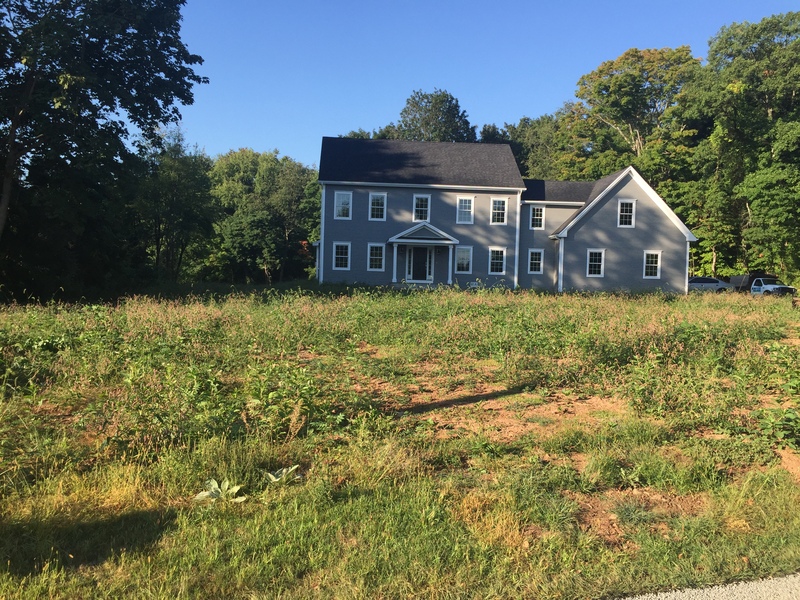 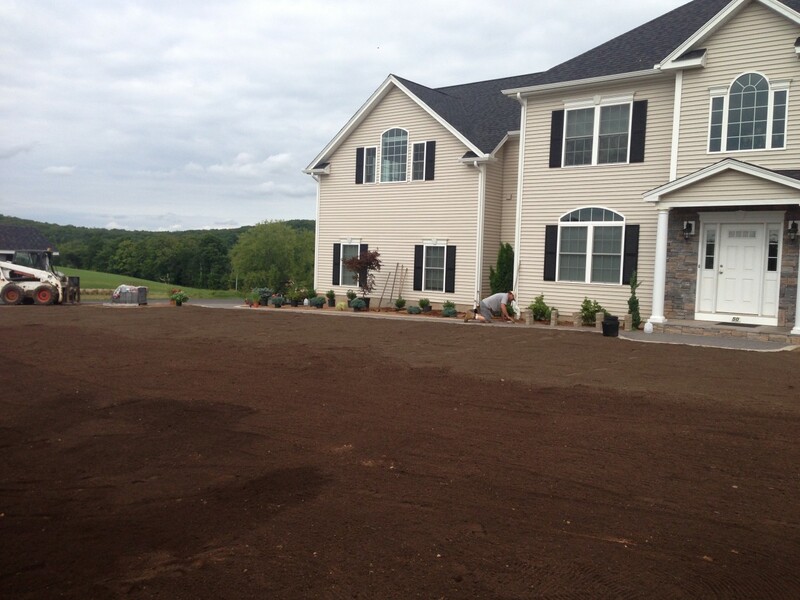 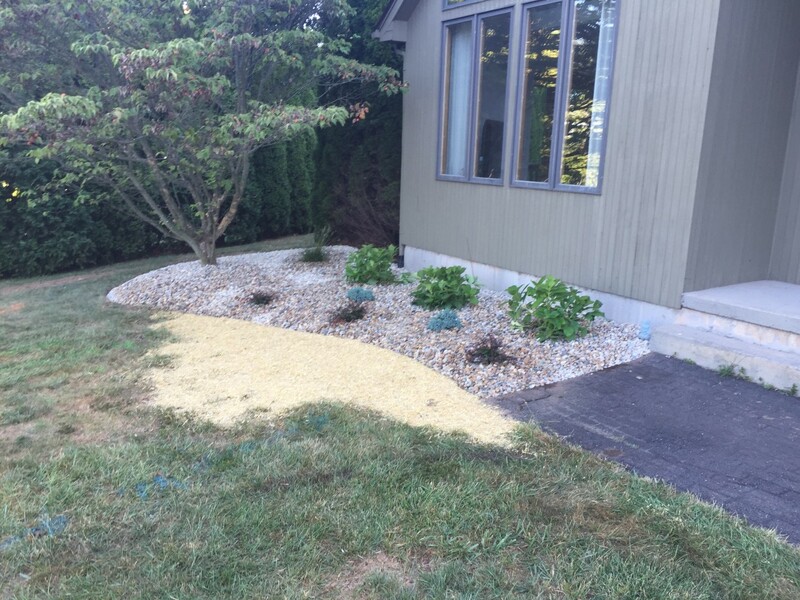 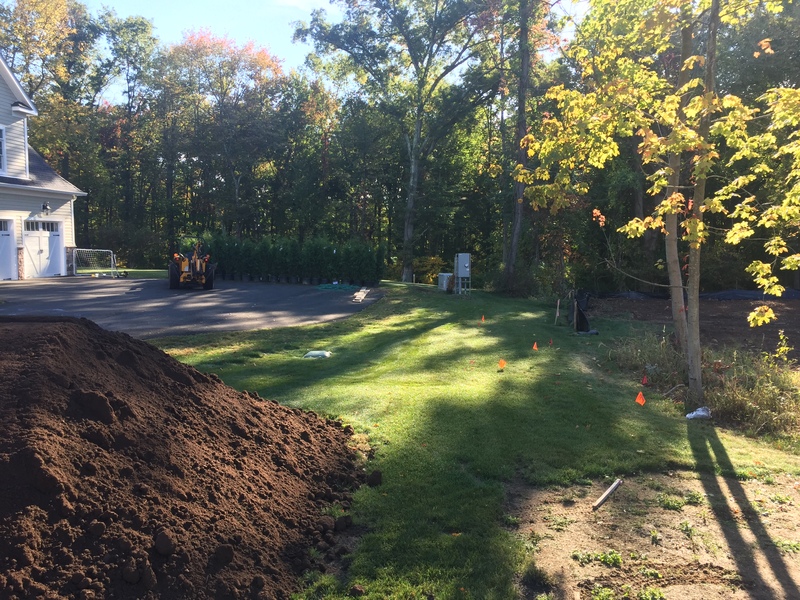 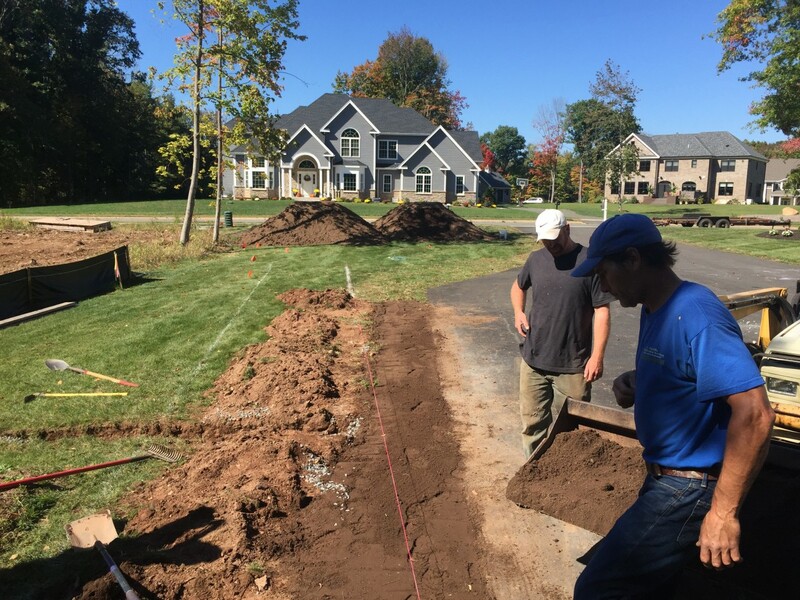 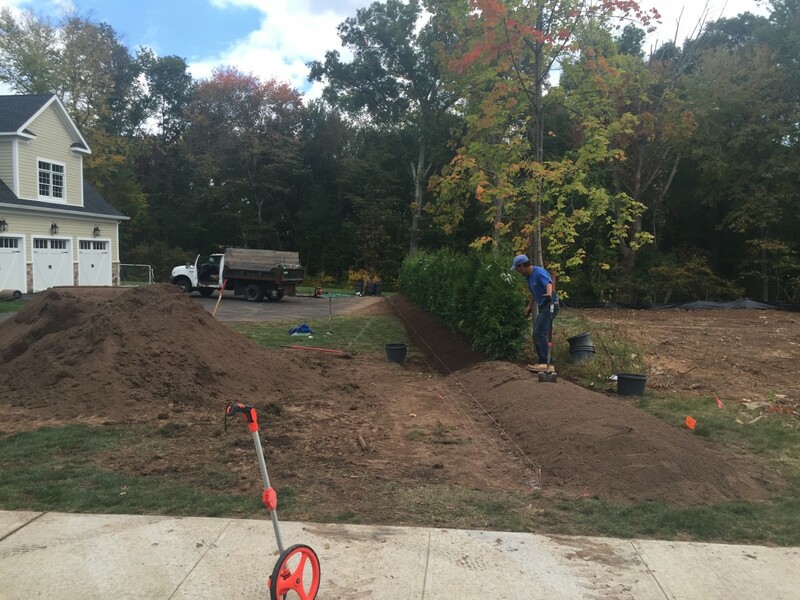 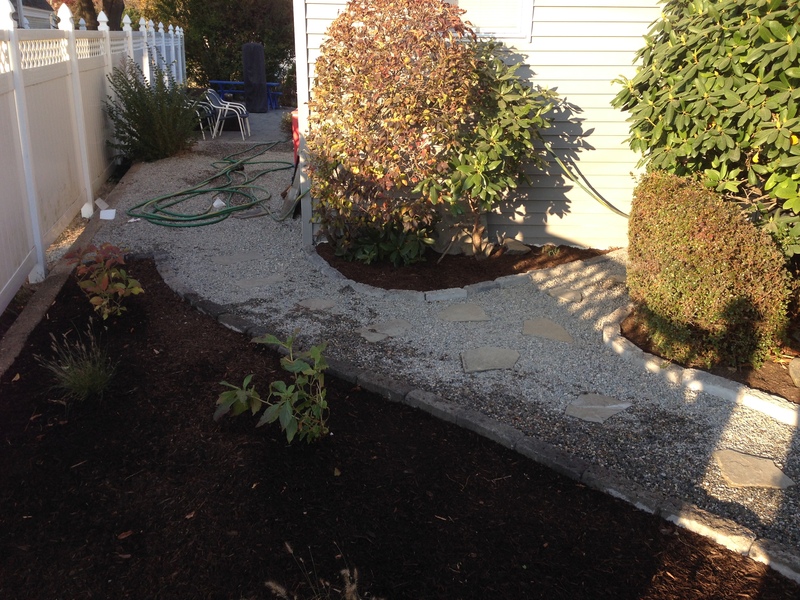 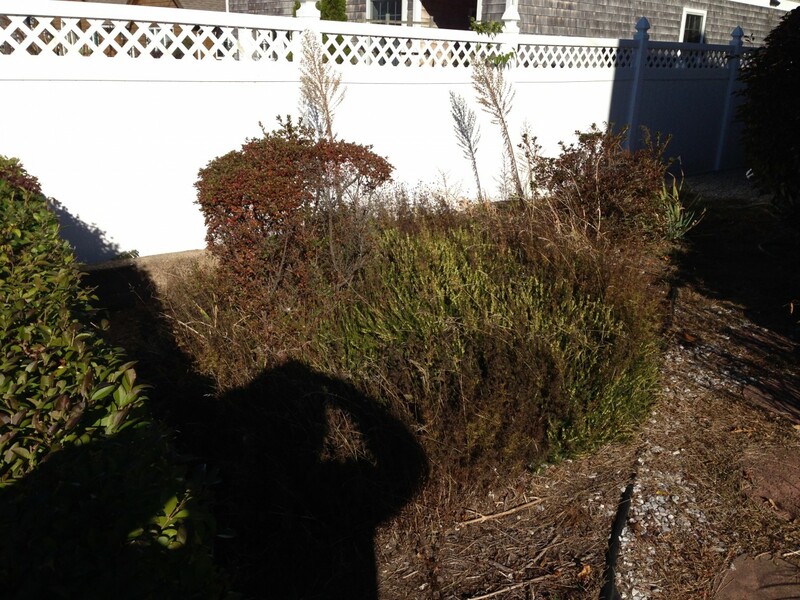 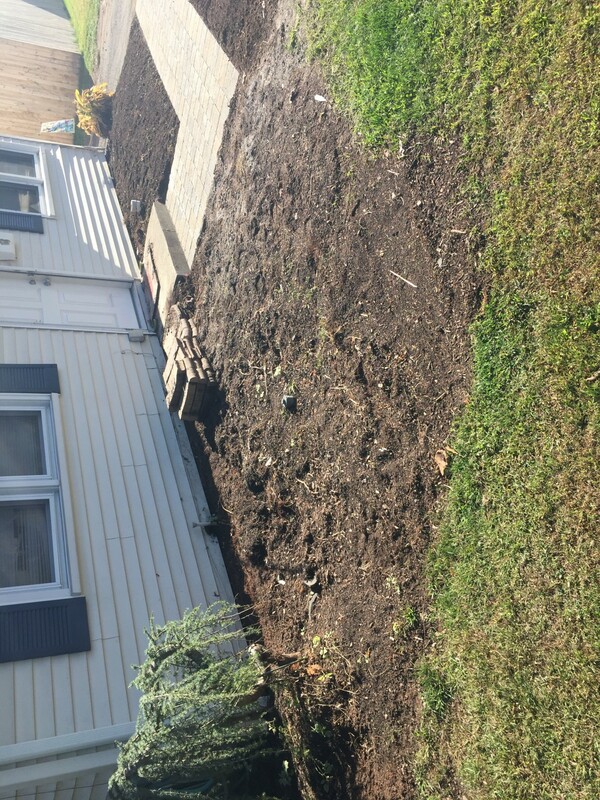 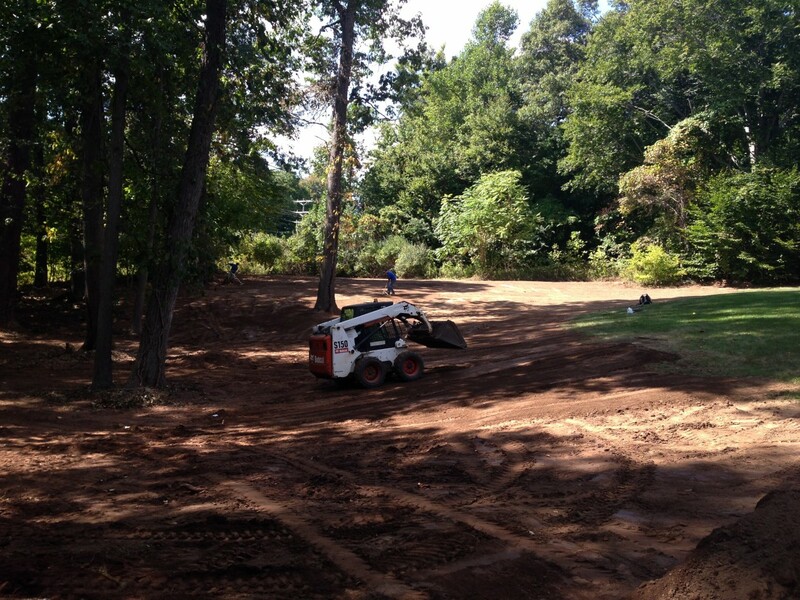 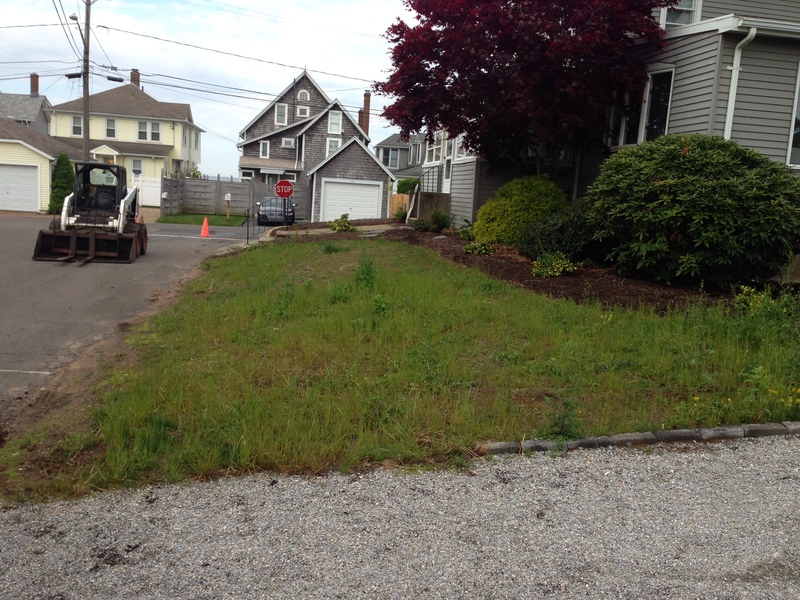 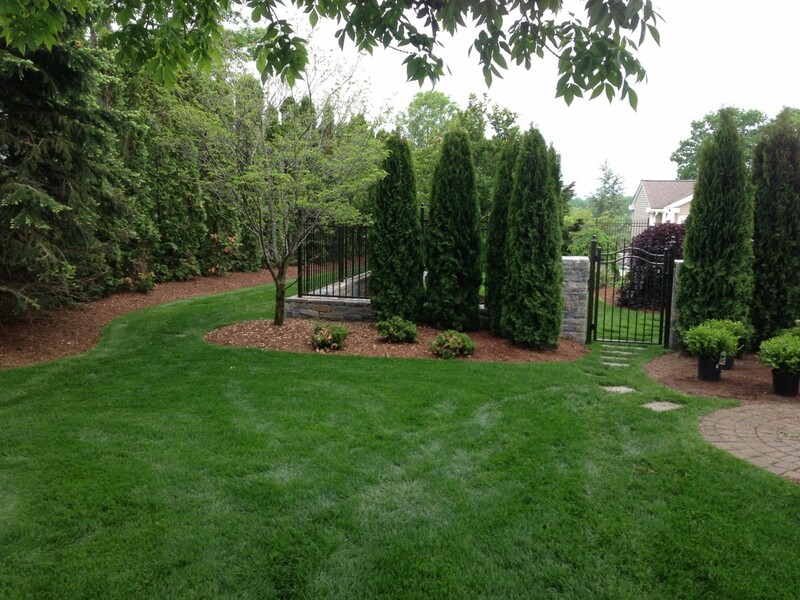 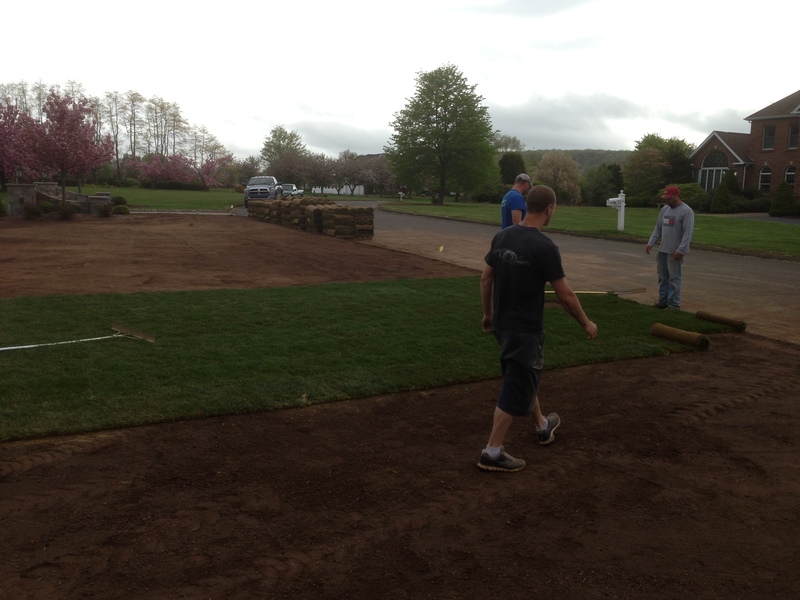 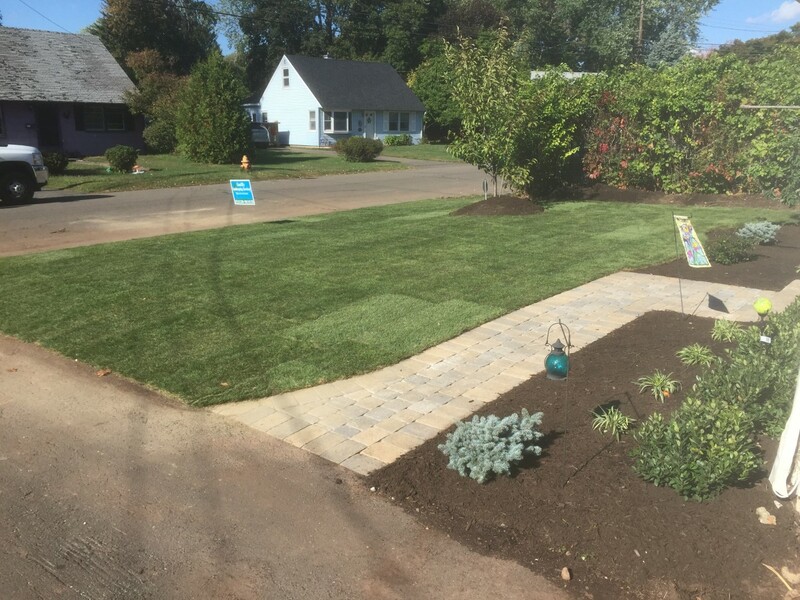 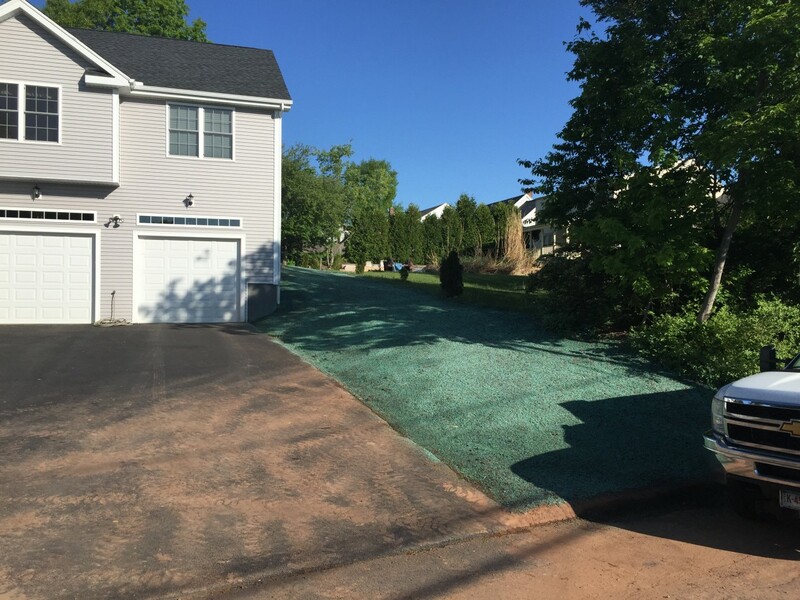 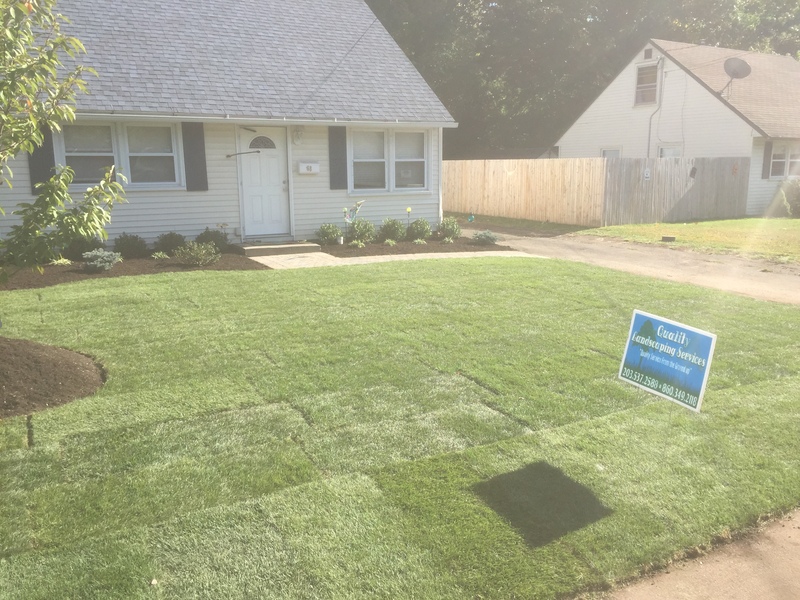 New construction home lawn installation – Harley raked existing terrain, removed debris, spread new topsoil and hydroseed. 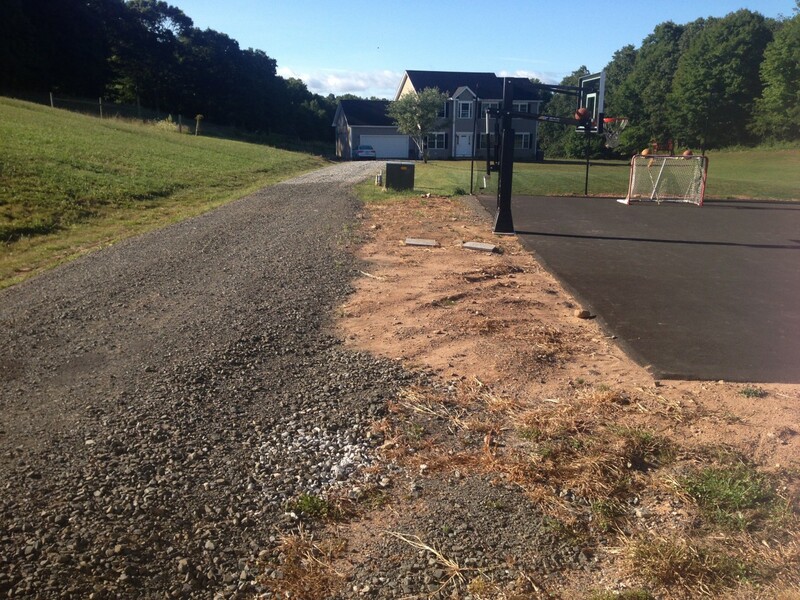 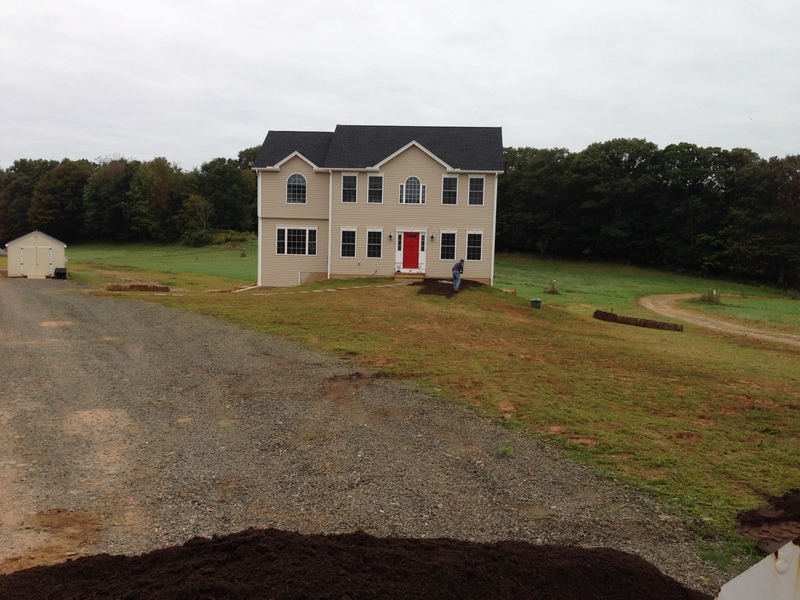 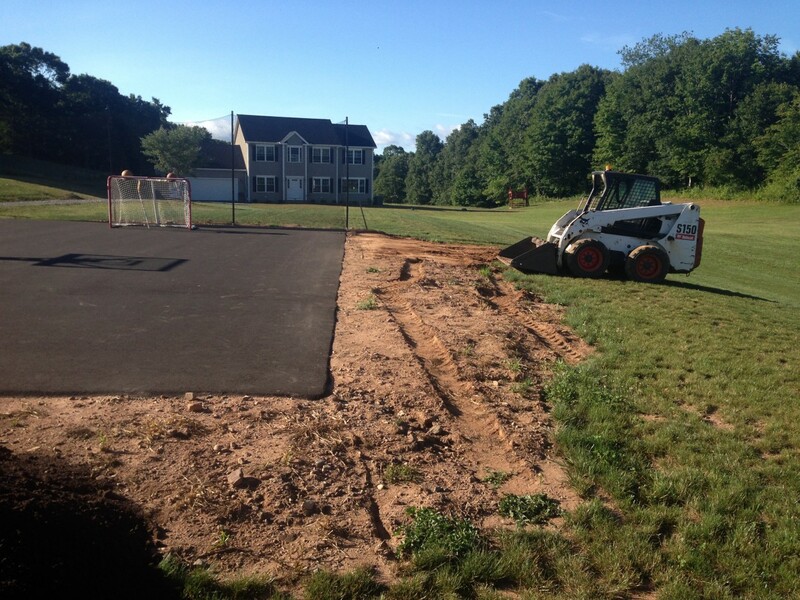 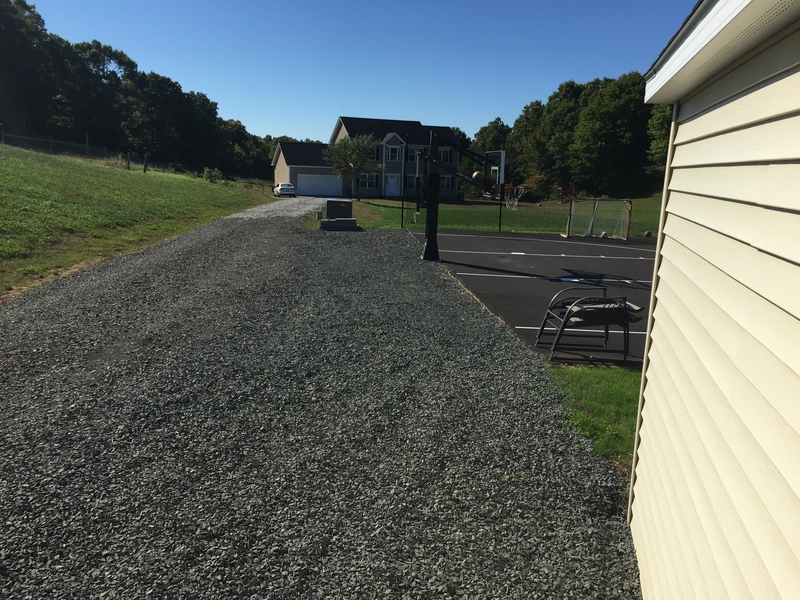 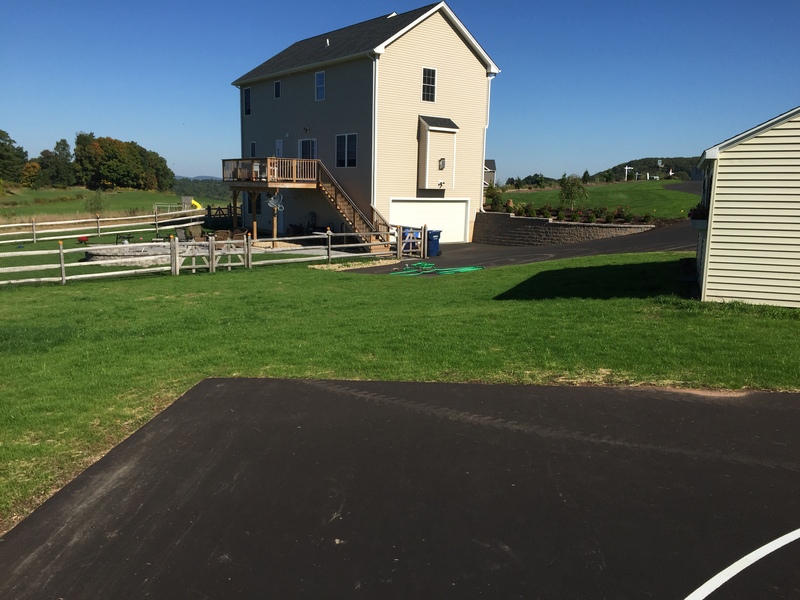 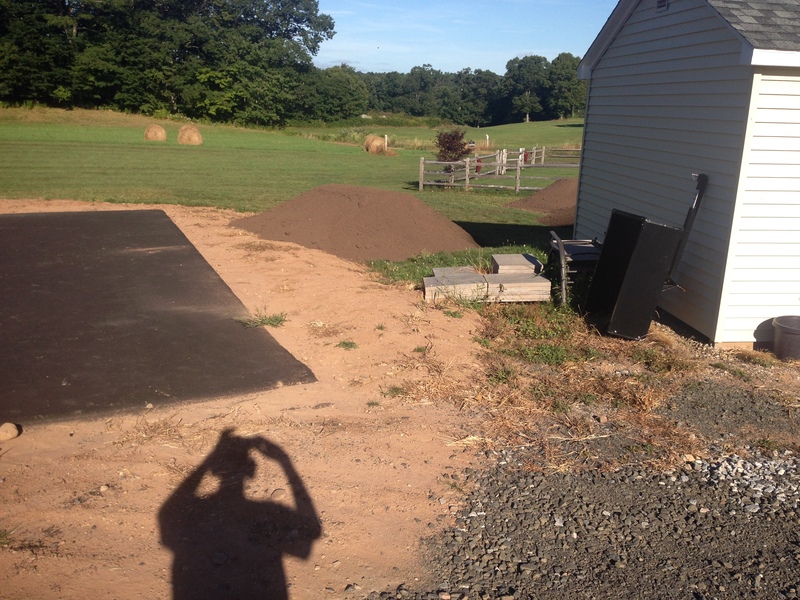 New construction home, installed new topsoil and lawn,and new gravel around basketball court. 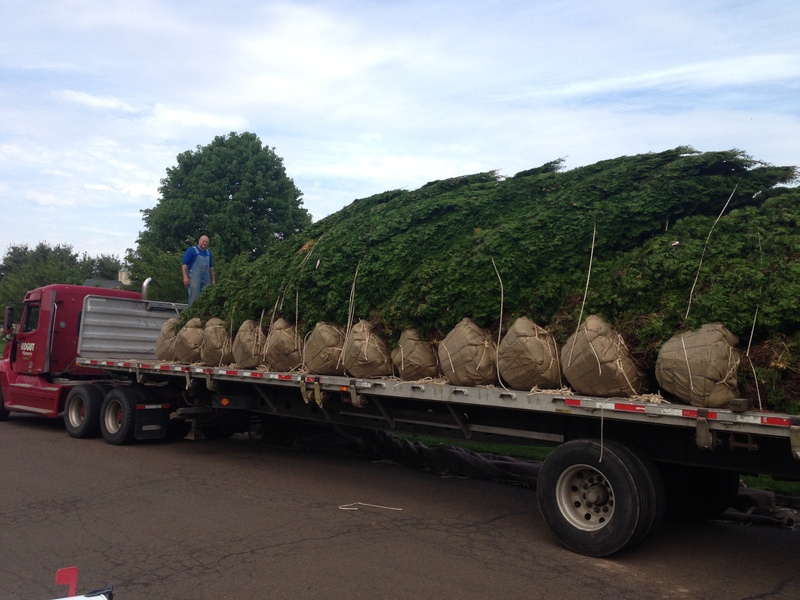 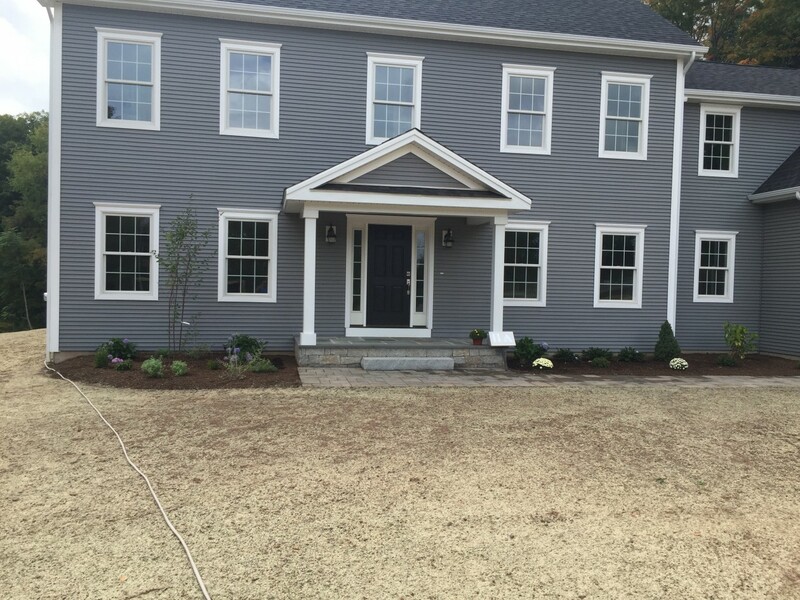 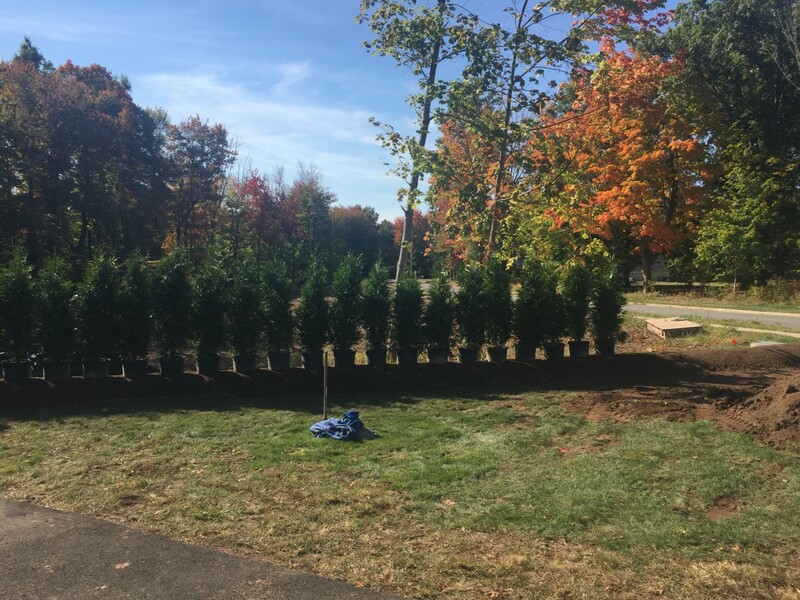 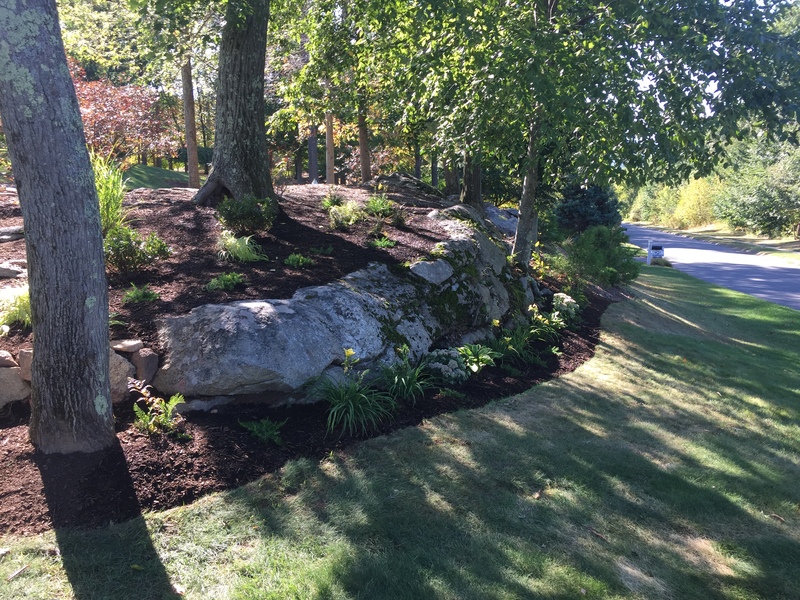 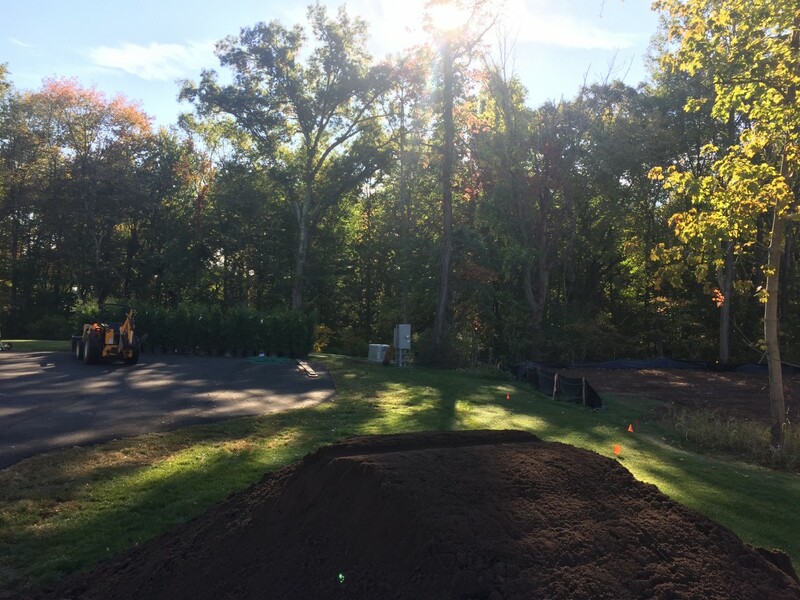 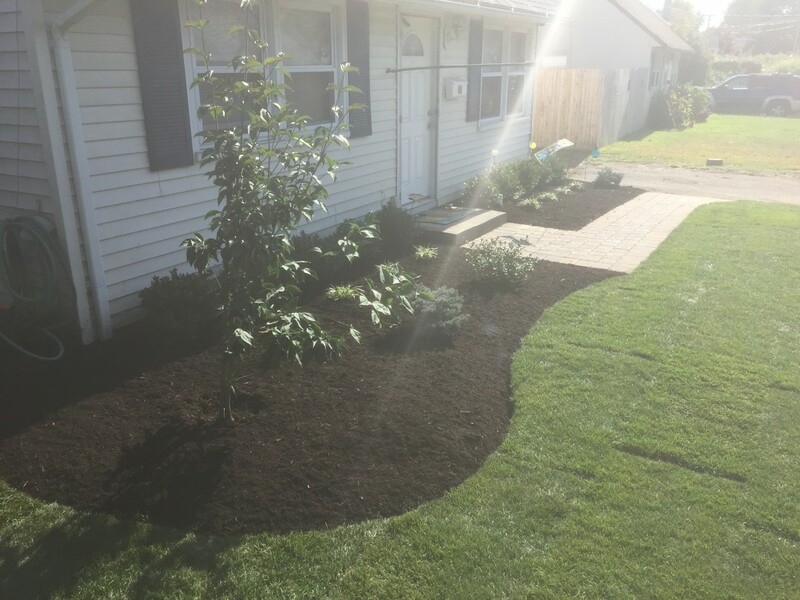 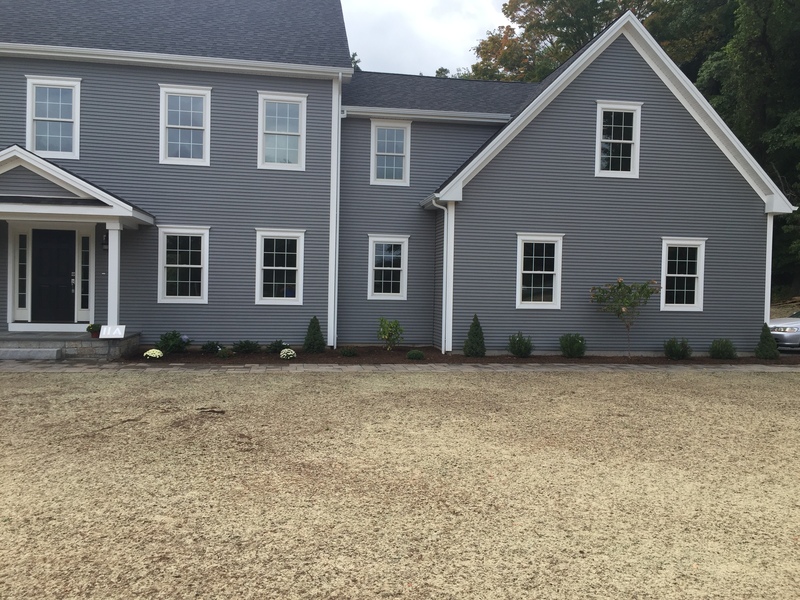 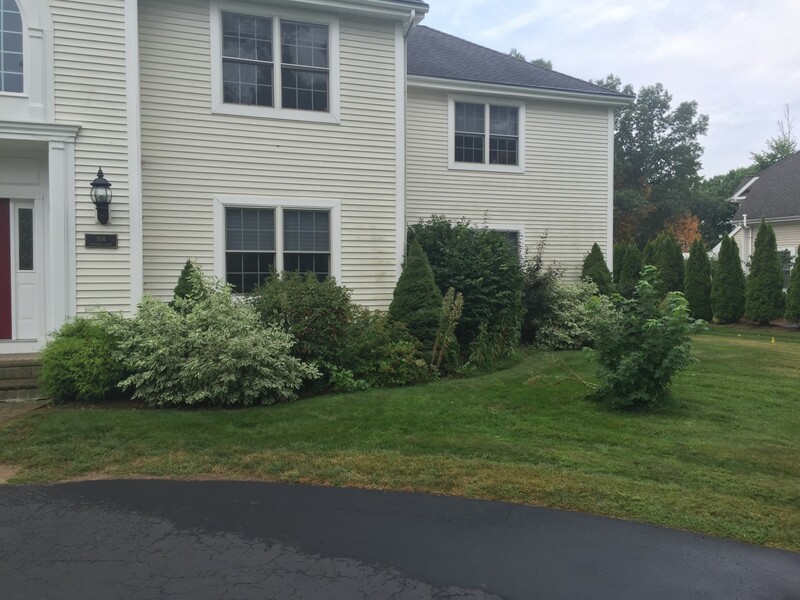 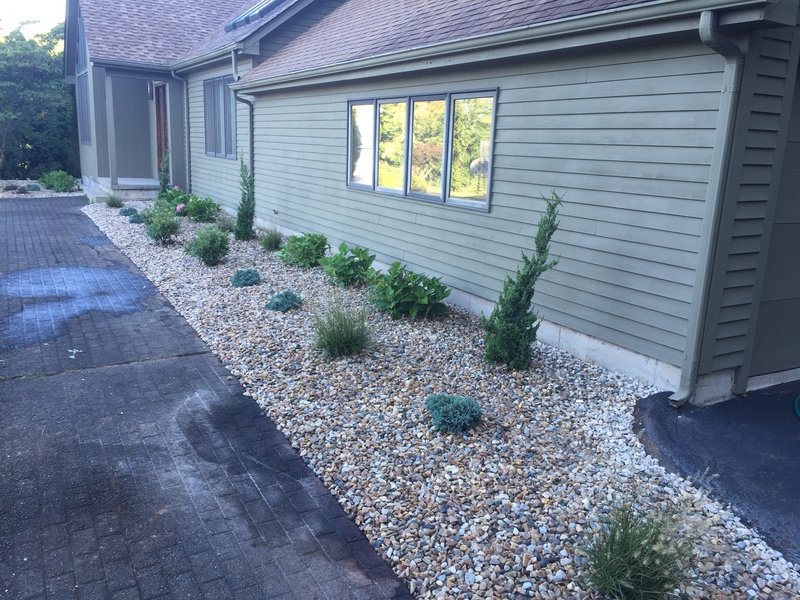 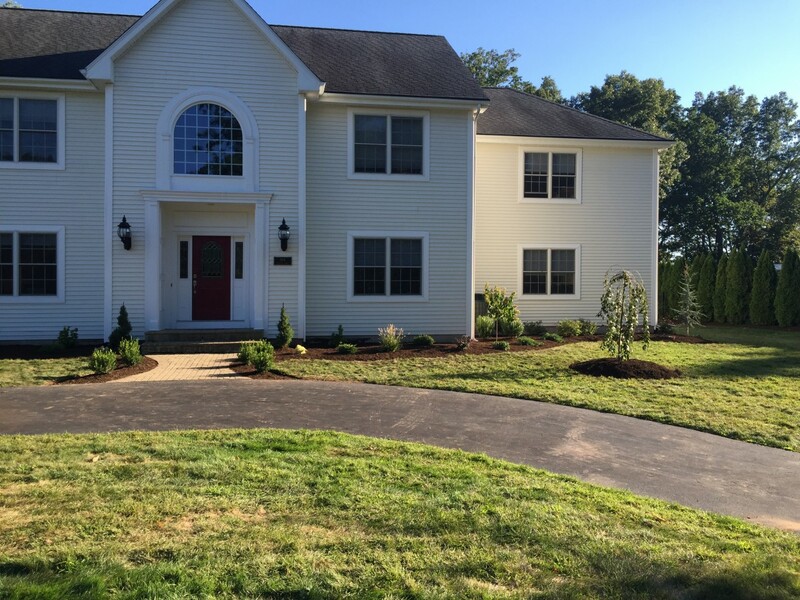 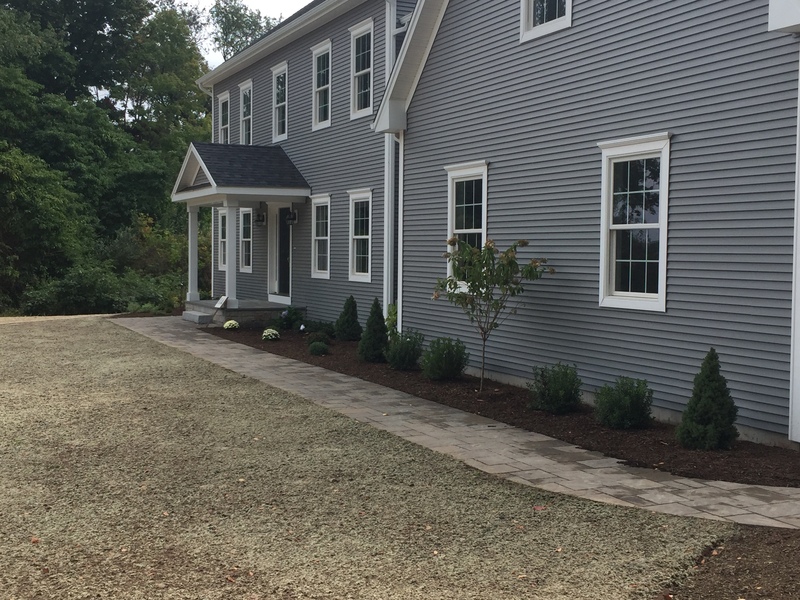 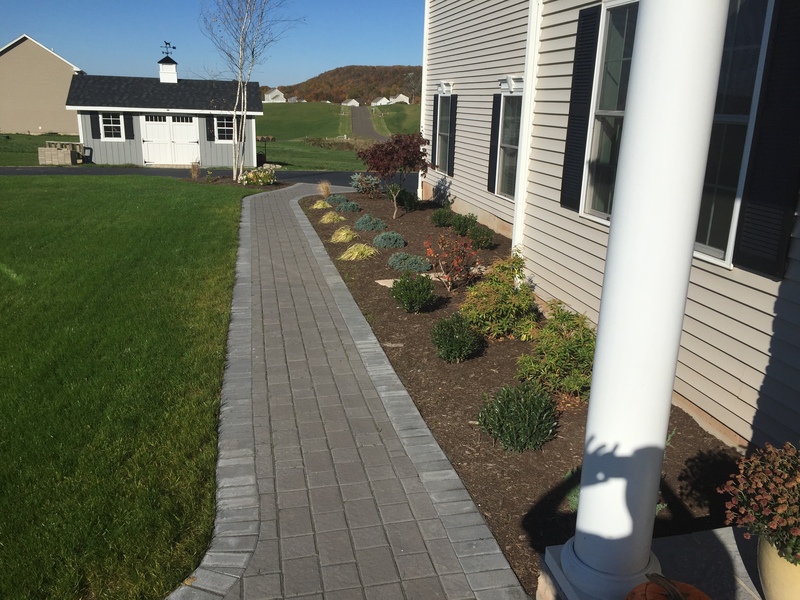 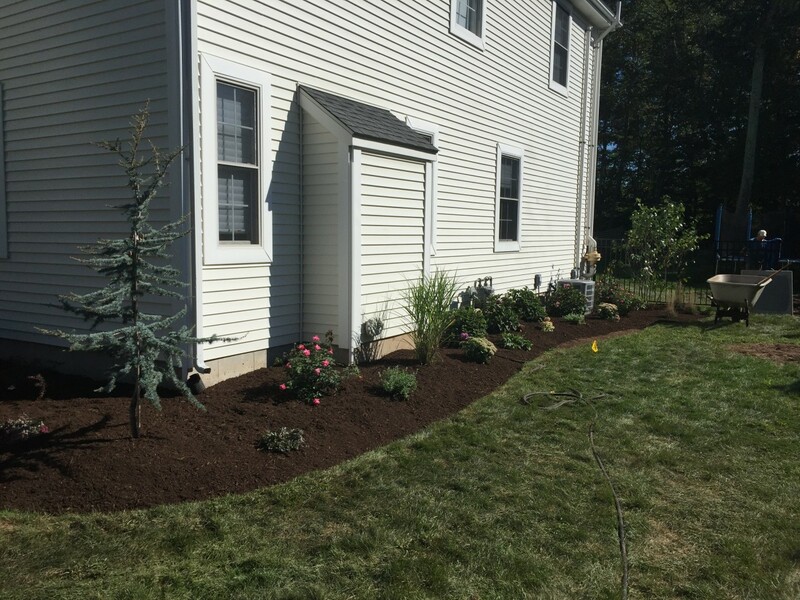 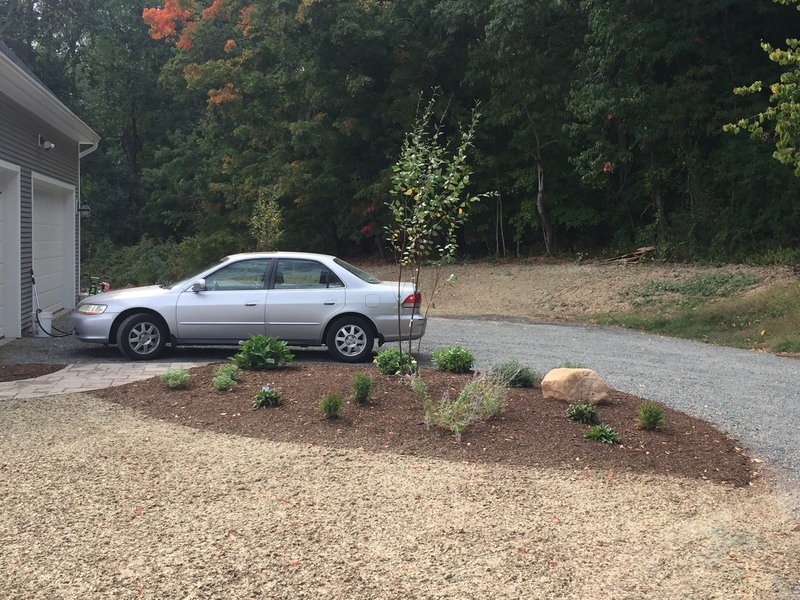 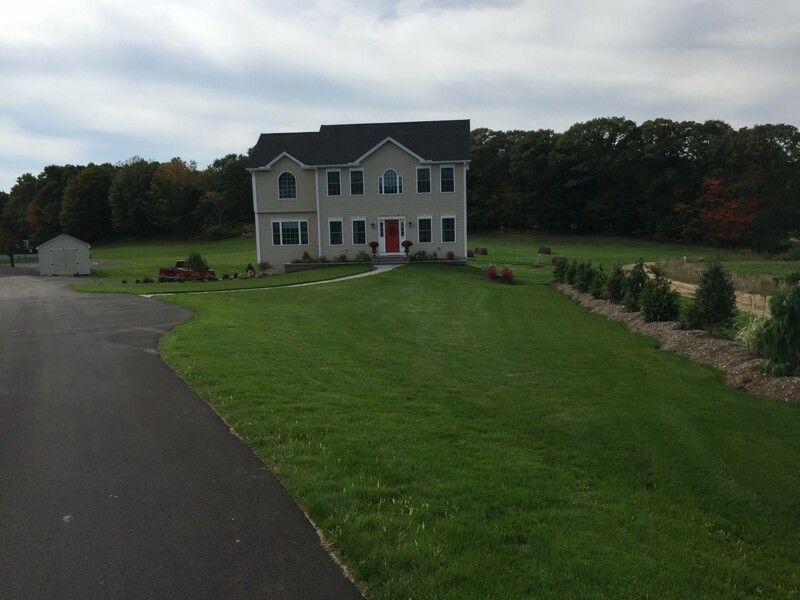 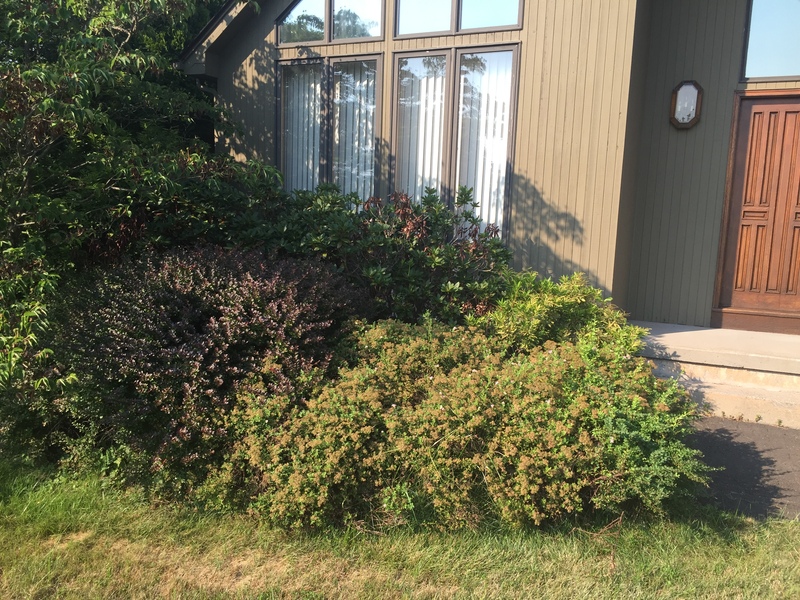 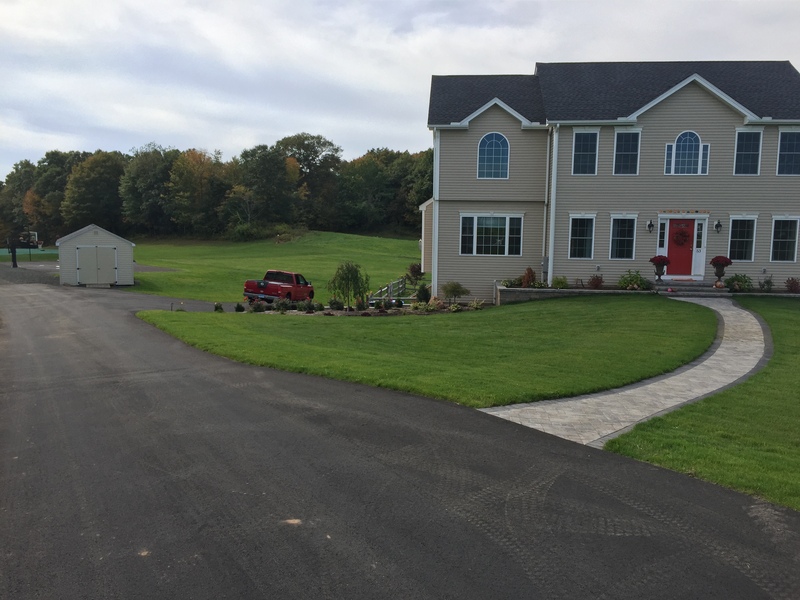 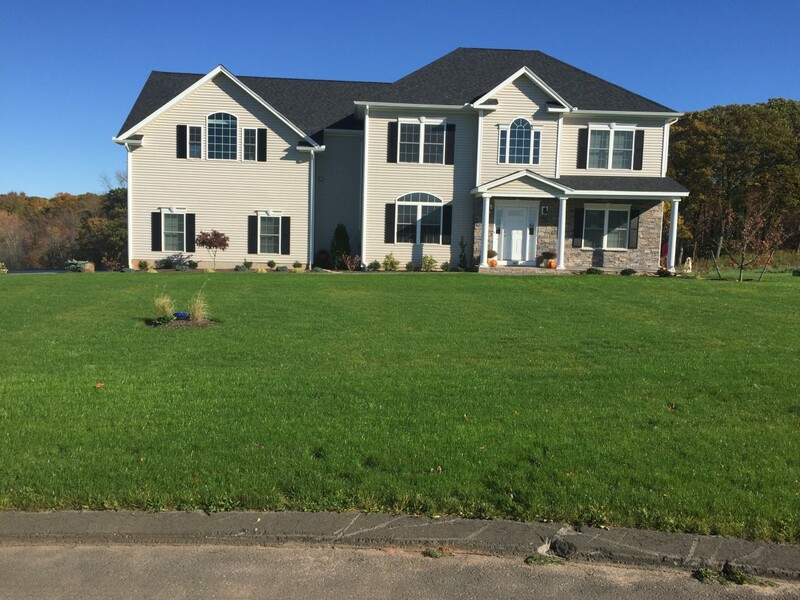 New Construction home, Harley raked existing terrain, removed all debris and graded with topsoil and hydroseed, installed new beds with trees and shrubs. 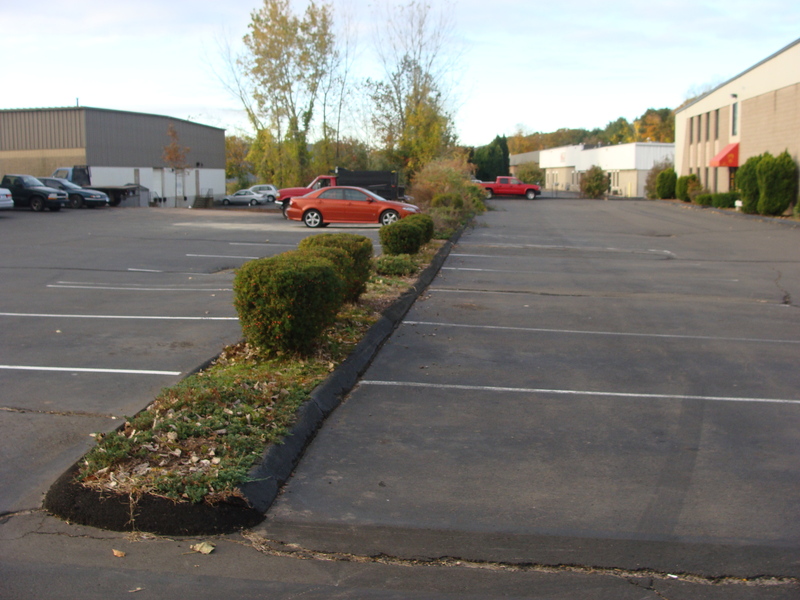 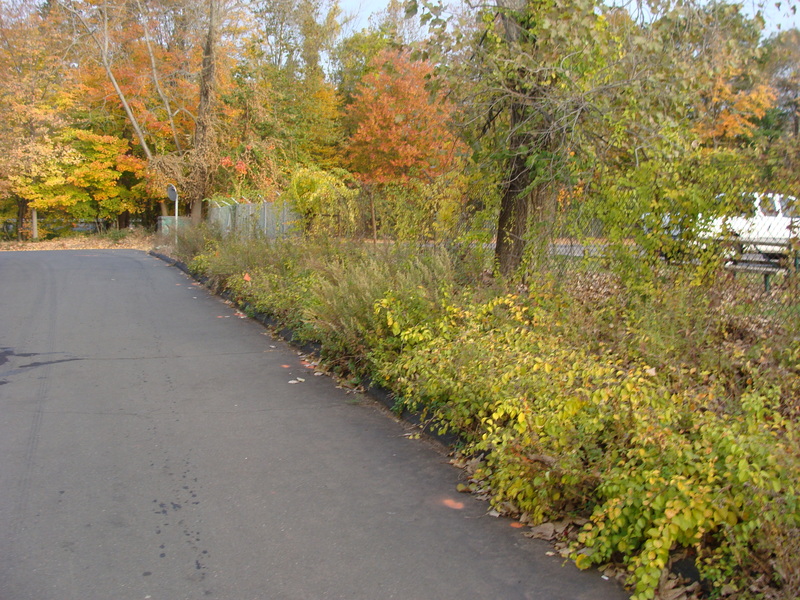 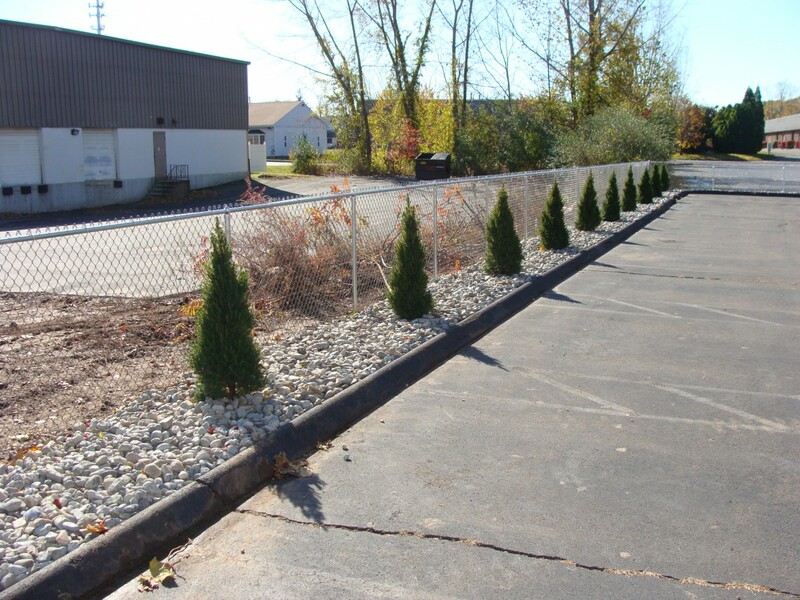 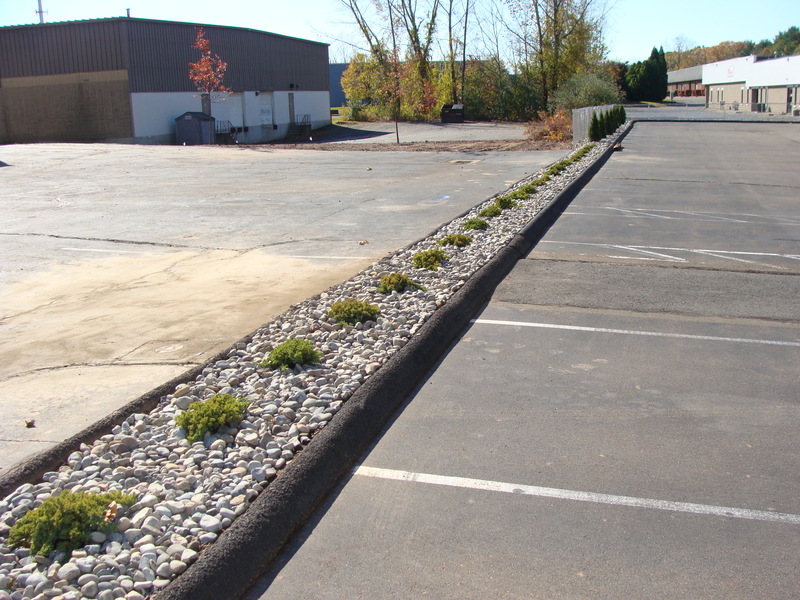 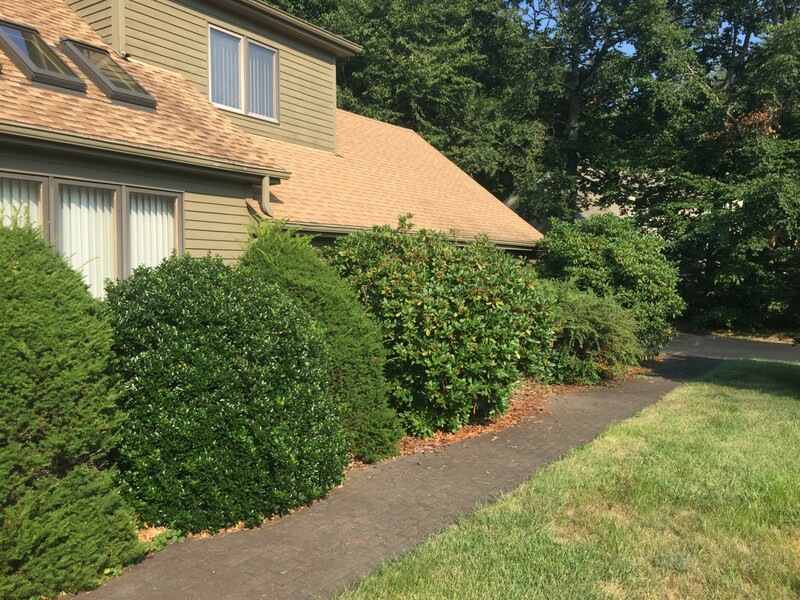 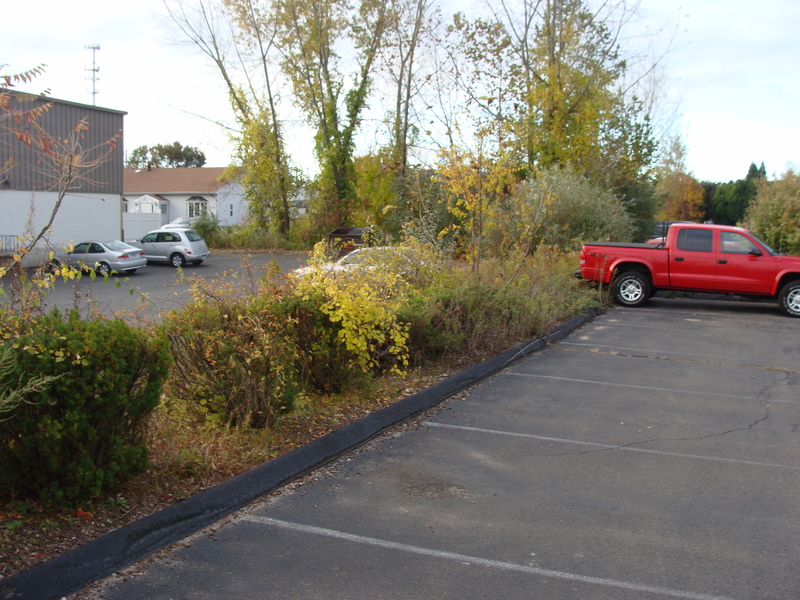 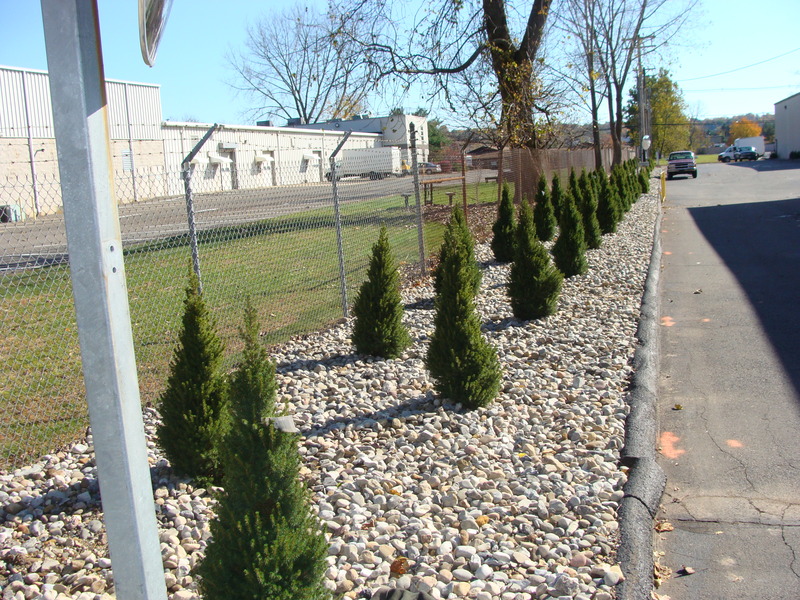 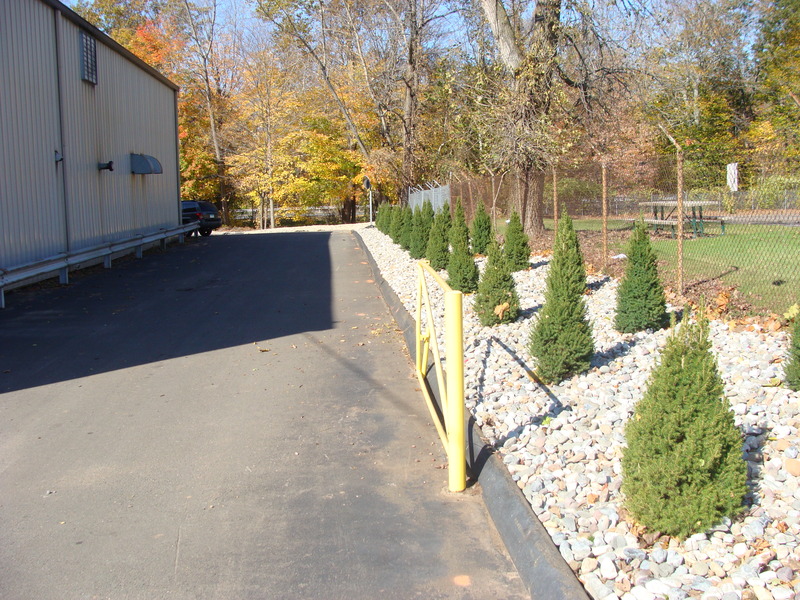 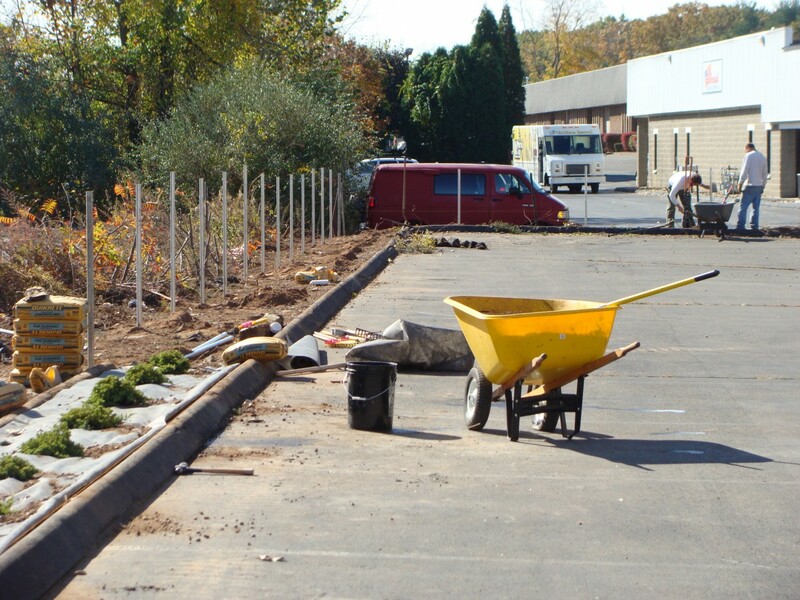 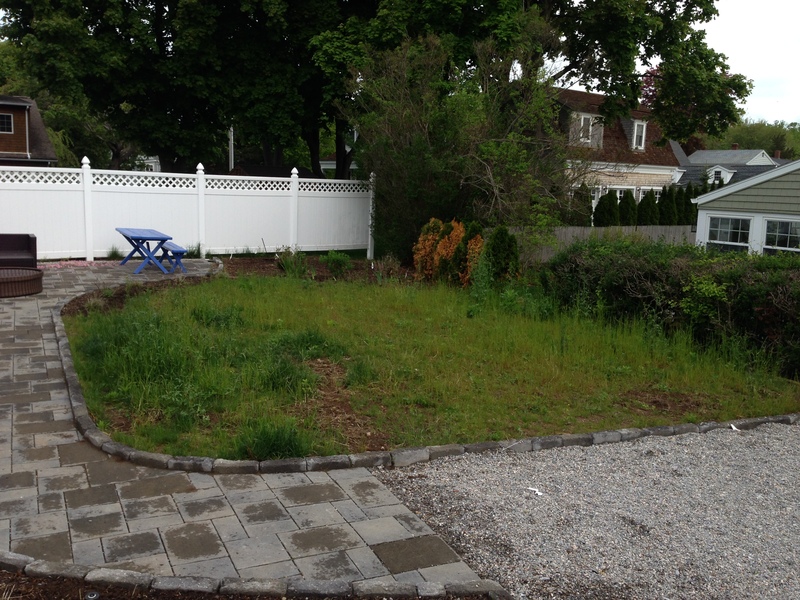 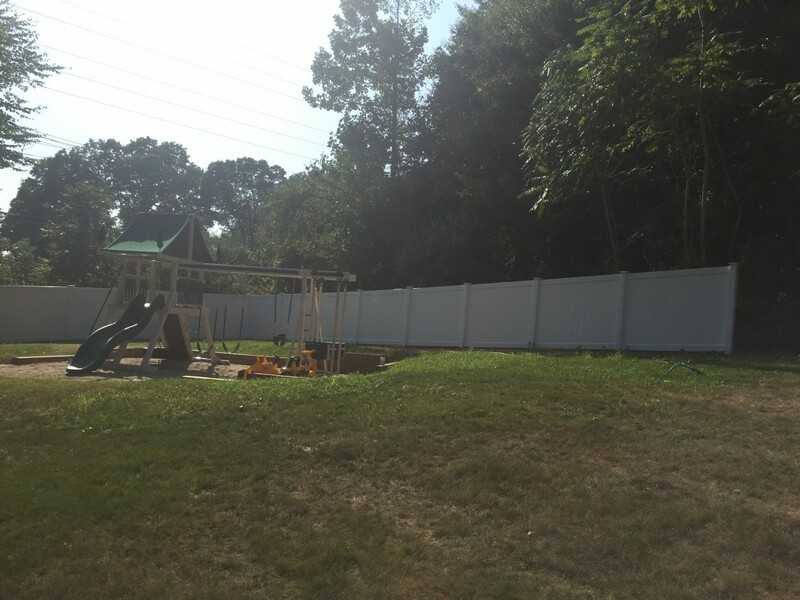 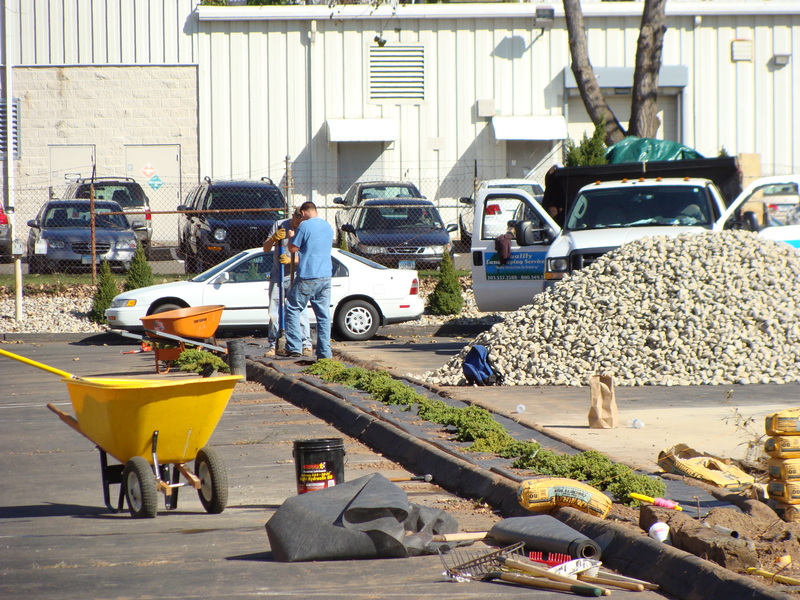 Commercial landscape – removed existing landscaping, installed new shrubs with river rock, and installed new chain link fence. 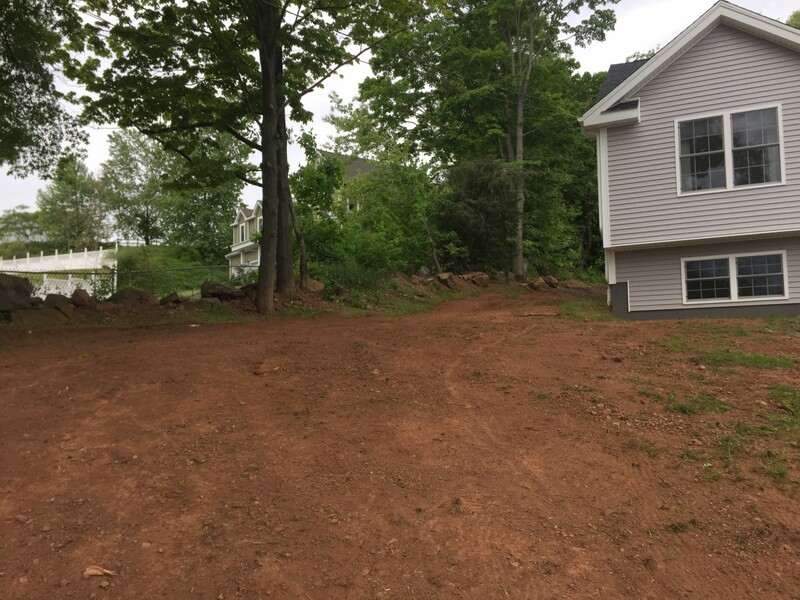 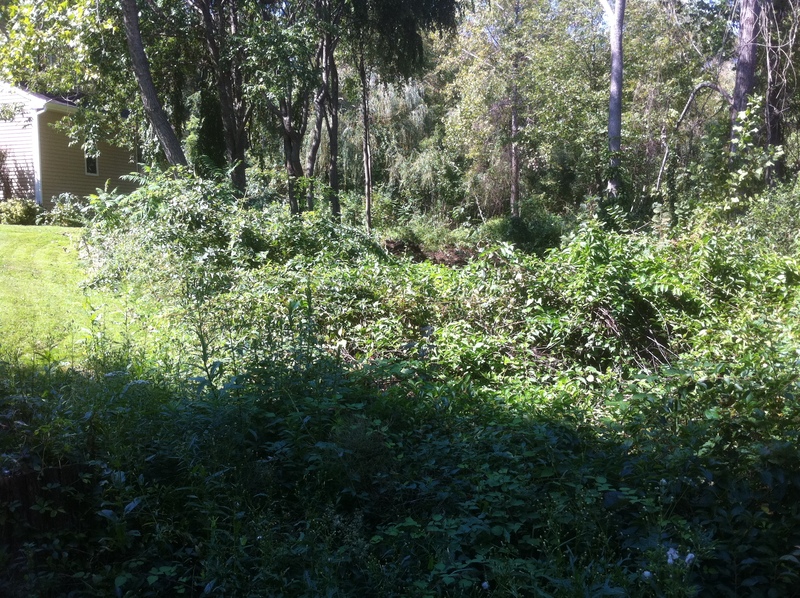 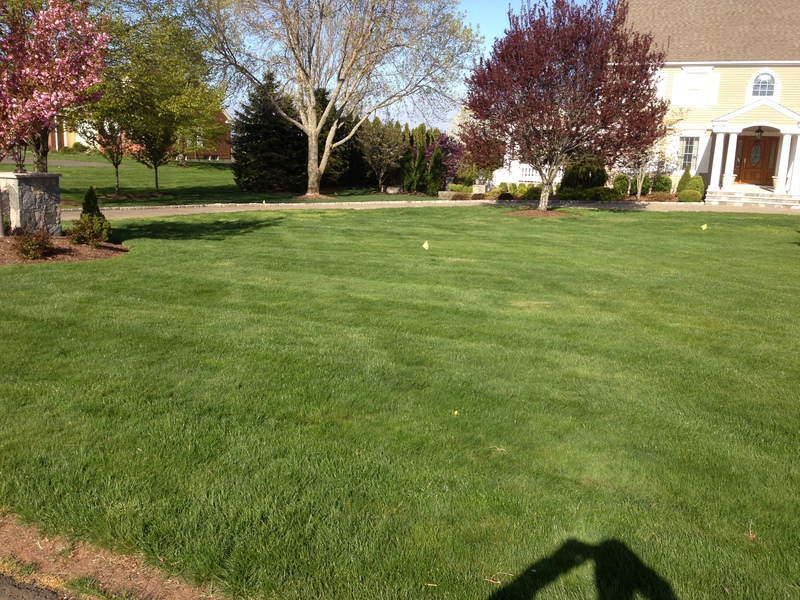 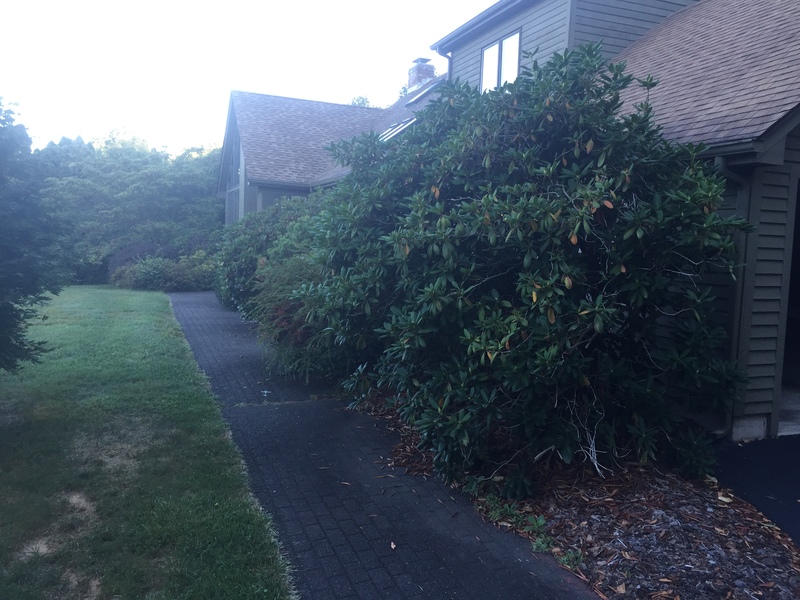 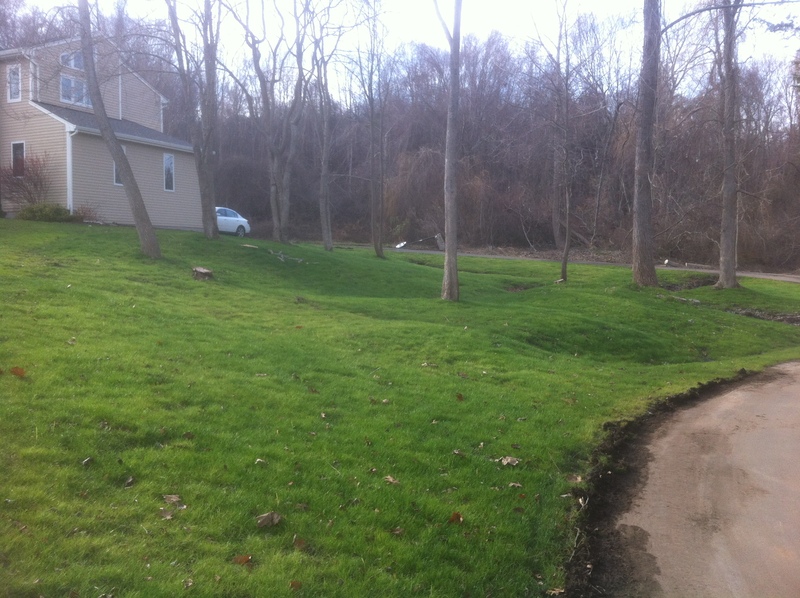 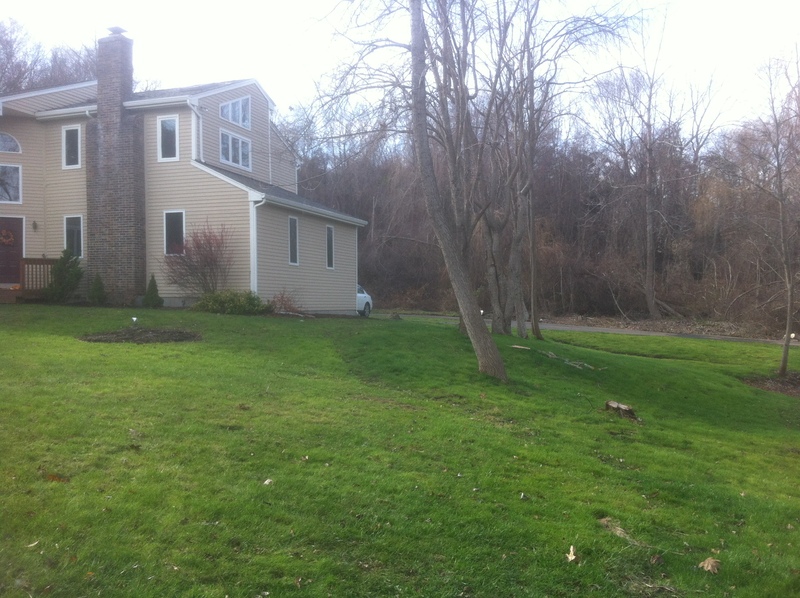 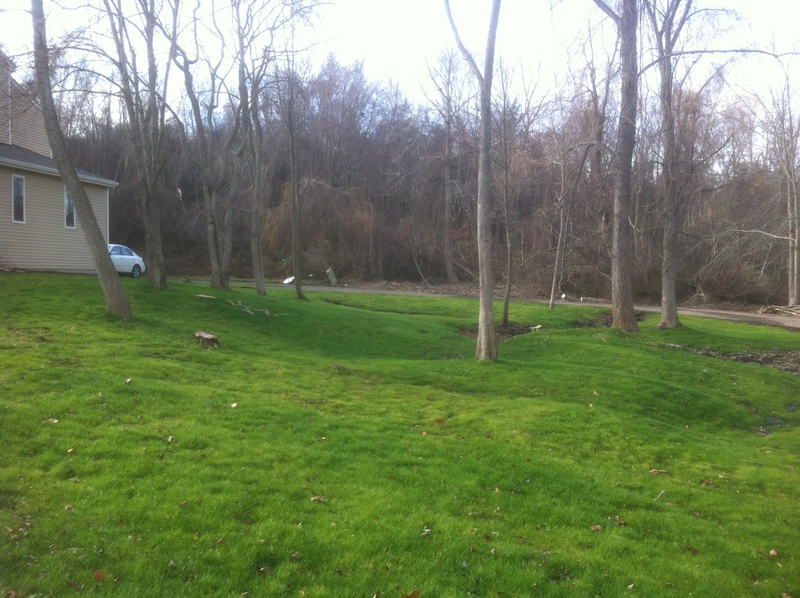 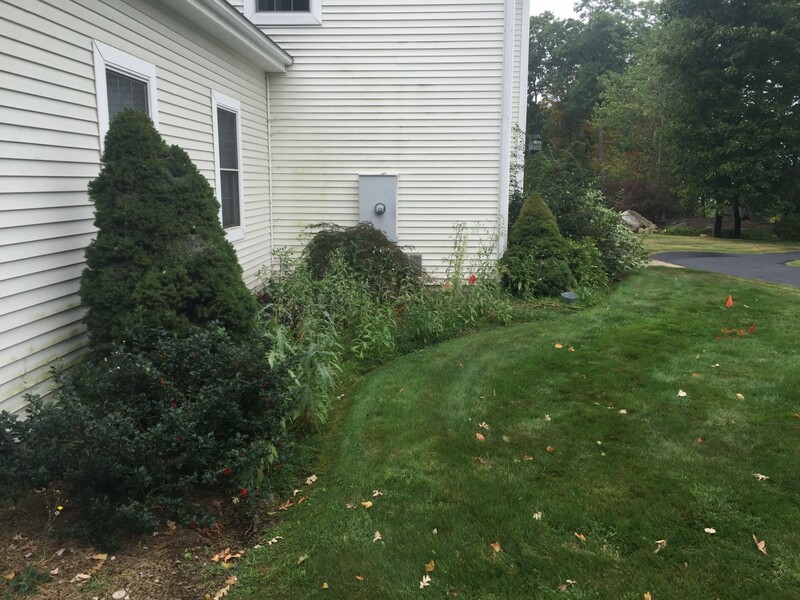 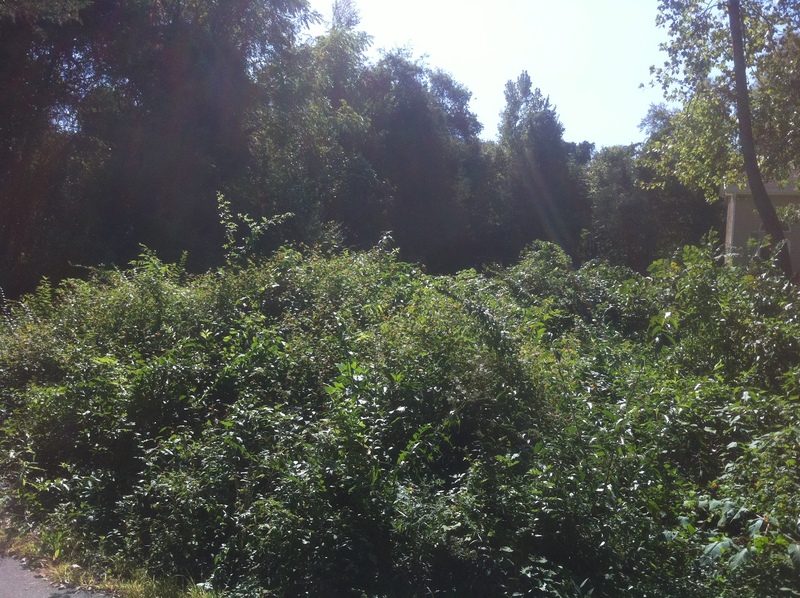 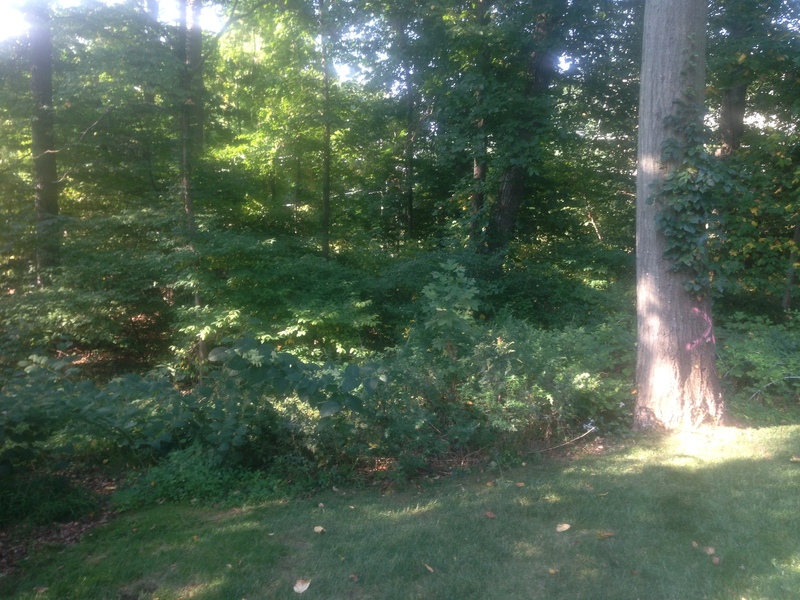 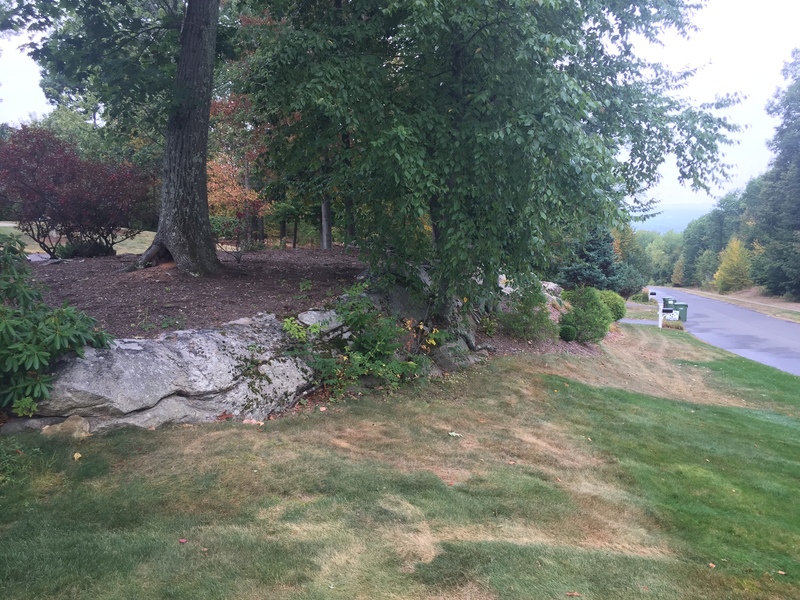 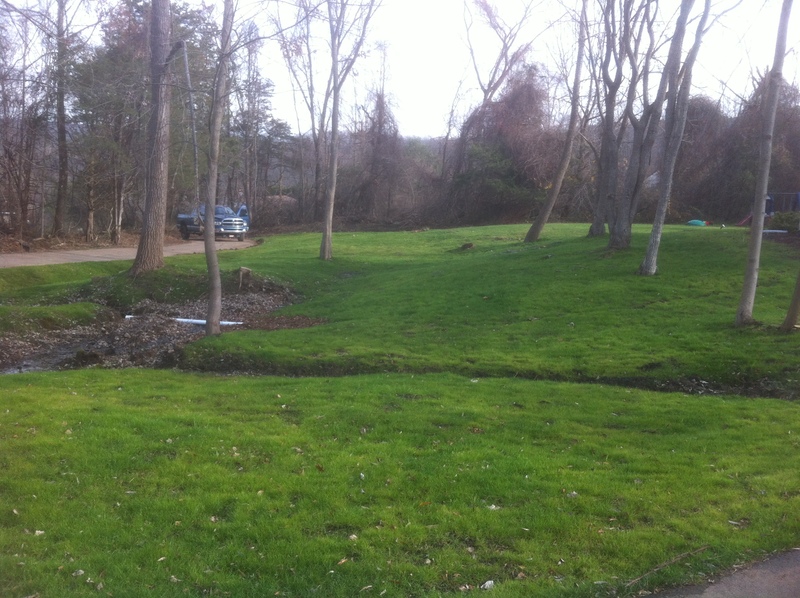 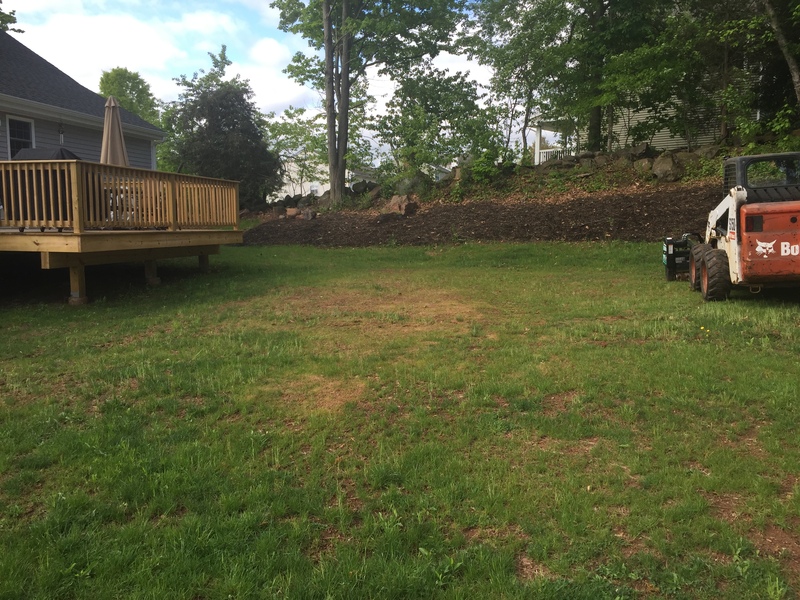 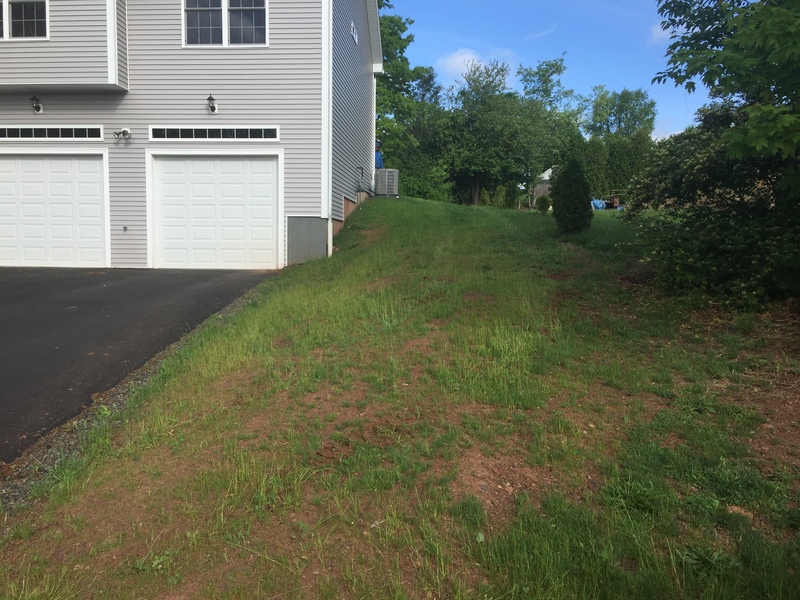 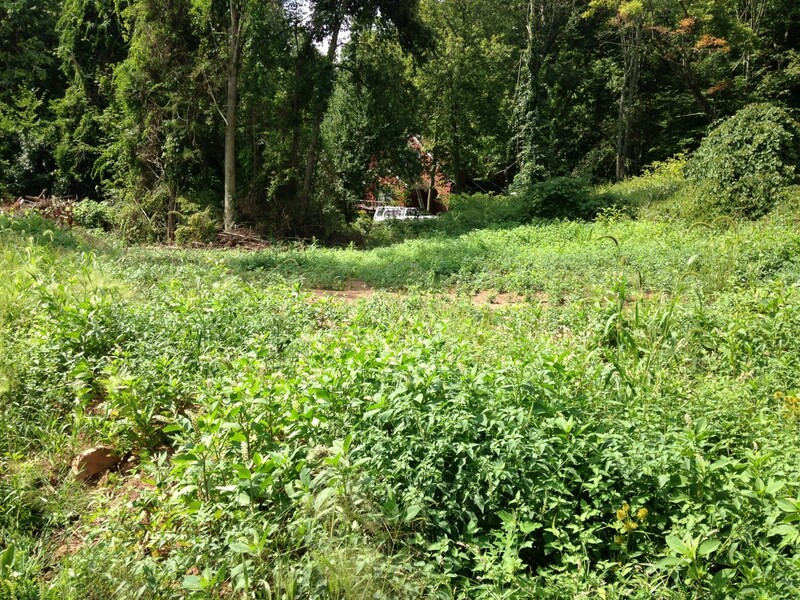 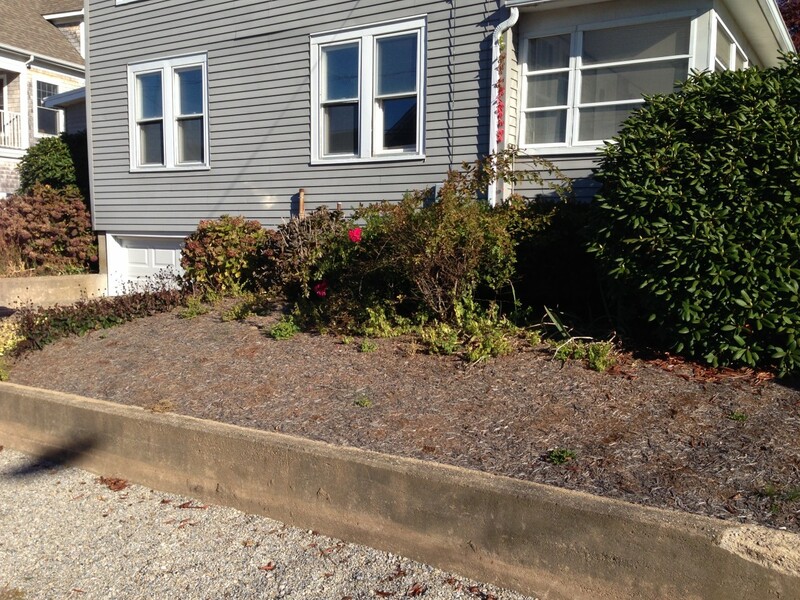 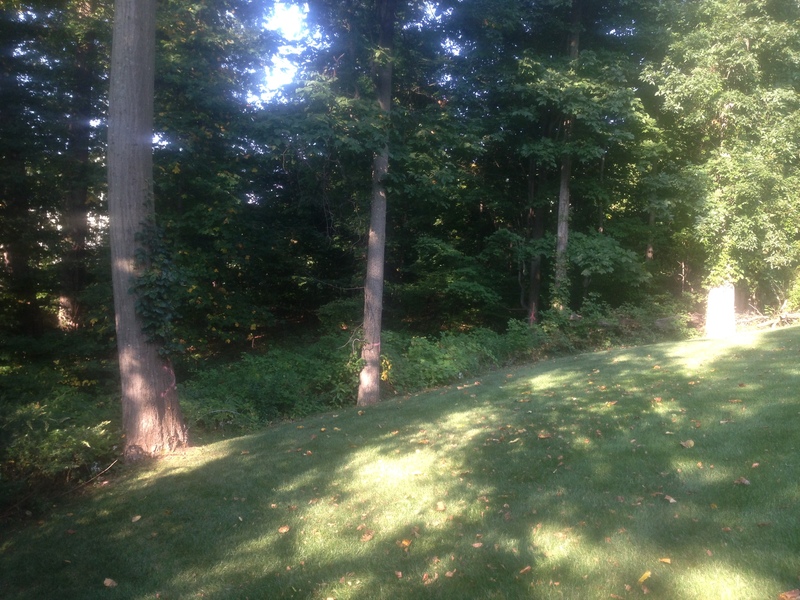 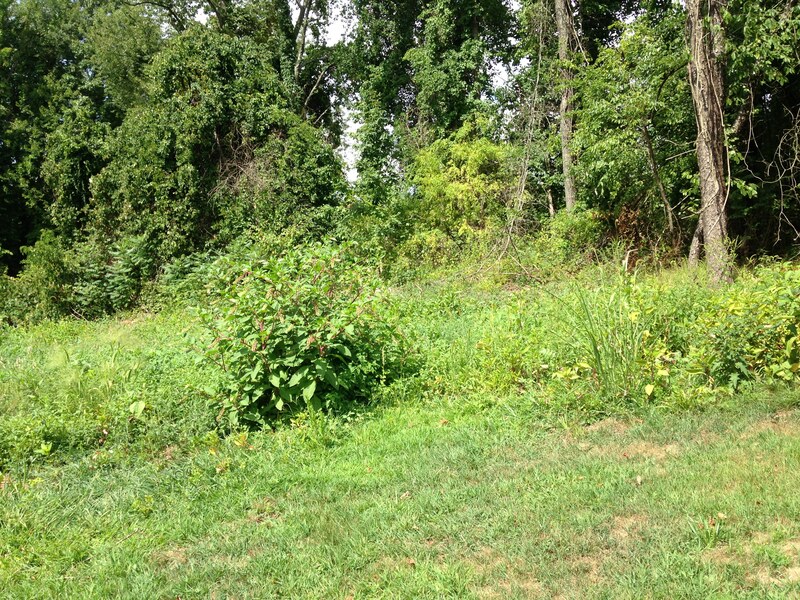 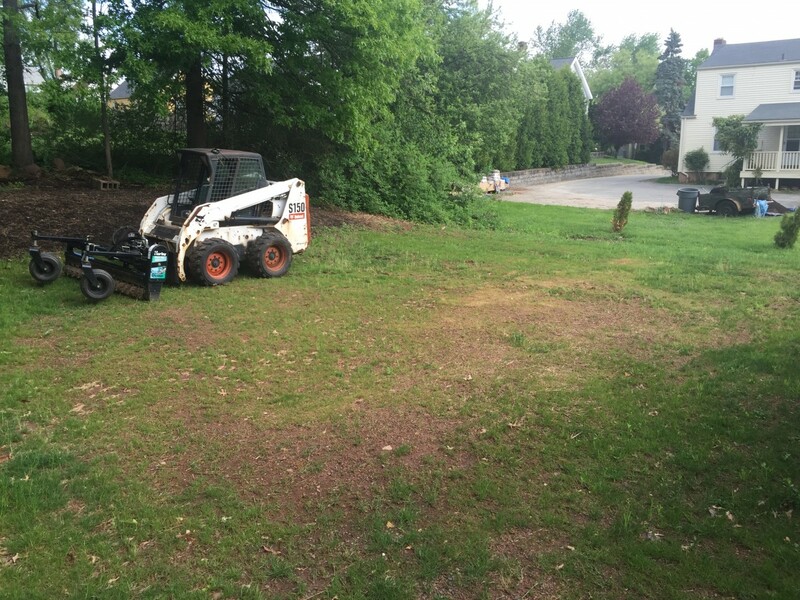 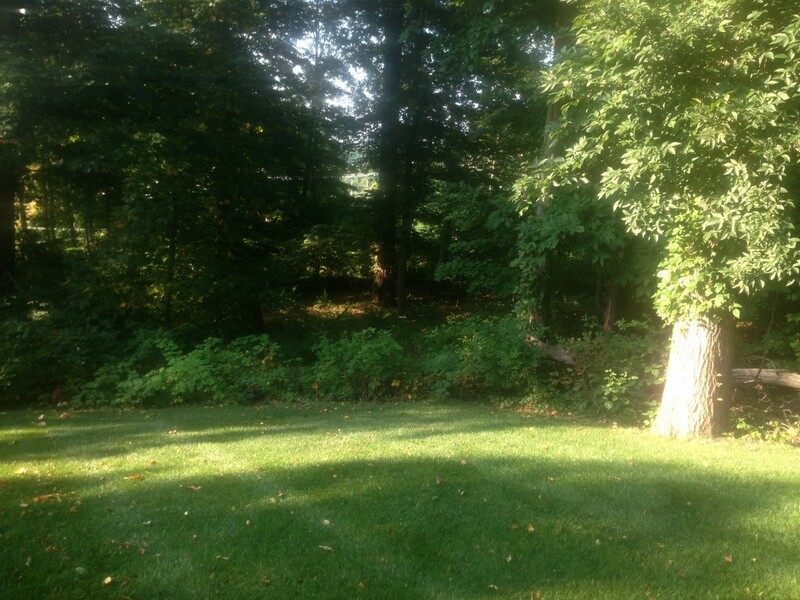 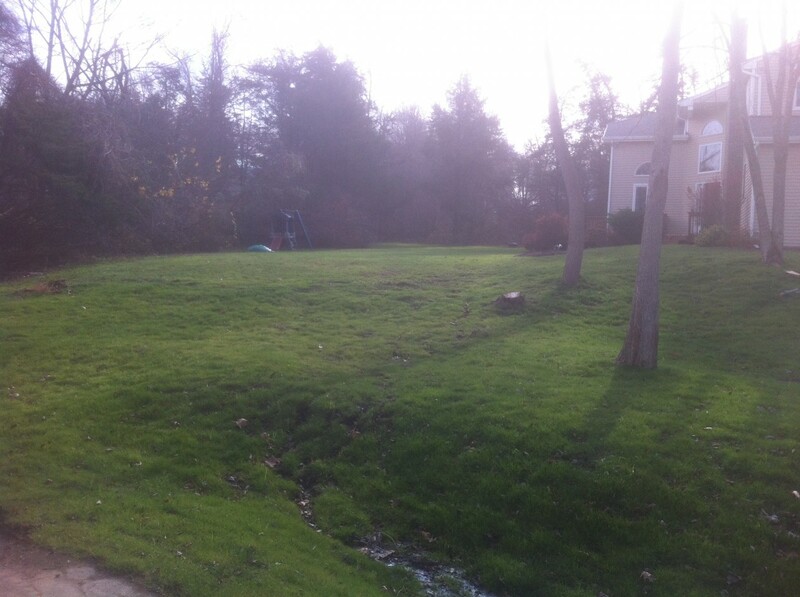 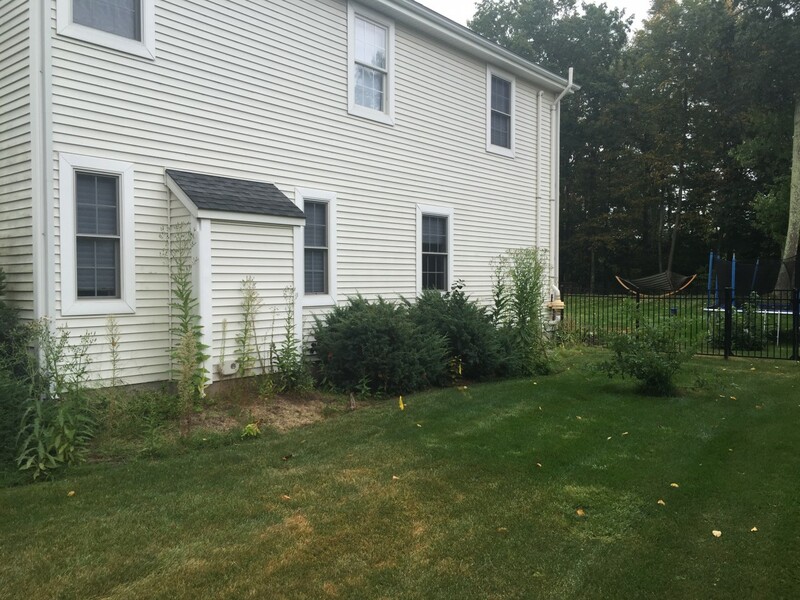 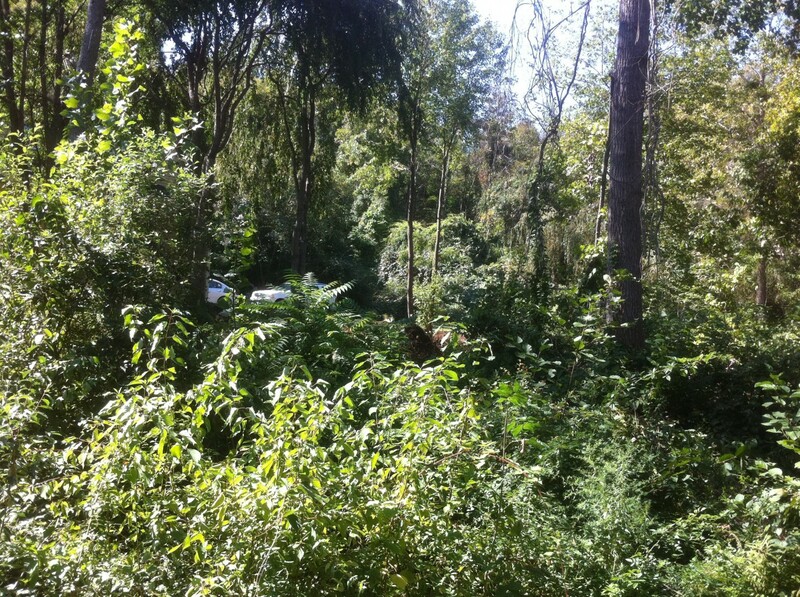 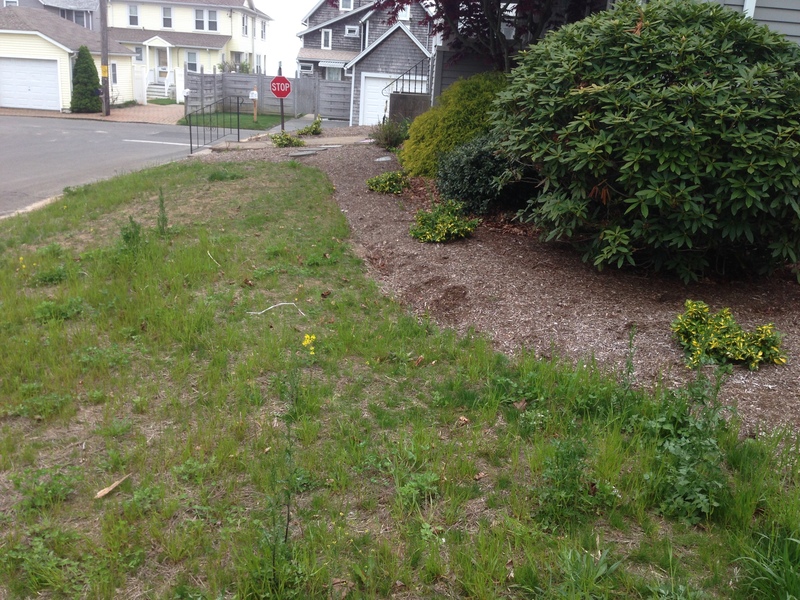 Removed evasive brush and debris off of big section of property, graded with topsoil, and installed lawn.